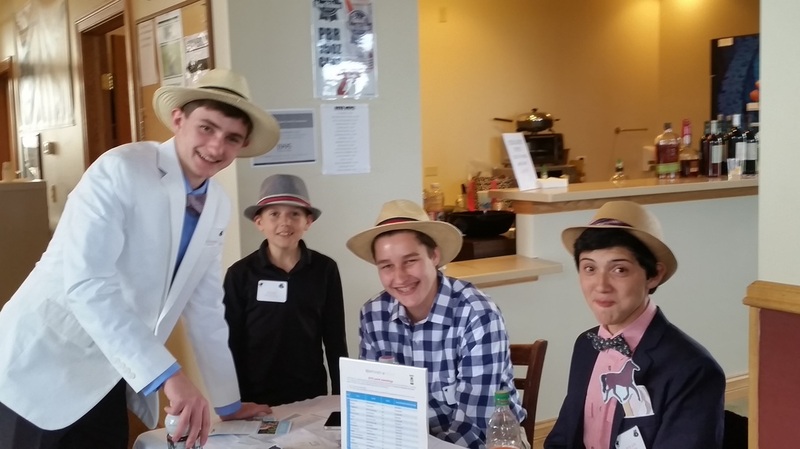 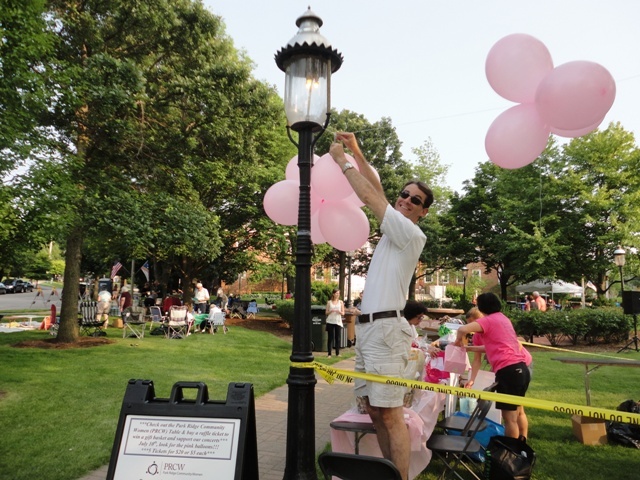 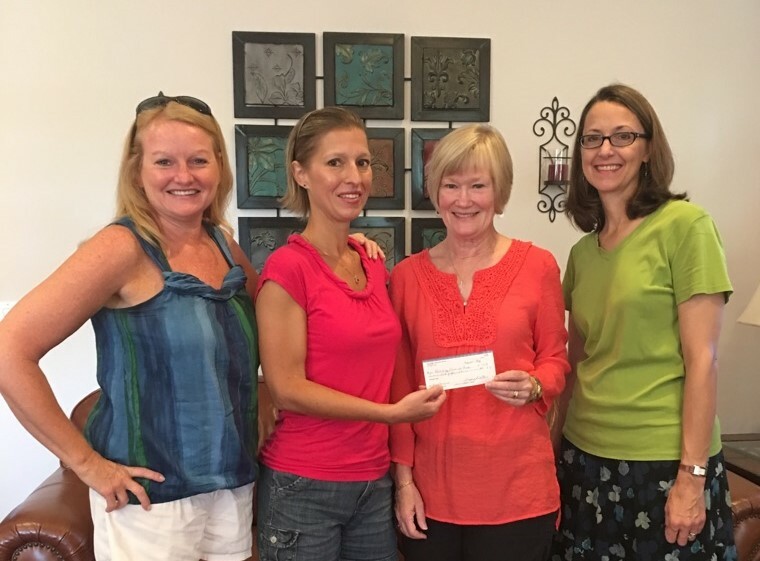 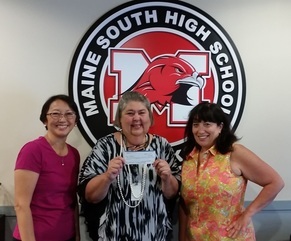 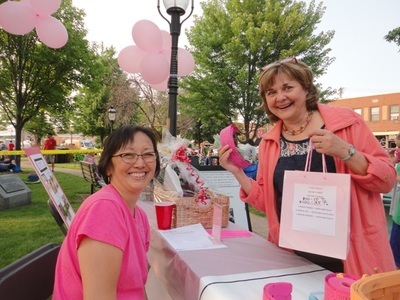 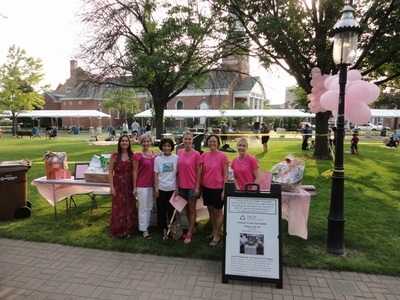 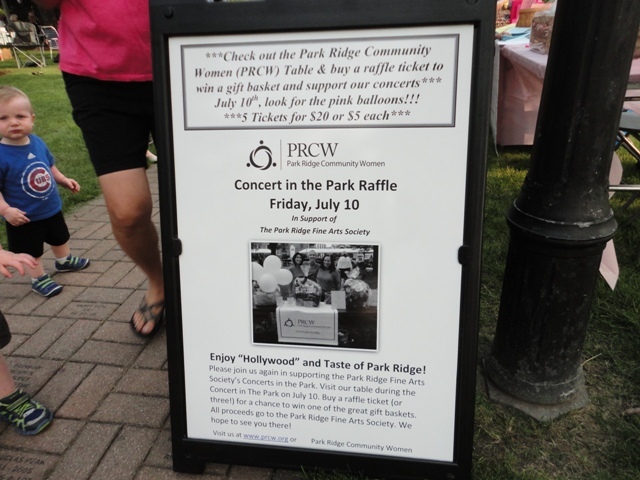 We raised $4,000 for the Park Ridge Fine Arts Society's Concerts in the Park. Thank you to all the generous businesses and PRCW members who donated to our raffle! 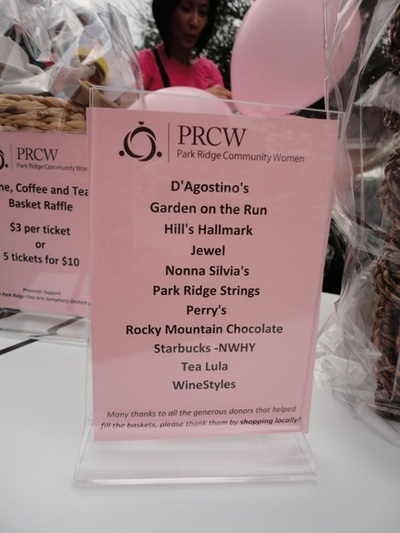 Please support these fantastic restaurants, stores and organizations in our community! 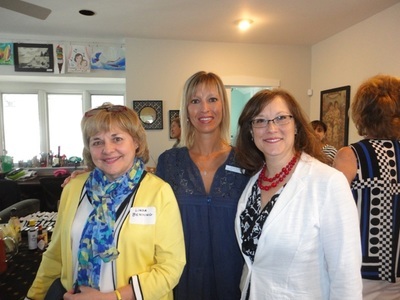 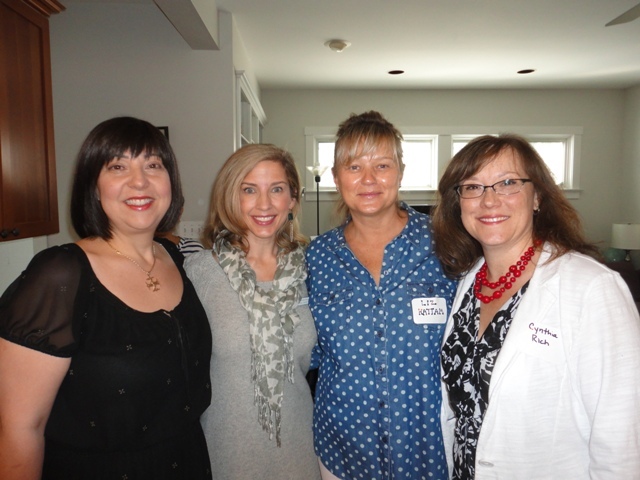 Always an appreciated event, the PRCW board hosted a brunch to officially welcome members who joined the last two years. 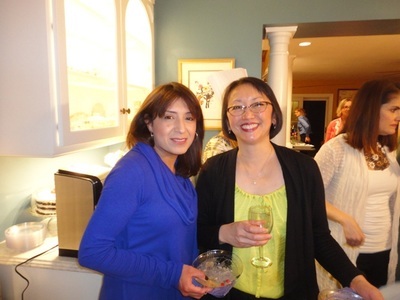 Thank you to Rita K. for hosting! 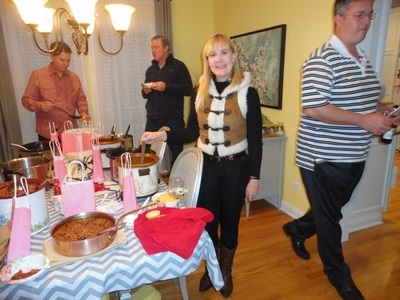 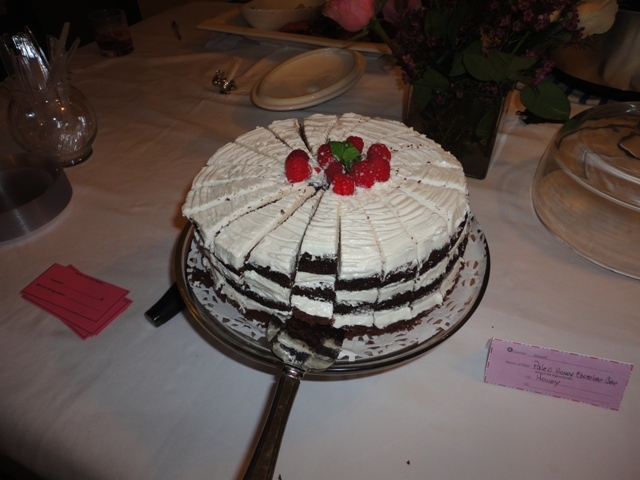 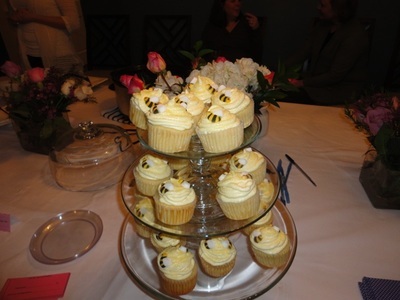 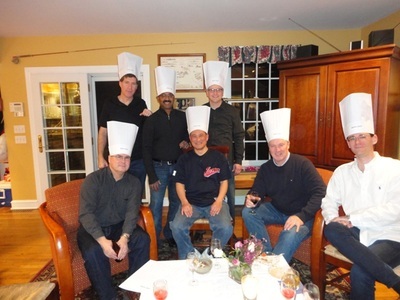 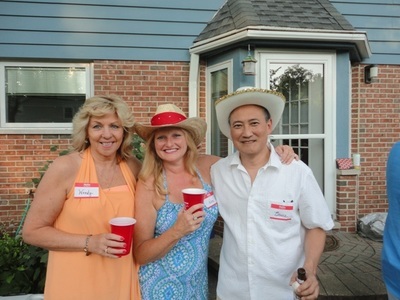 A ton of fun was had by all as members and spouses enjoyed a fabulous spread of food, games and laughs. 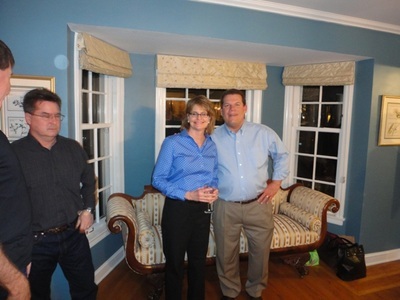 Thank you for Kim and Rob B. for your gracious hospitality, even as the hour got late. 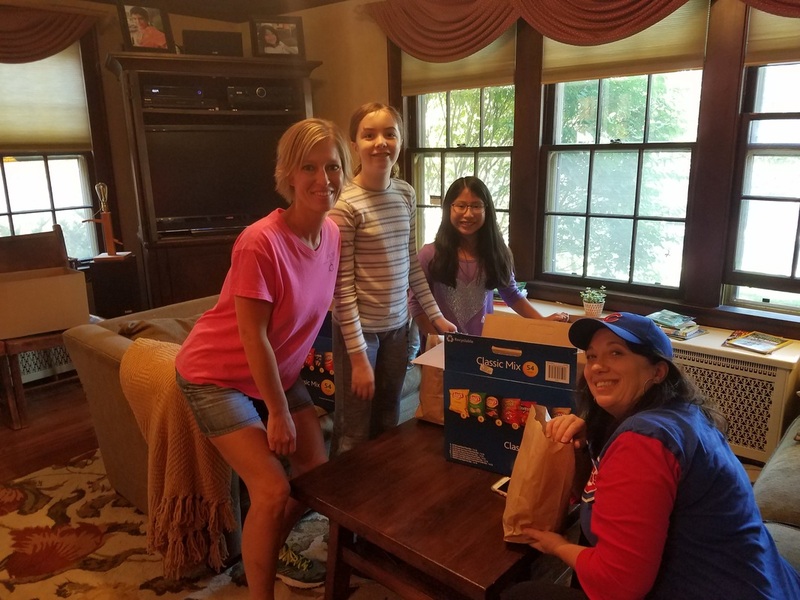 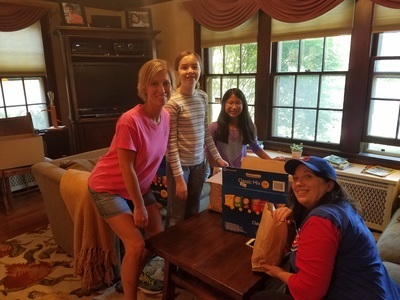 PRCW members and families enjoyed a rewarding experience at Feed Our Starving Children by helping pack meals for children in need around the world. 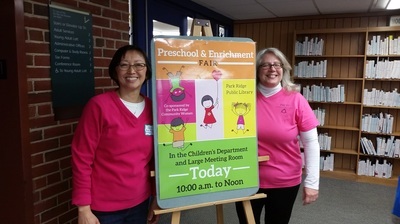 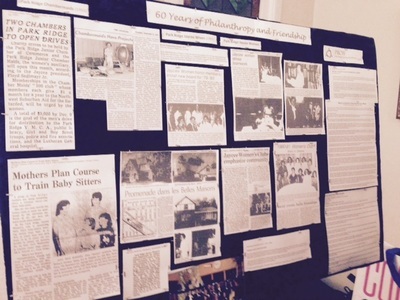 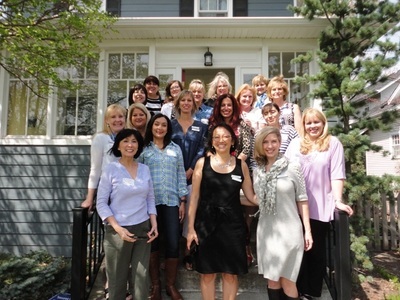 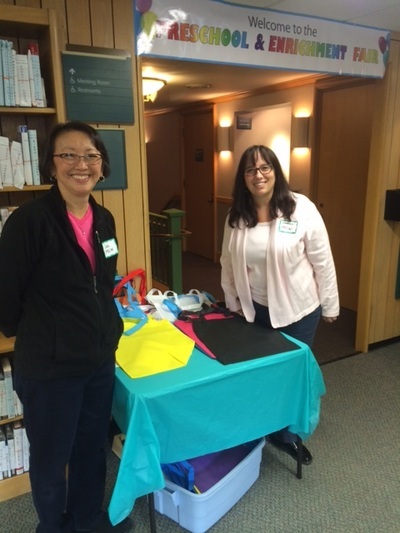 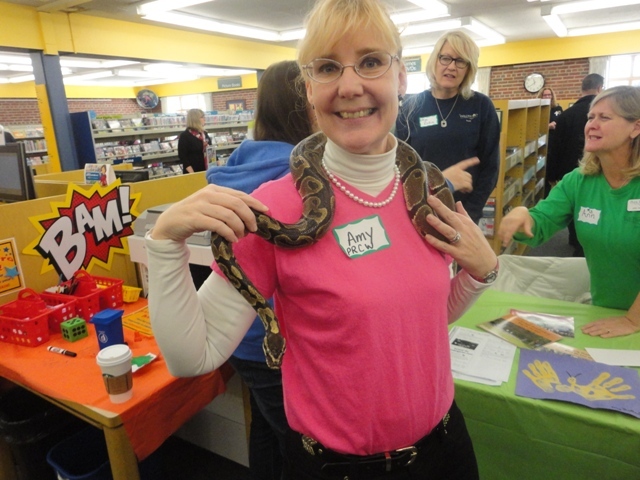 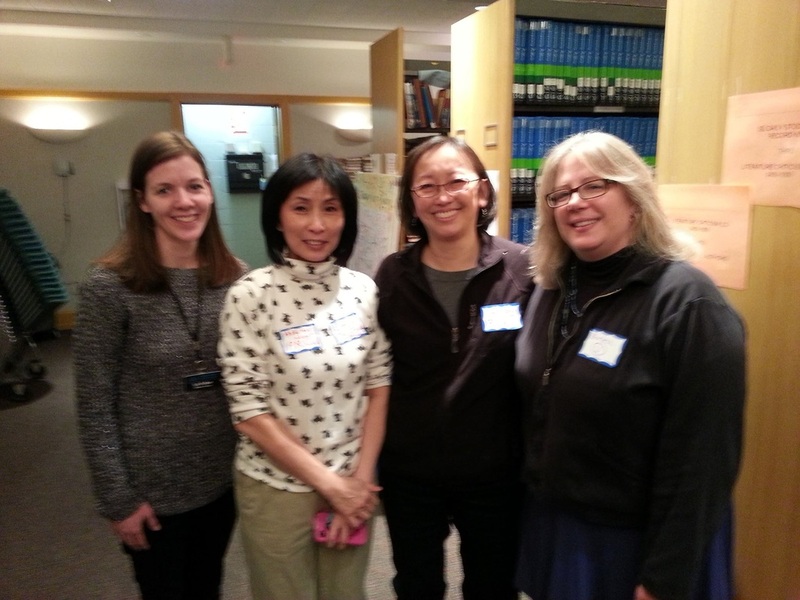 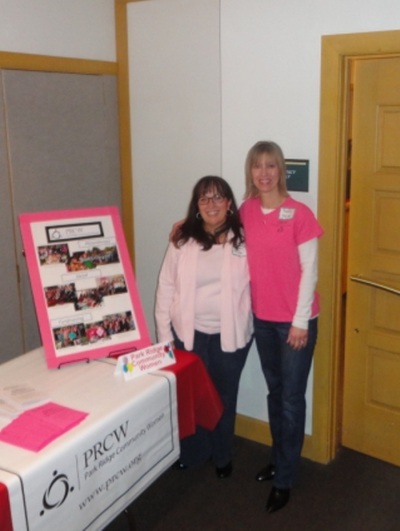 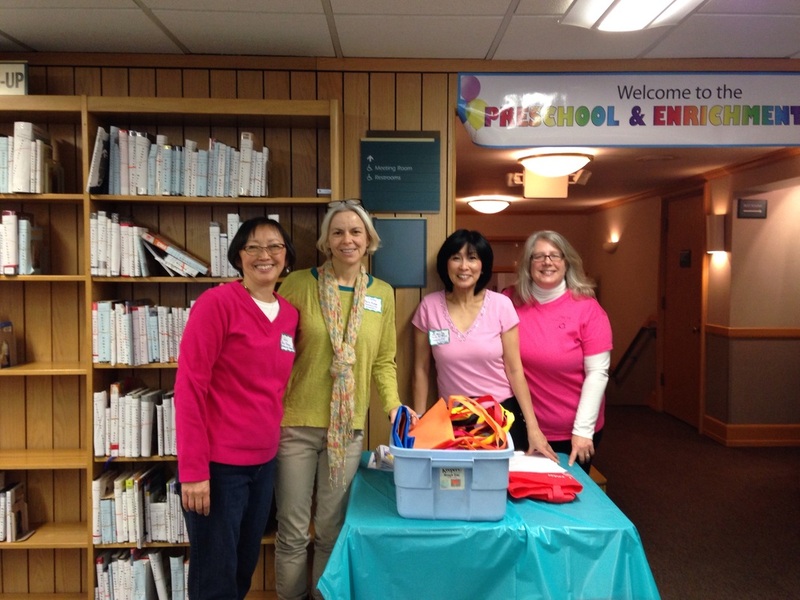 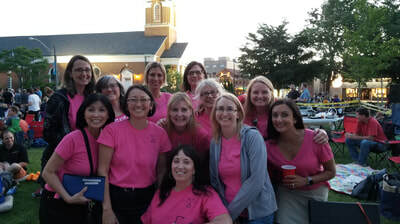 Once again Park Ridge Community Women co-sponsored the Park Ridge Public Library's Preschool and Enrichment Fair. 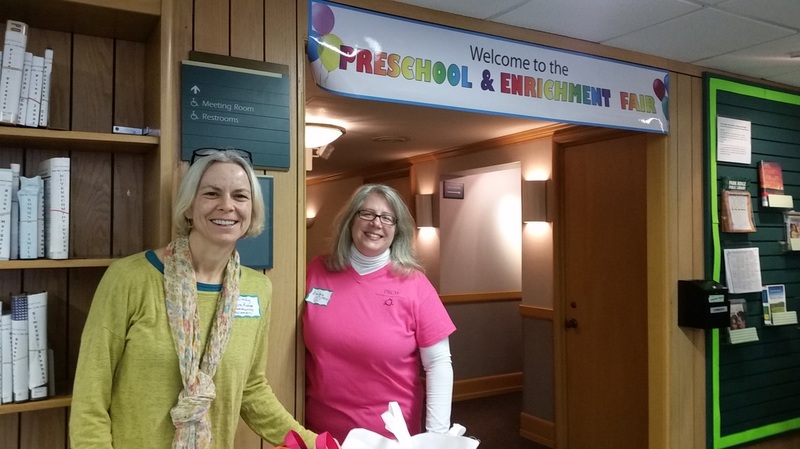 In attendance were an estimated 250 parents, children and representatives from more than 20 area preschools, day care facilities, and enrichment programs (e.g., museums, dance studios). 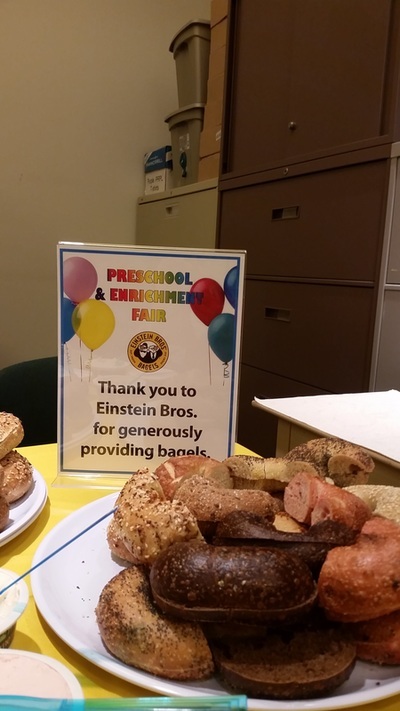 Thank you to Starbucks and Einstein Bagels for their donations! 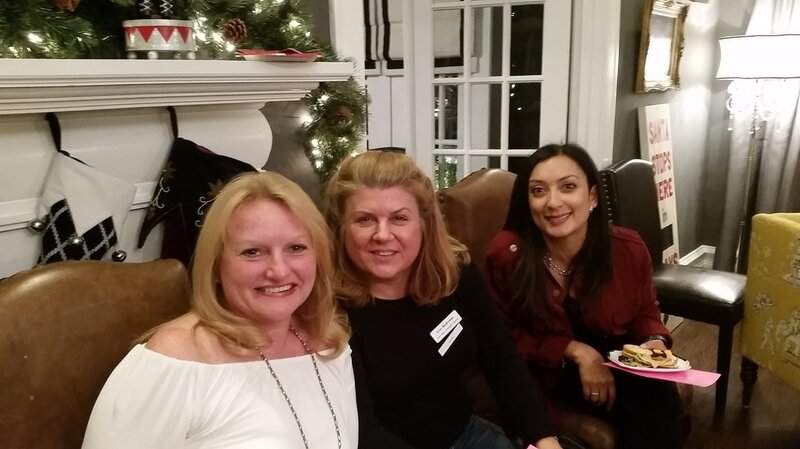 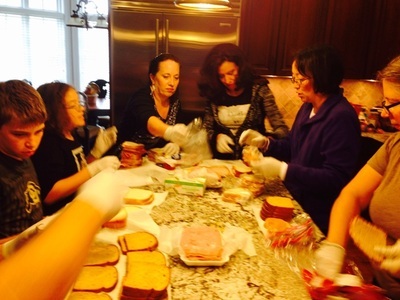 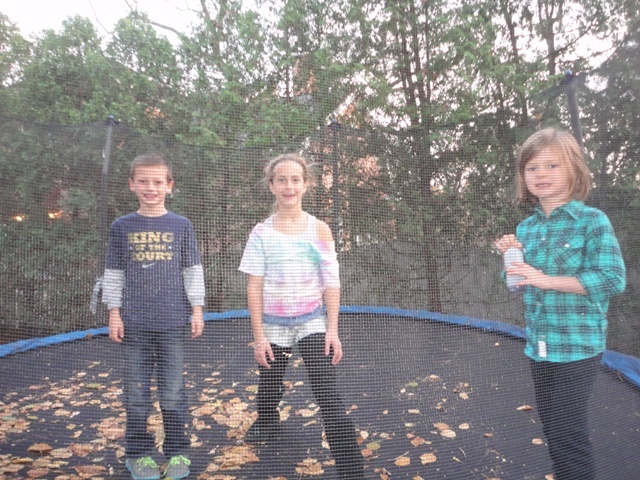 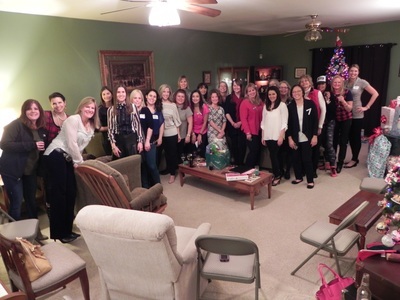 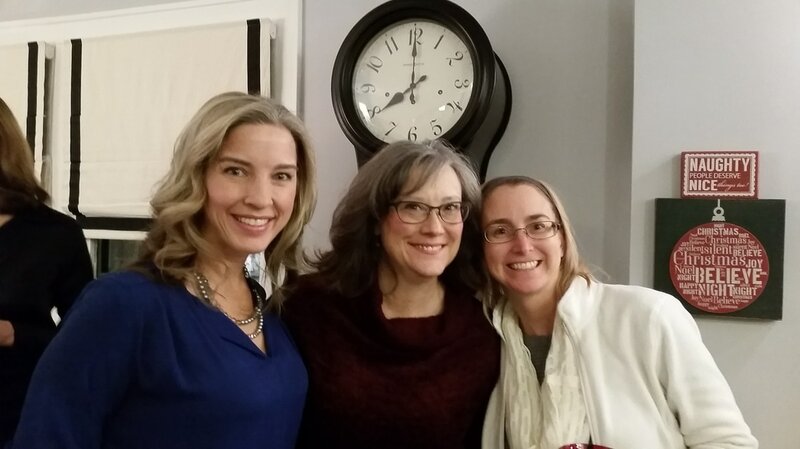 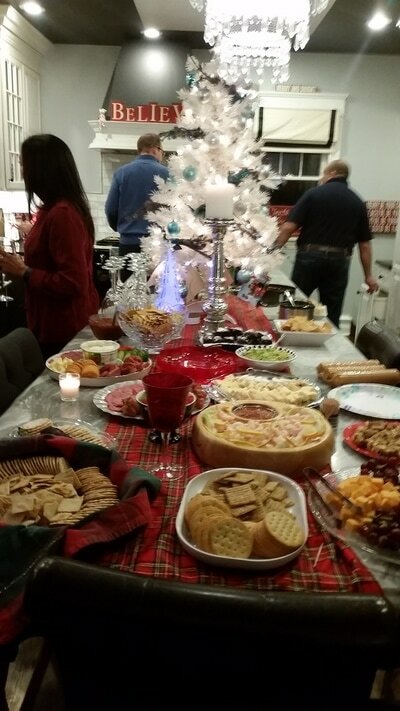 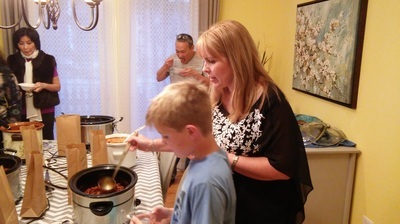 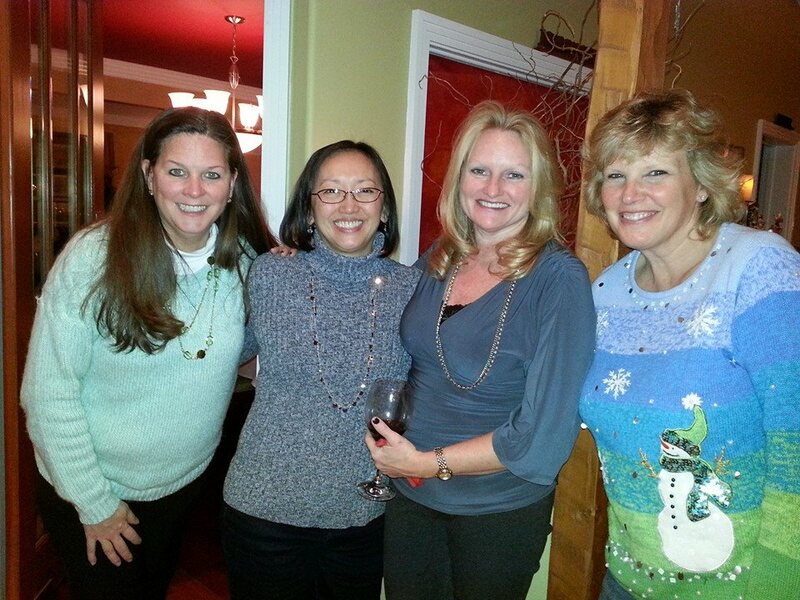 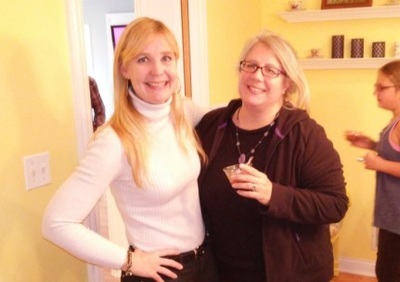 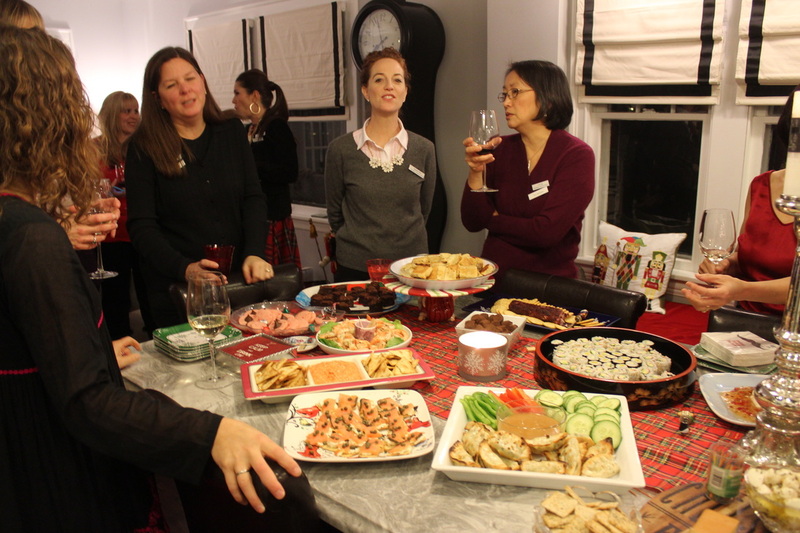 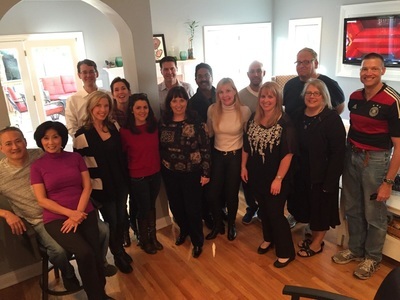 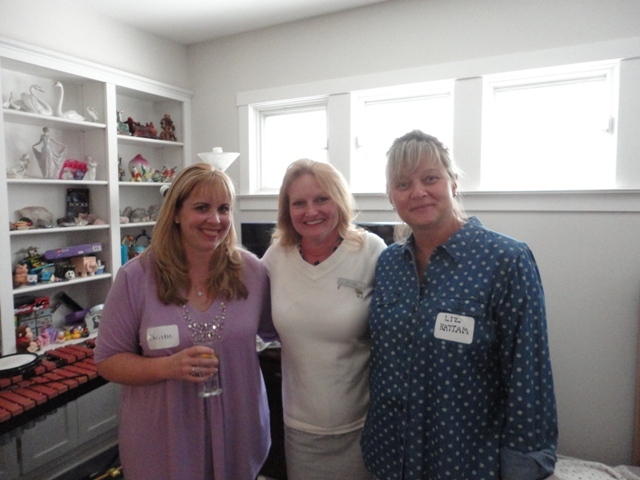 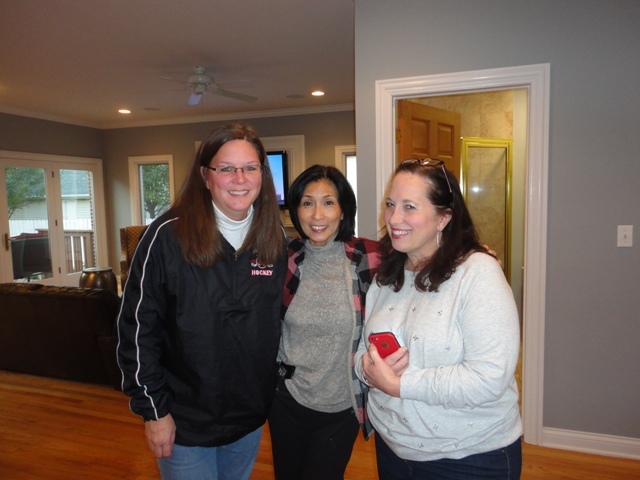 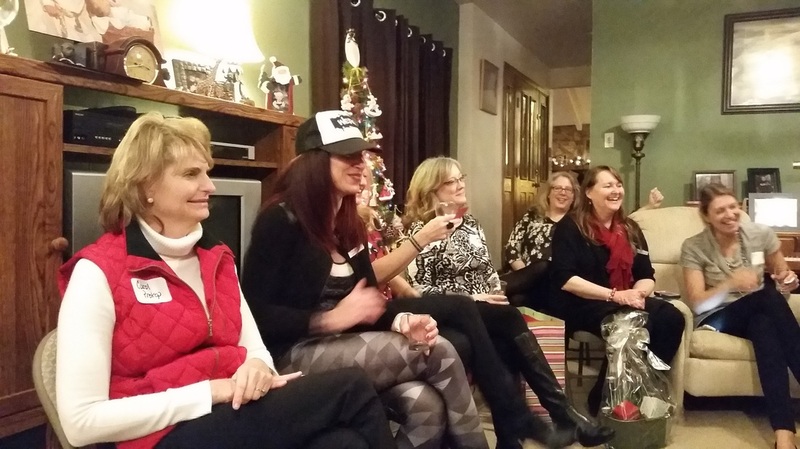 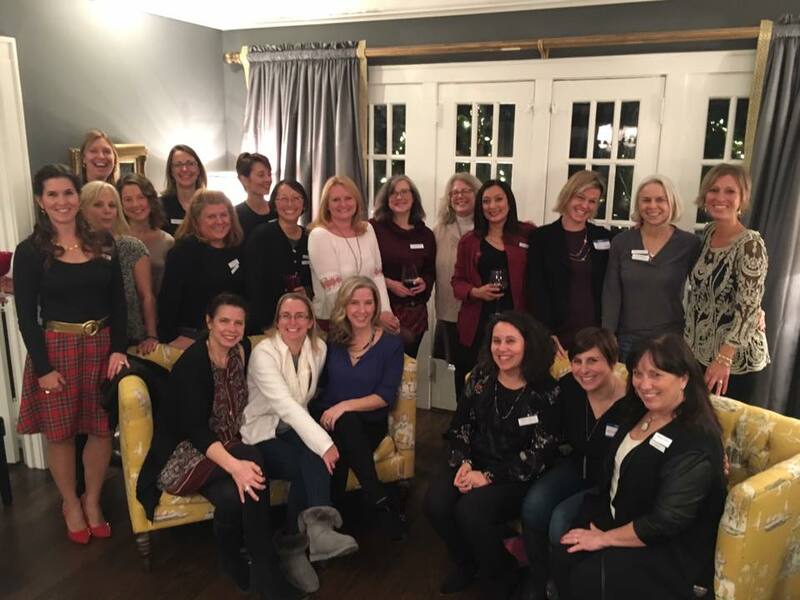 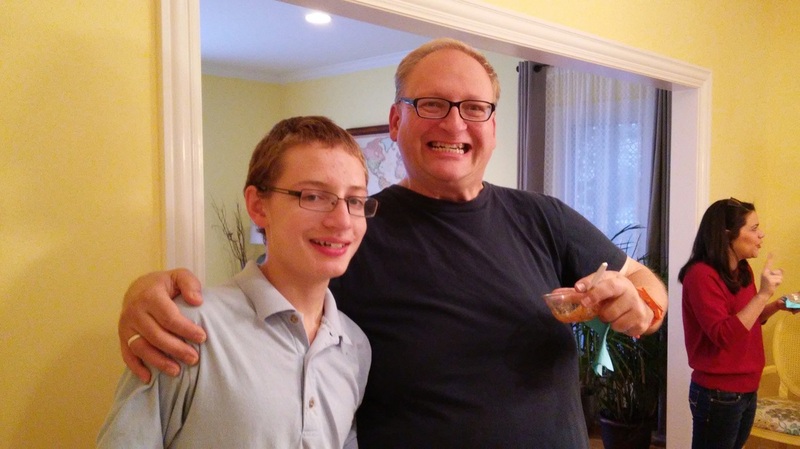 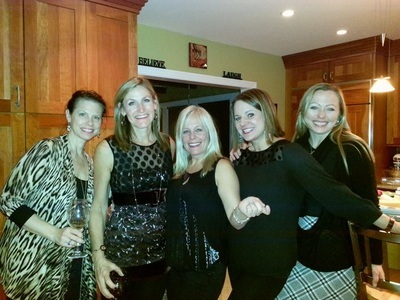 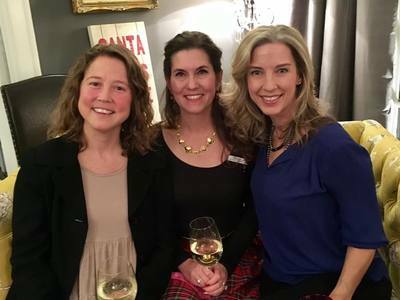 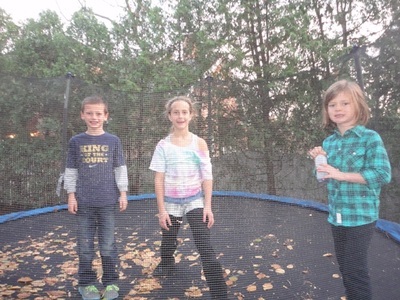 Thank you to Barb V. for hosting this annual holiday event for PRCW members and their kids! 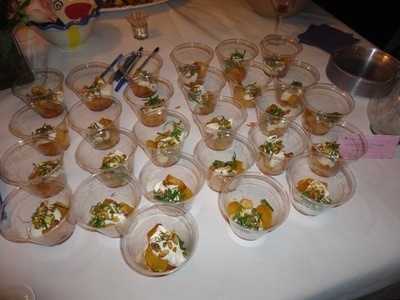 A tasty event enjoyed by all. 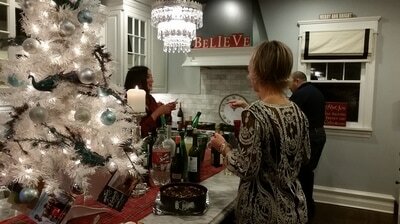 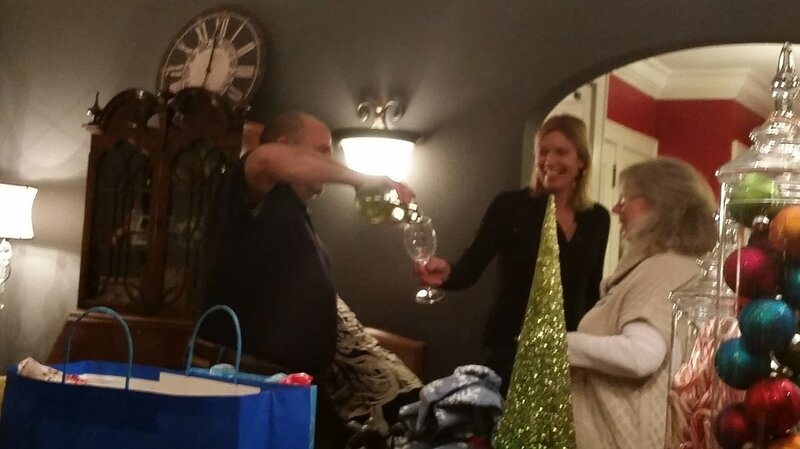 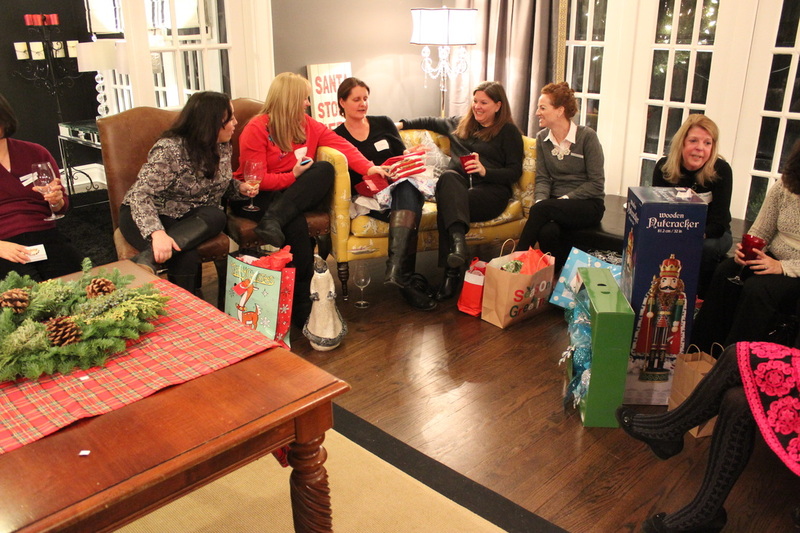 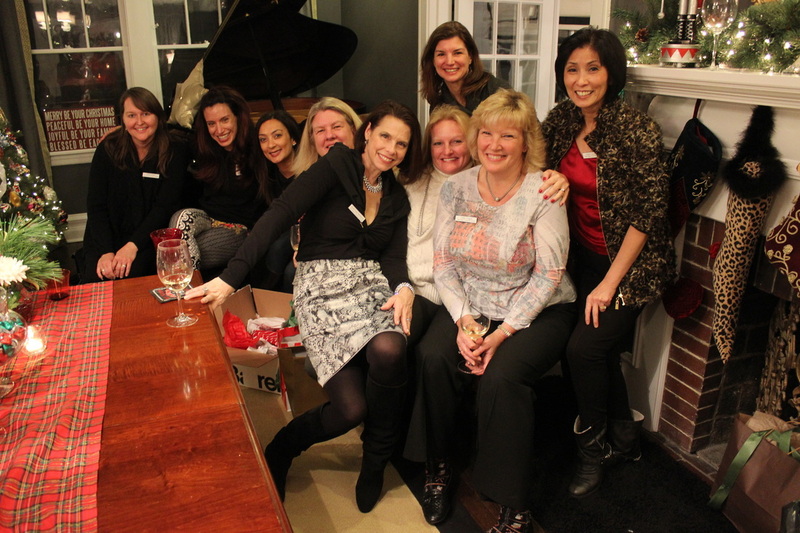 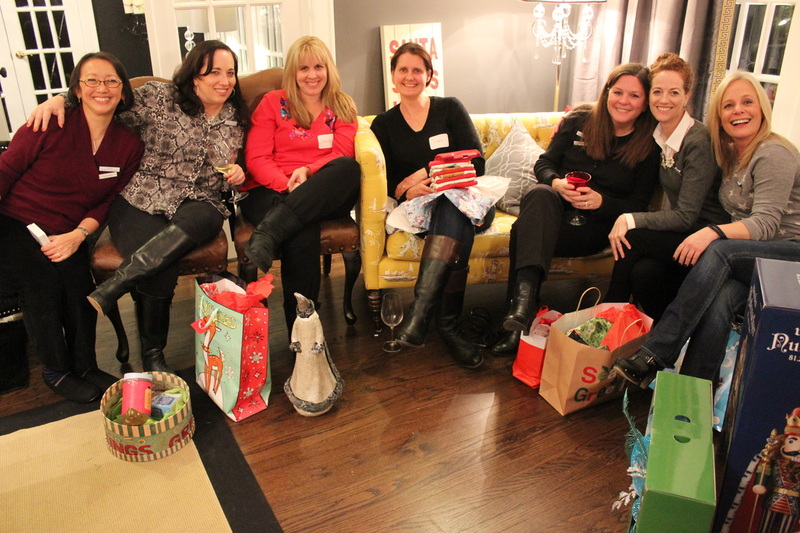 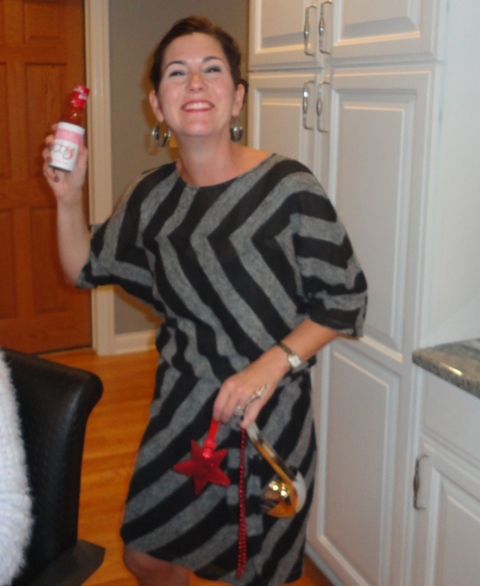 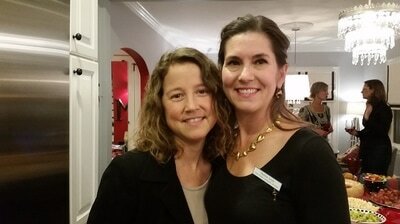 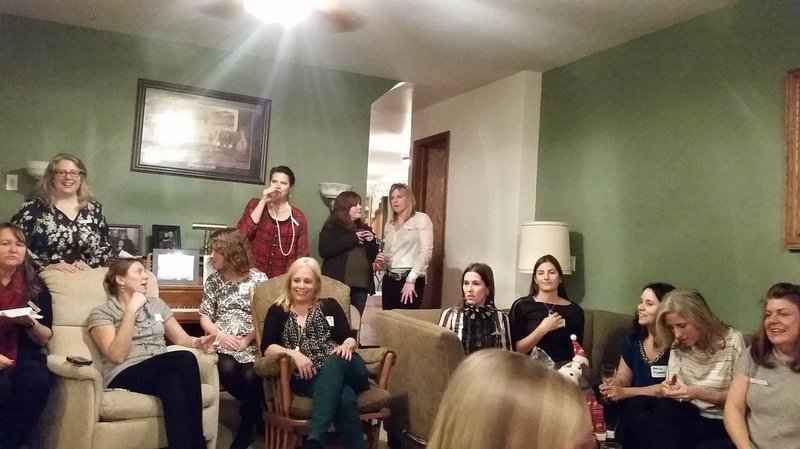 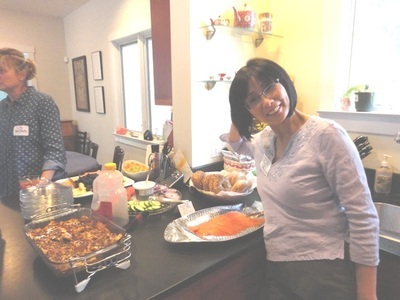 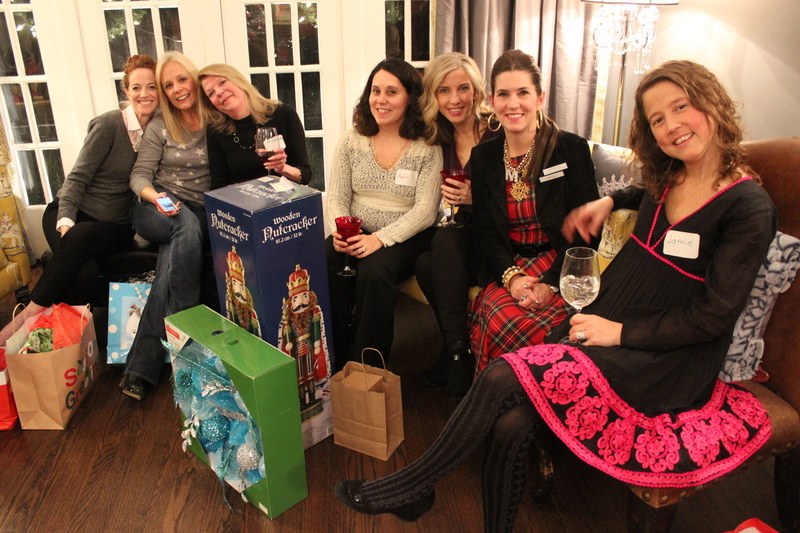 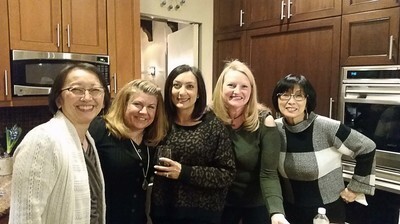 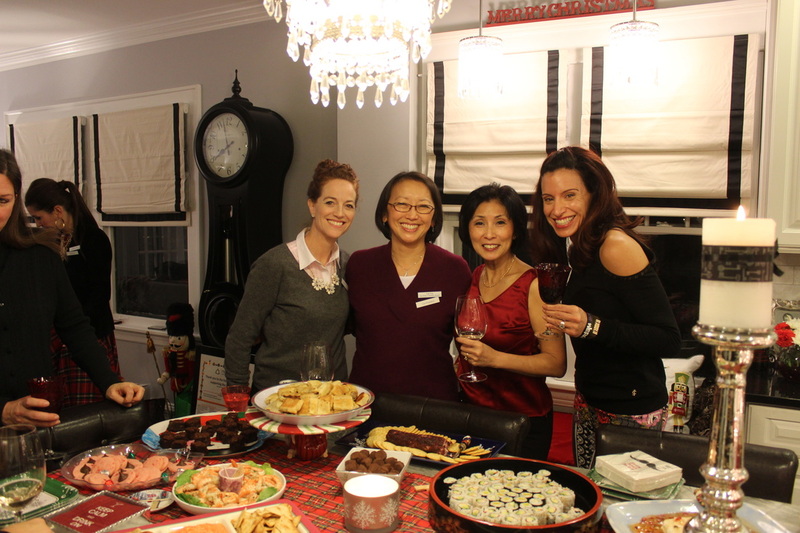 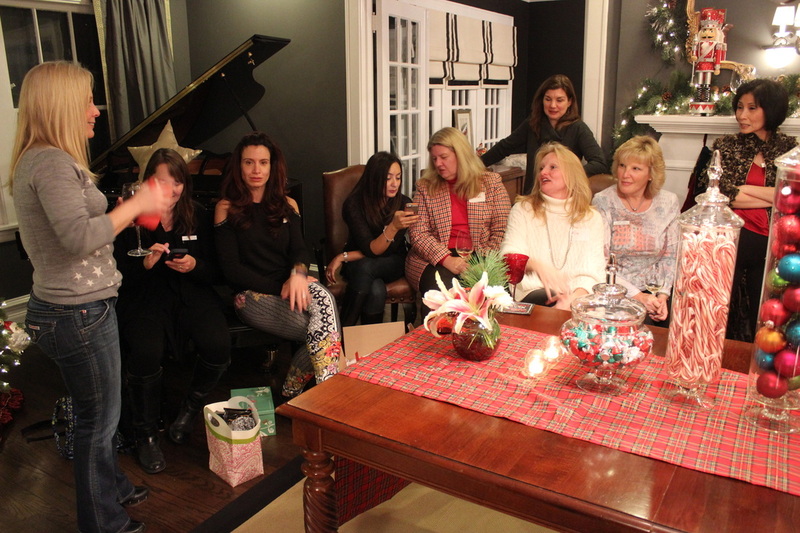 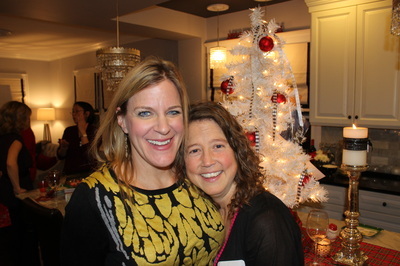 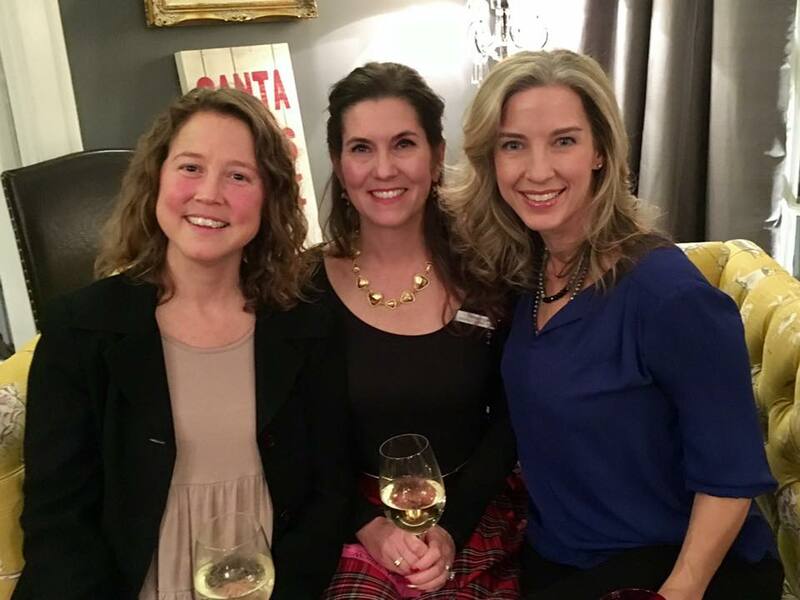 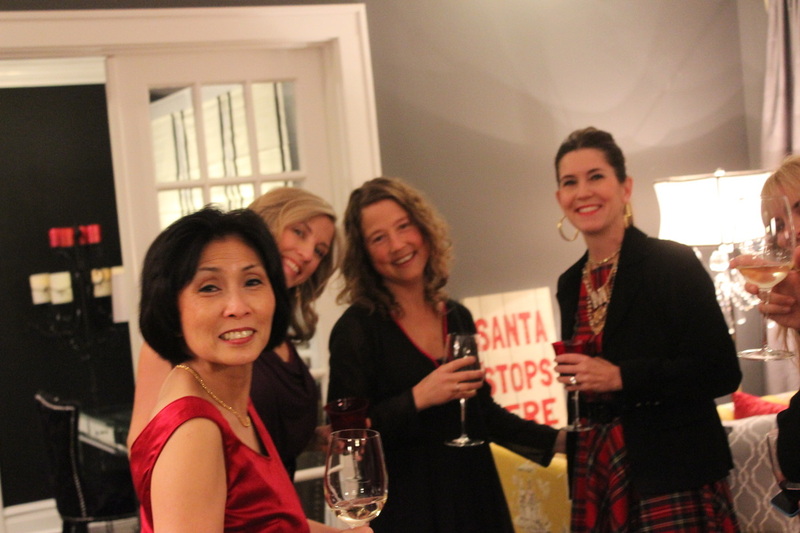 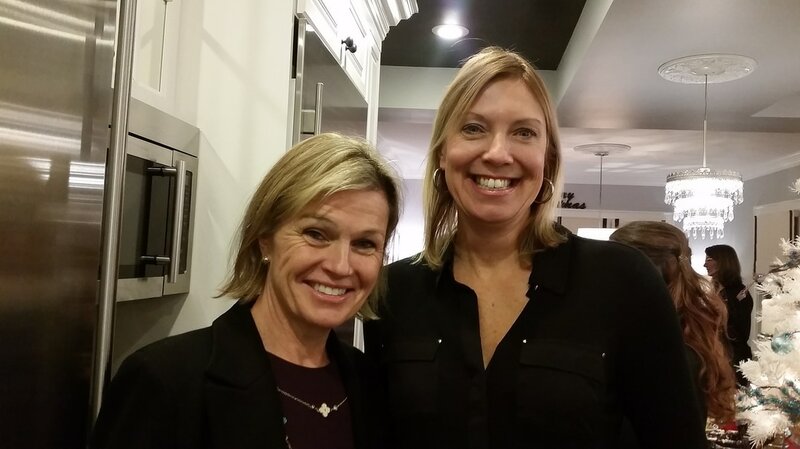 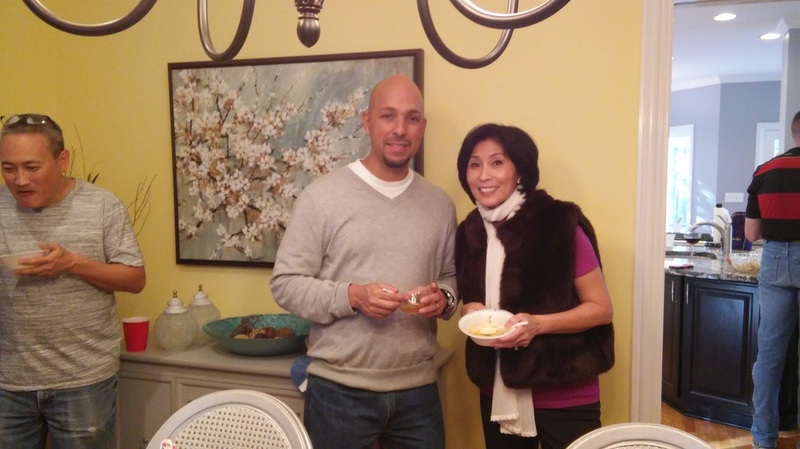 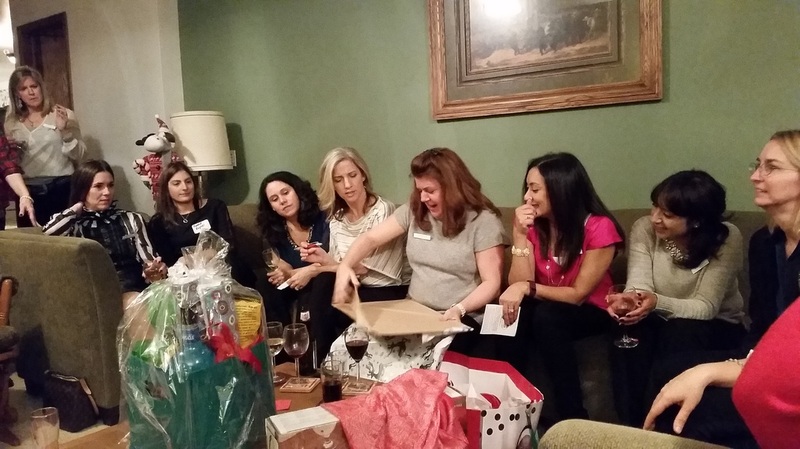 Thank you to Susan M. for opening her beautiful home for our annual holiday gift exchange. There were plenty of laughs as a wonderful selection of gifts were stolen and stolen again. 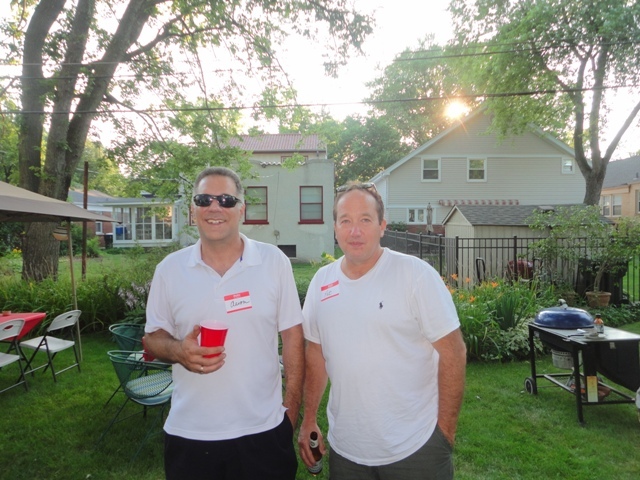 Thank you also to Charlie and Allan for bartending and serving! 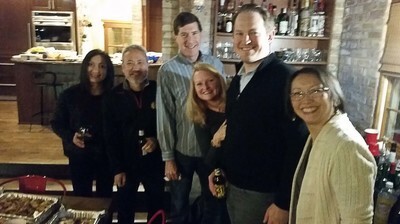 Members (and spouses) who ventured out to see the Cubs' historic drive to winning the World Series were rewarded with great good, good brews and lively conversation at Holt's. 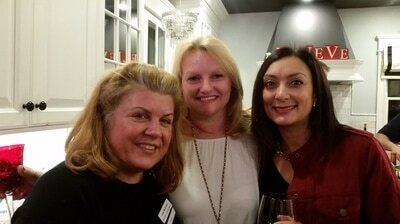 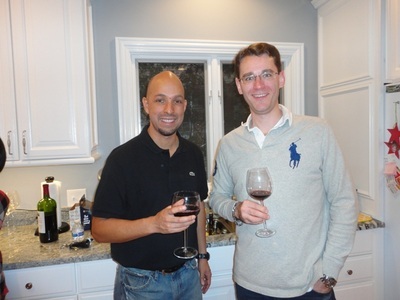 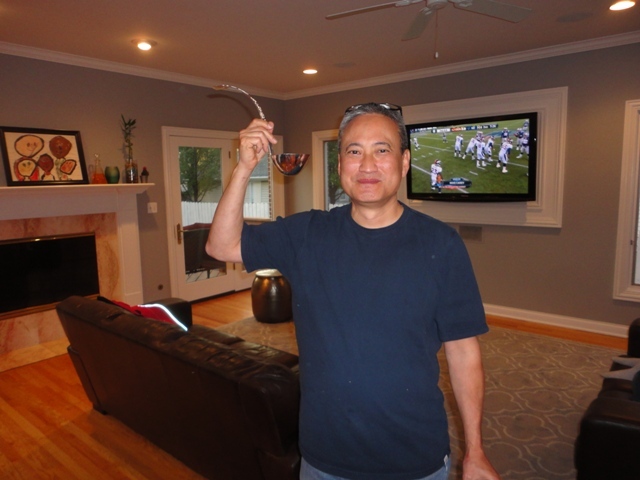 Members, old and new, enjoyed a variety of great, affordable wines at Winestyles. 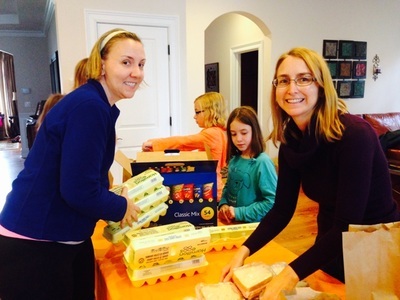 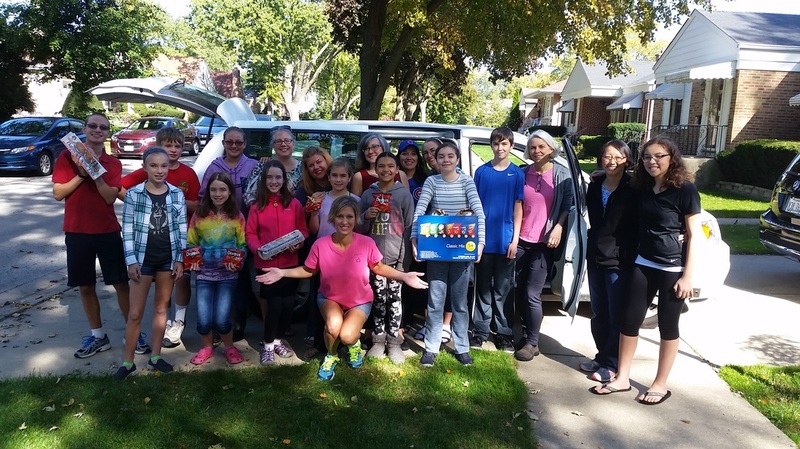 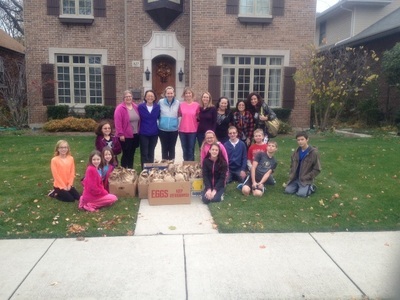 Thank you to all - kids and parents - who helped or donated lunch supplies to make lunches for those in need. 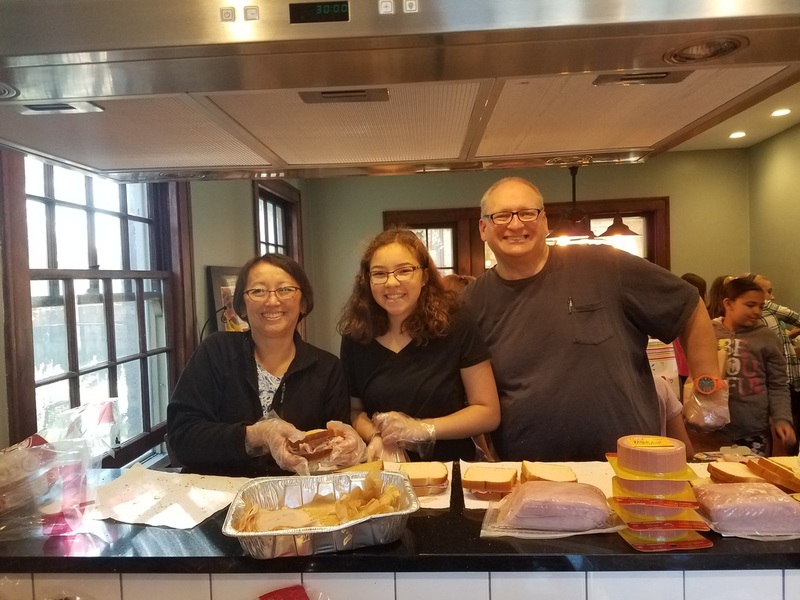 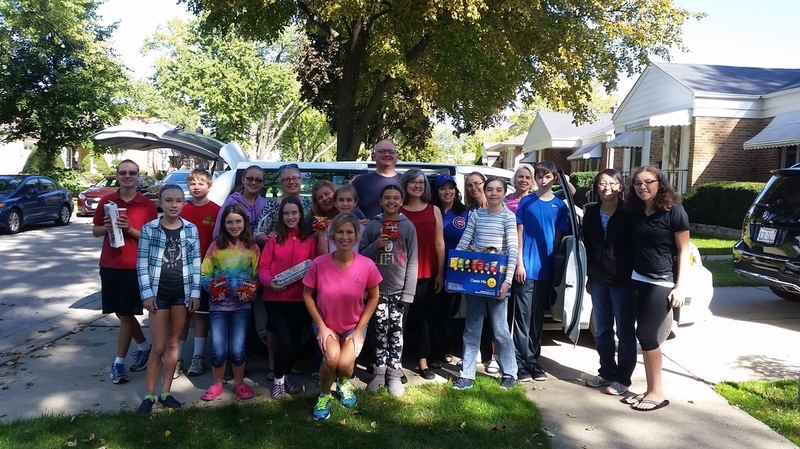 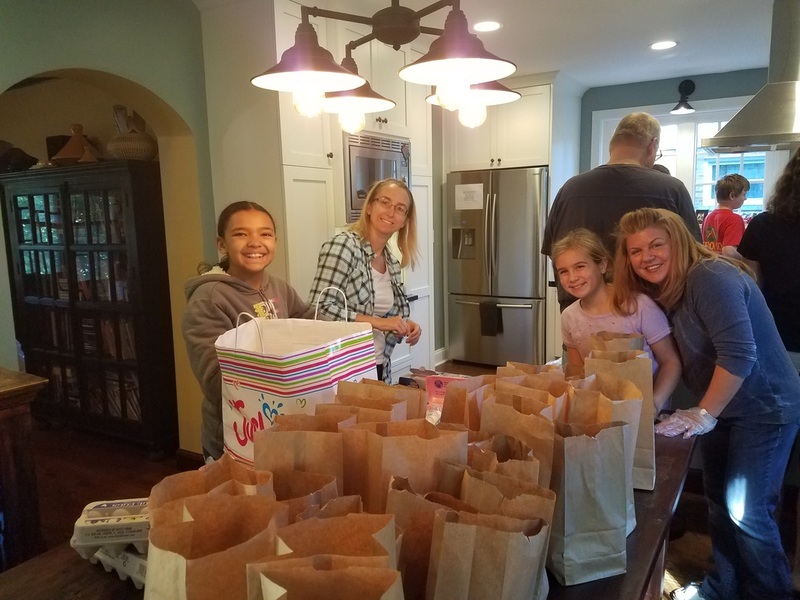 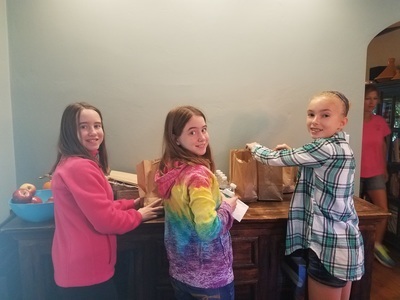 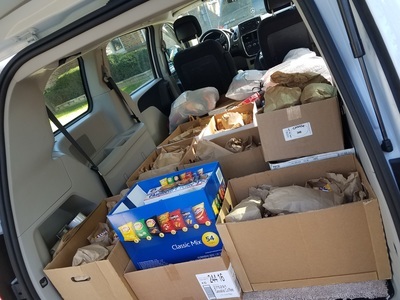 We packed 100 lunches for Uncle Pete's Ministry, which gave them to a homeless women's shelter, a homeless veterans program and two needy families. Thank you to Cynthia K. for hosting! 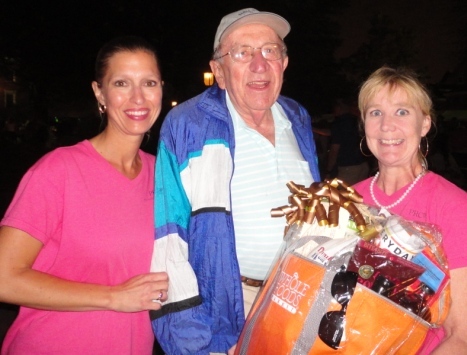 For more about "Uncle Pete" please visit this website to learn about its mission and past lunch recipients. 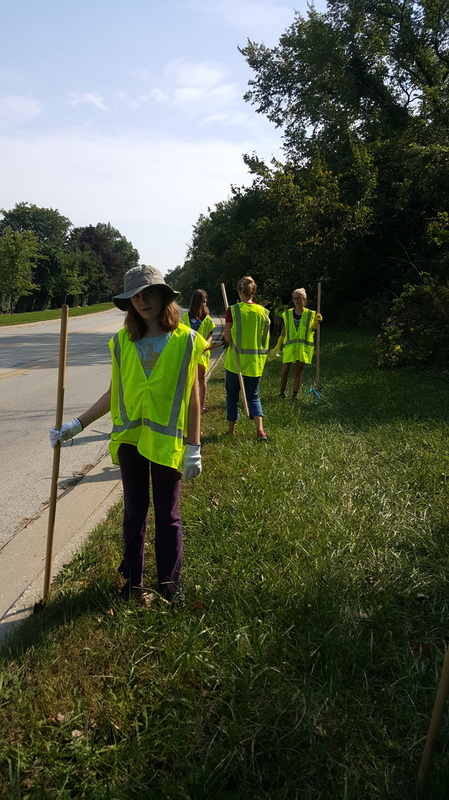 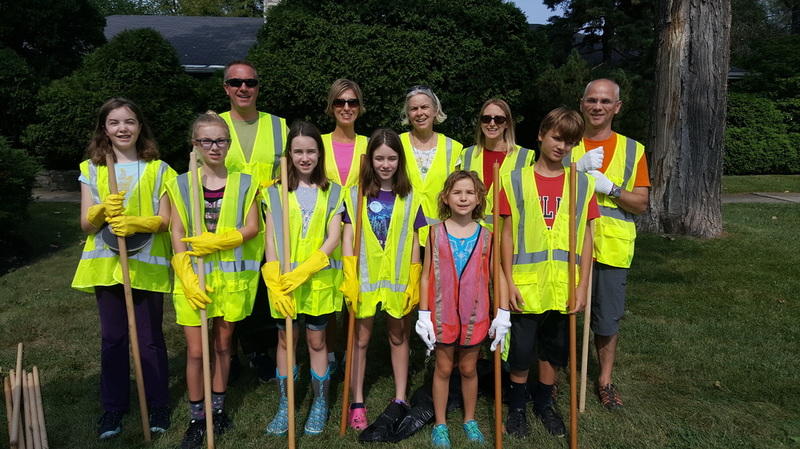 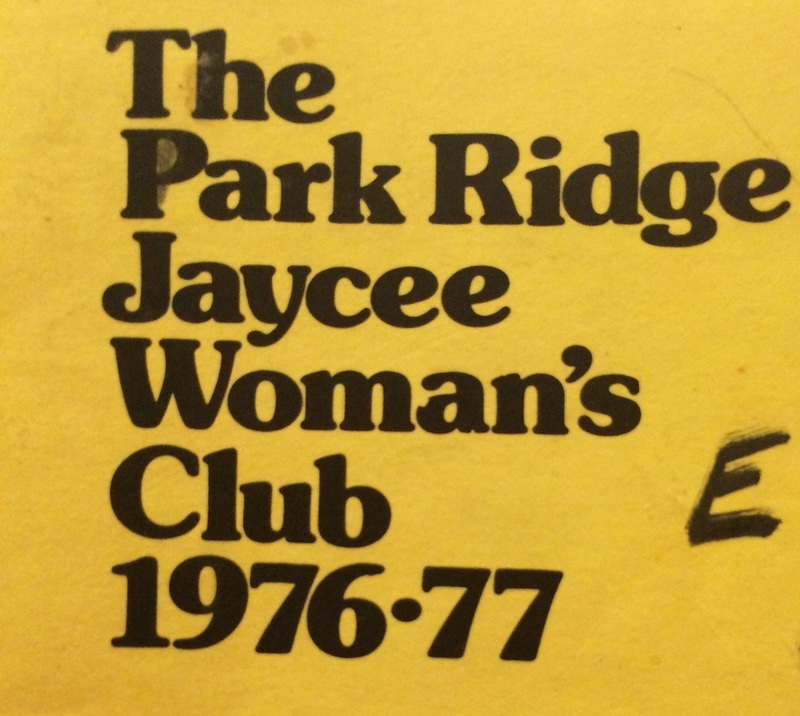 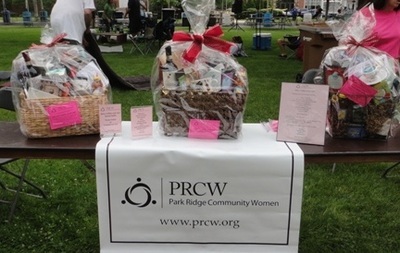 For the second year, PRCW cleaned up Park RIdge. 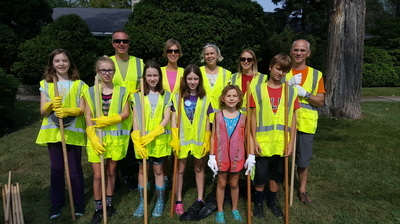 Thank you to all the families that came out to help keep our city beautiful! 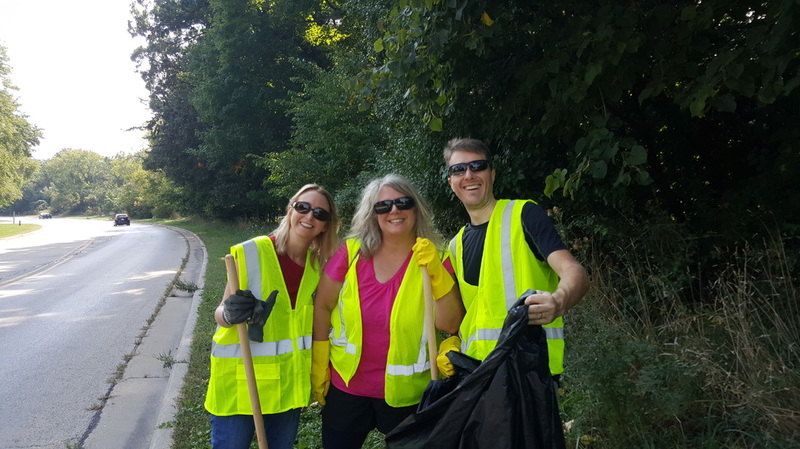 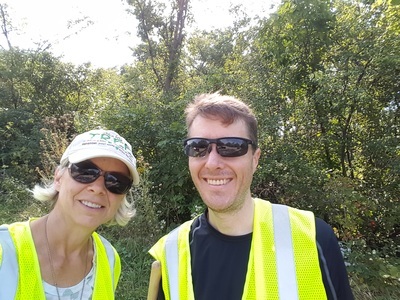 We picked up litter on Riverside Drive from Touhy Ave. to Oakton Ave. 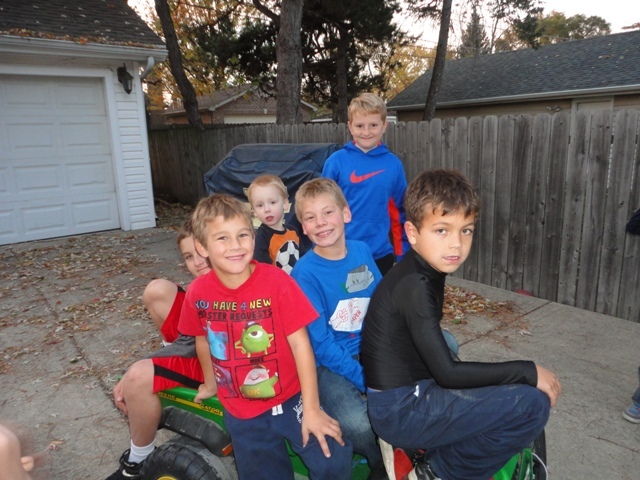 The kids were real troopers and by working together we were able to complete the project in about an hour. 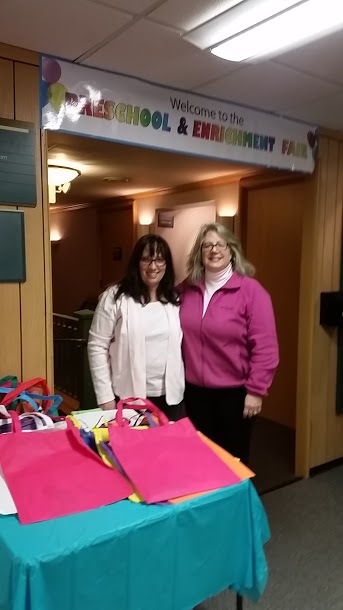 Earth-friendly totes and treats were handed out as a thank-you. 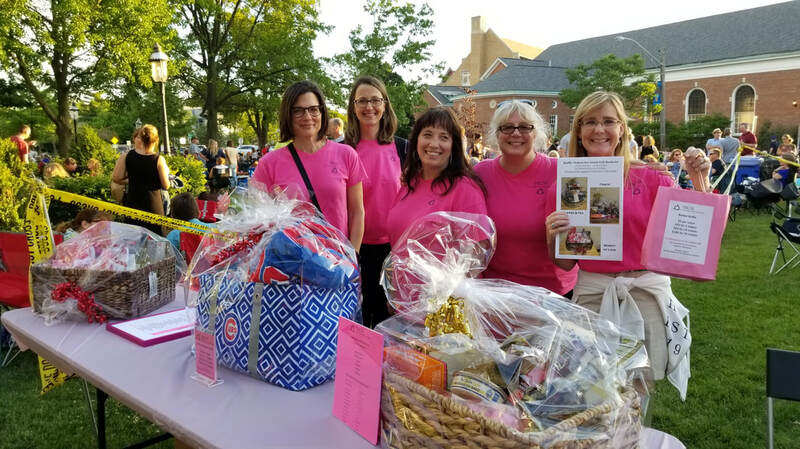 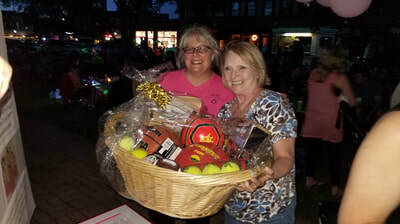 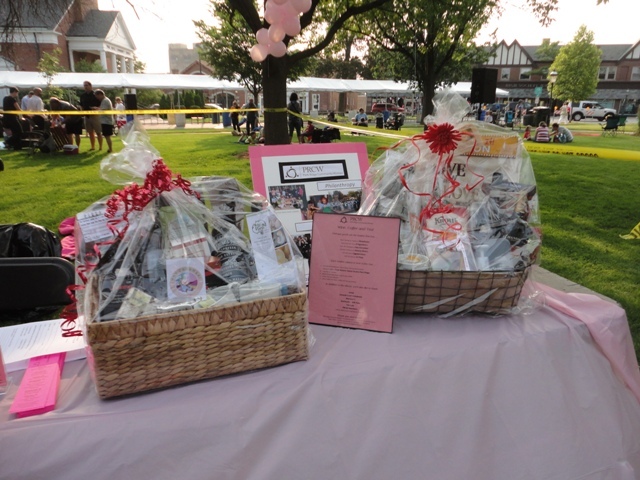 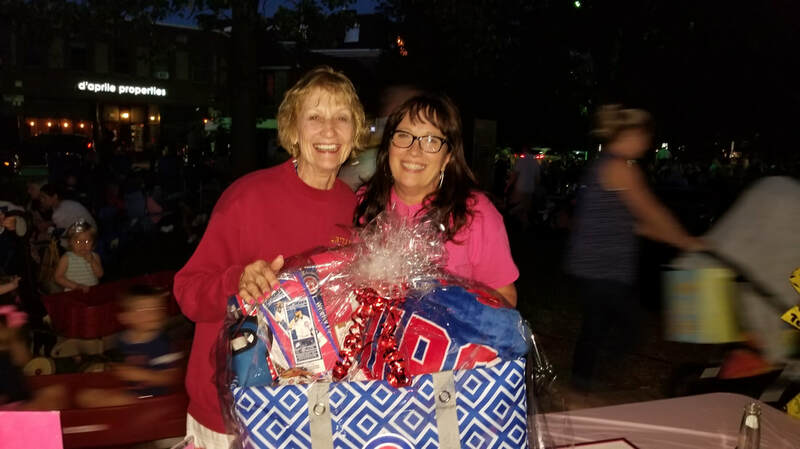 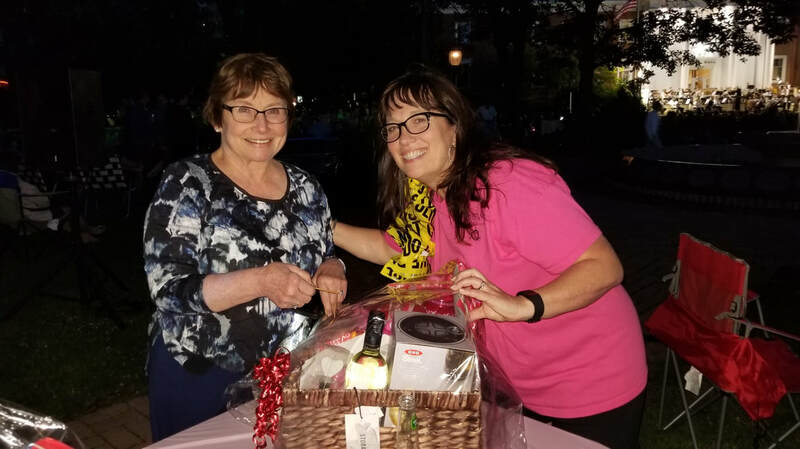 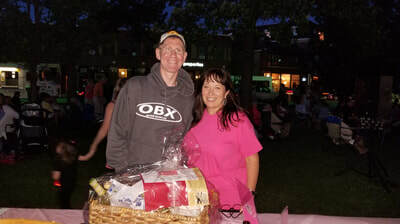 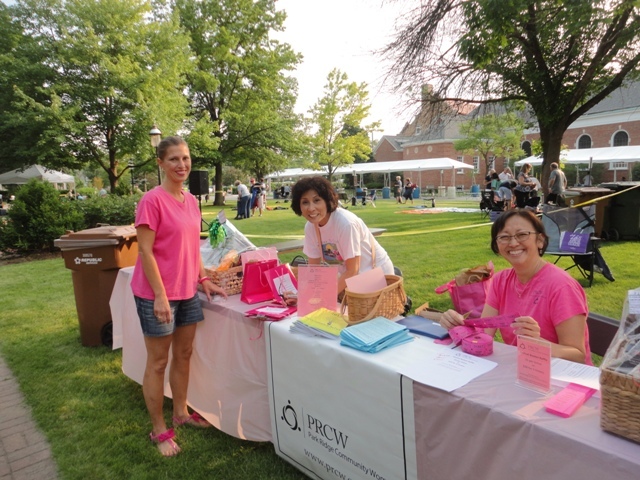 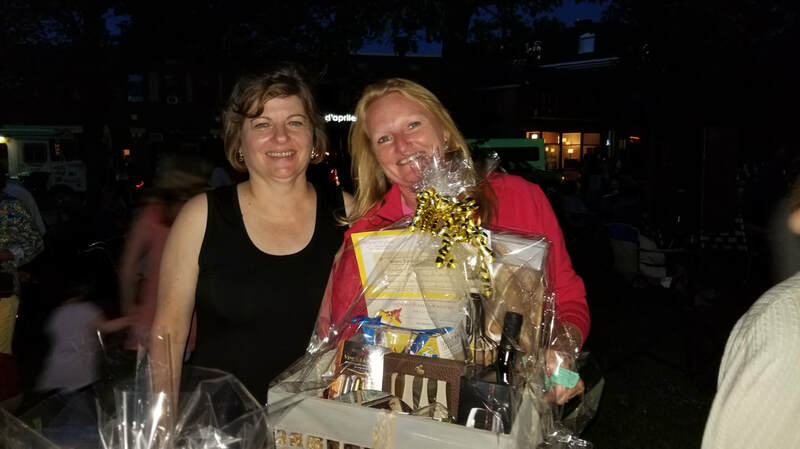 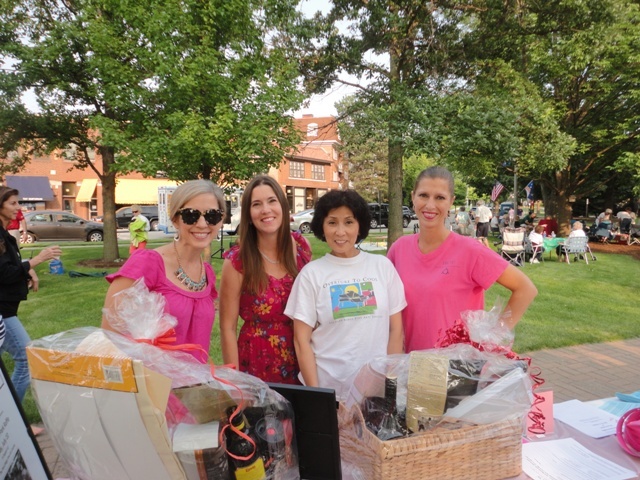 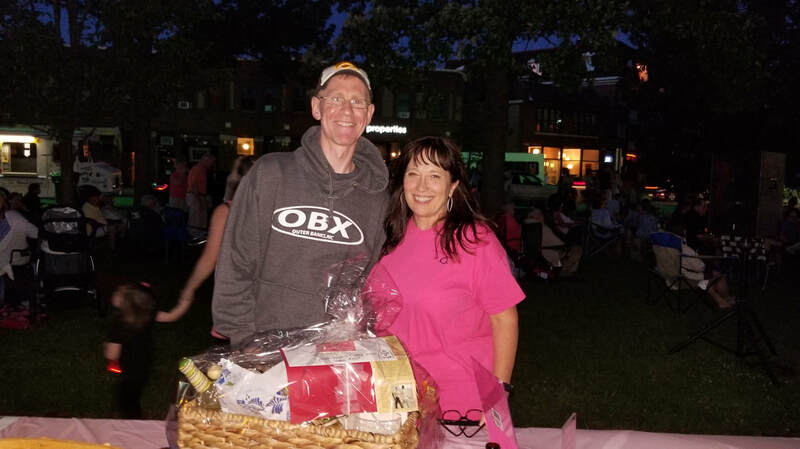 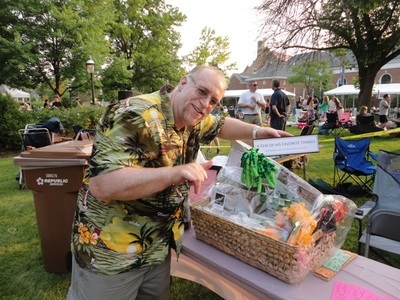 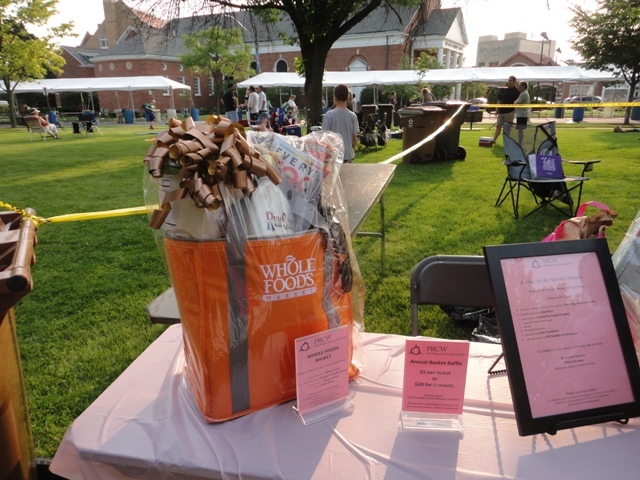 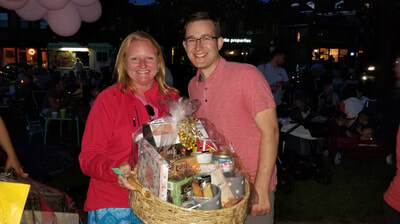 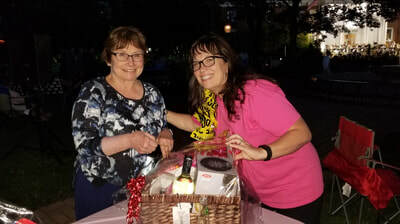 It was a beautiful night for PRCW's annual raffle to support the Park Ridge Fine Arts Society's free Concerts in the Park. 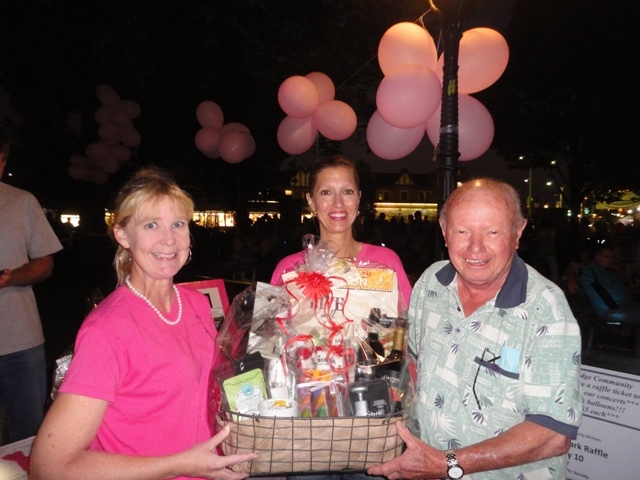 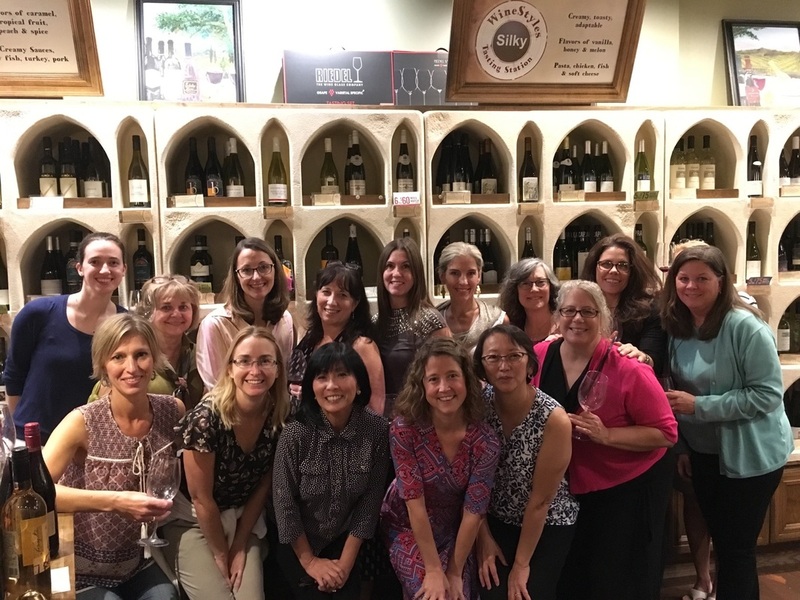 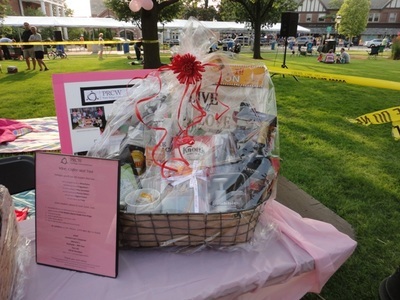 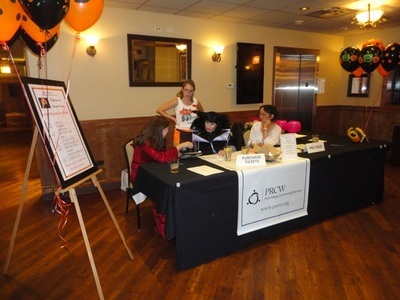 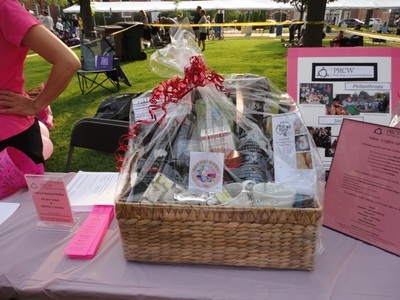 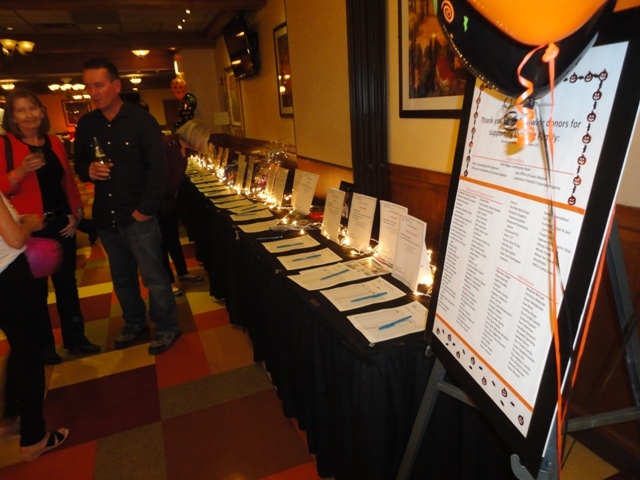 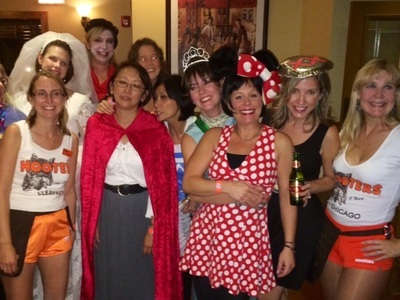 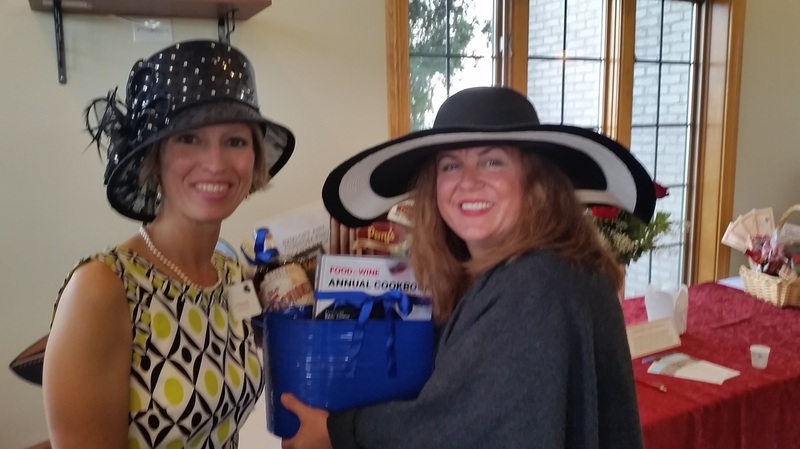 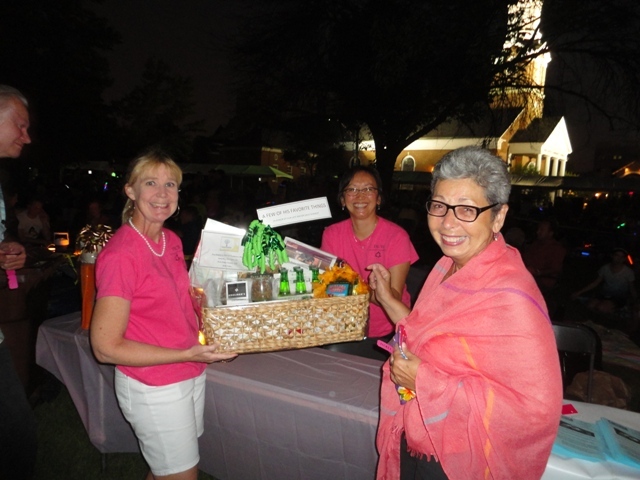 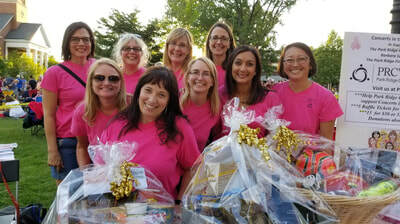 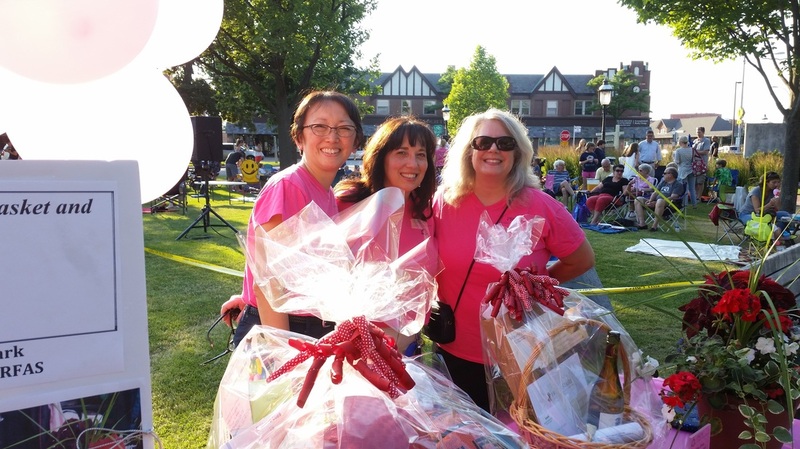 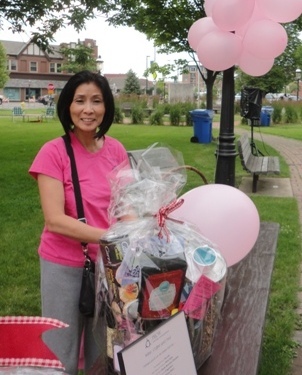 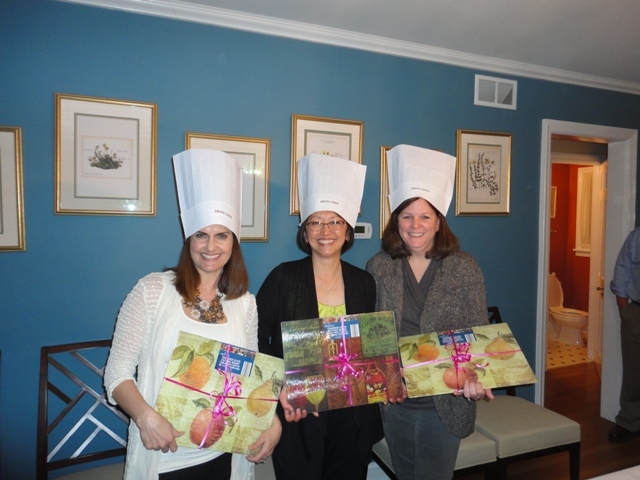 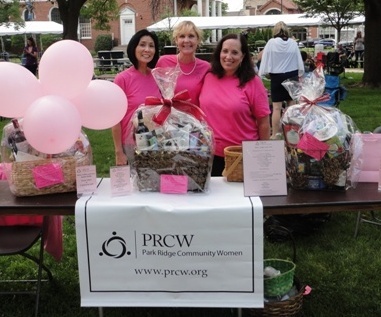 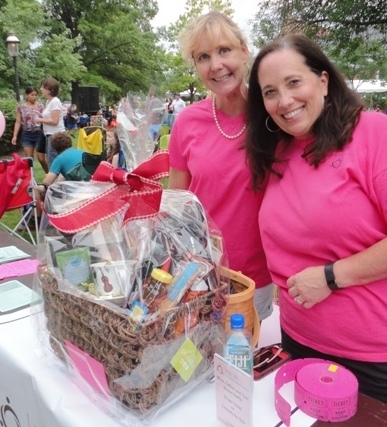 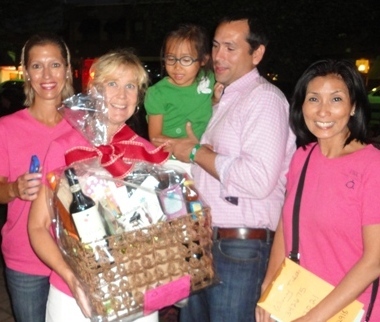 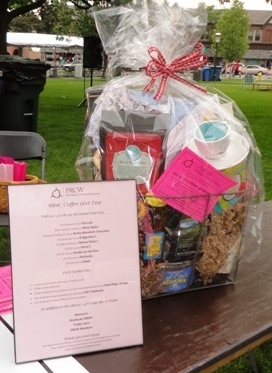 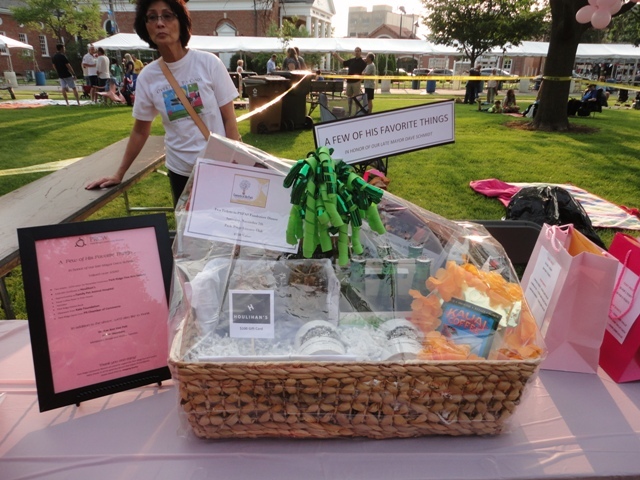 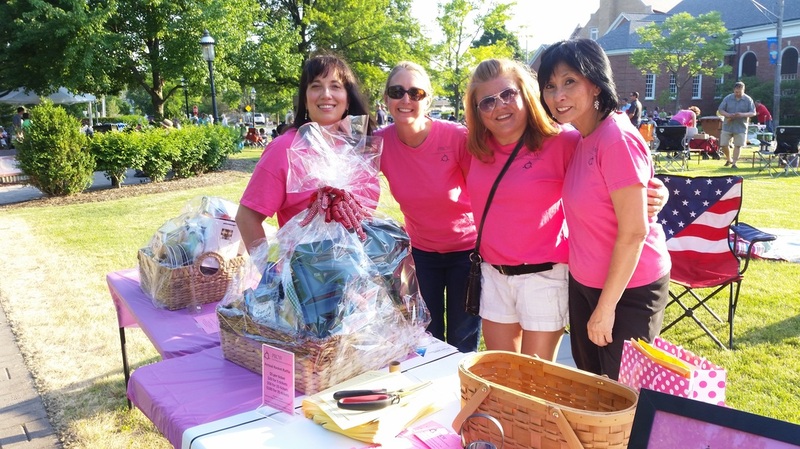 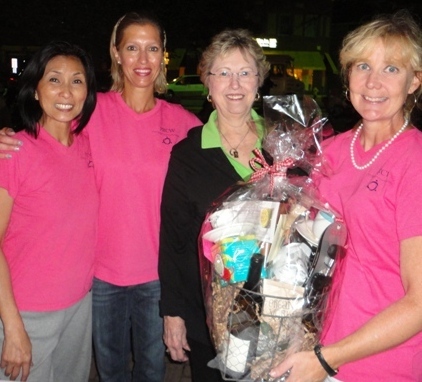 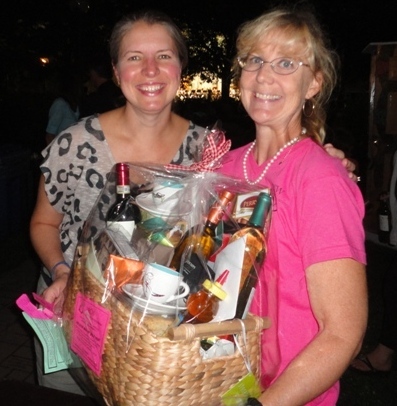 PRCW members raised over $4,000 for the PRFAS in our annual raffle of great gift baskets. 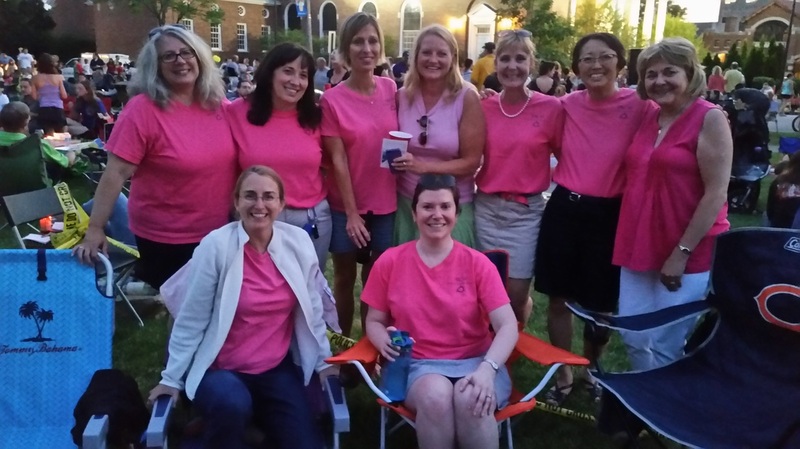 We then relaxed with friends and families to enjoy the wonderful concert in Hodges Park. Thanks to all the members who helped to sell raffle tickets! 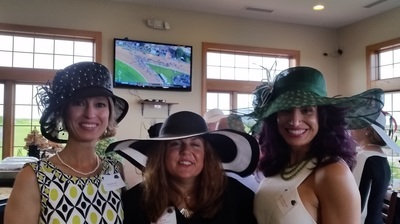 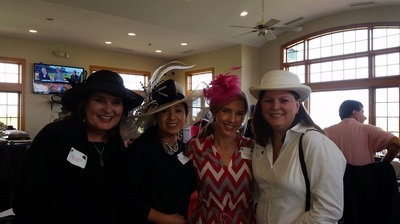 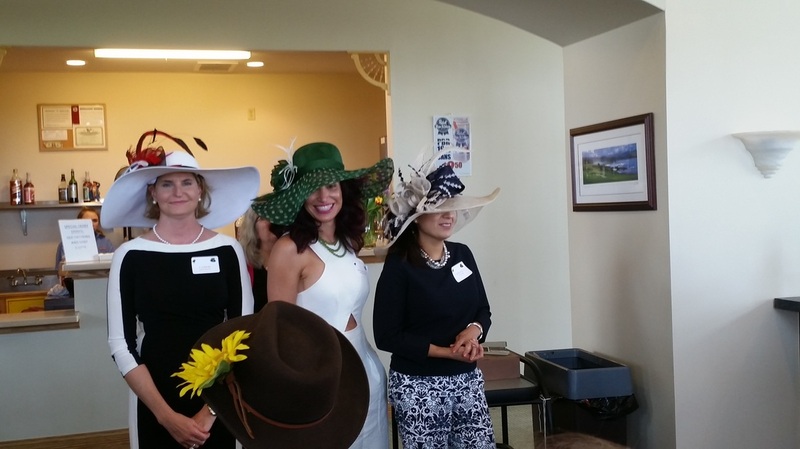 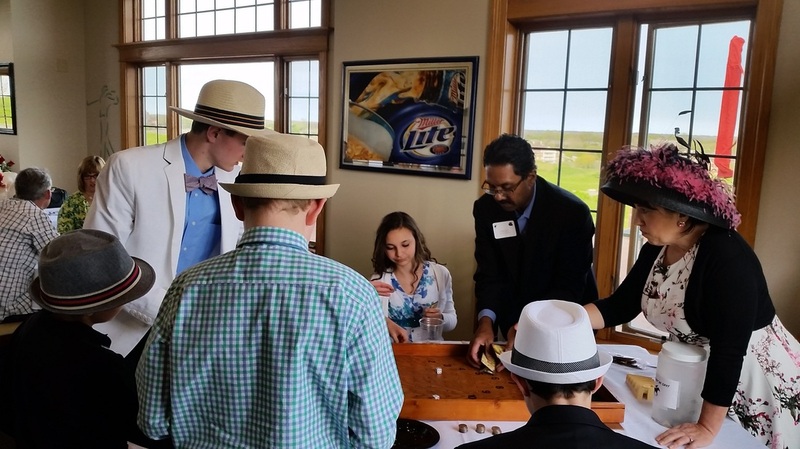 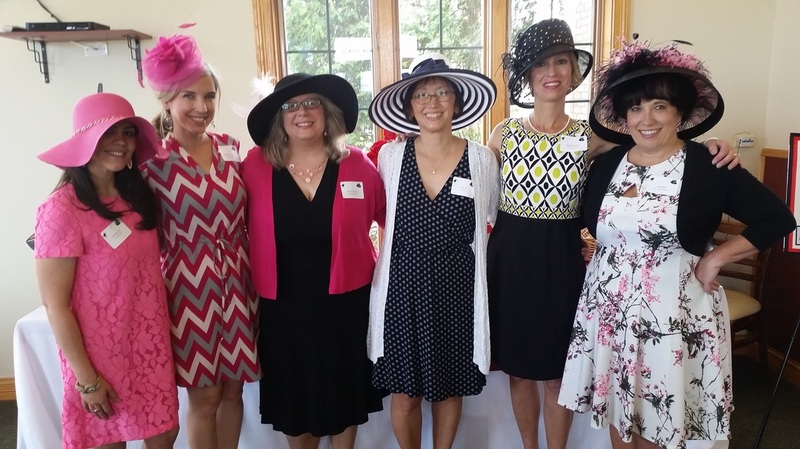 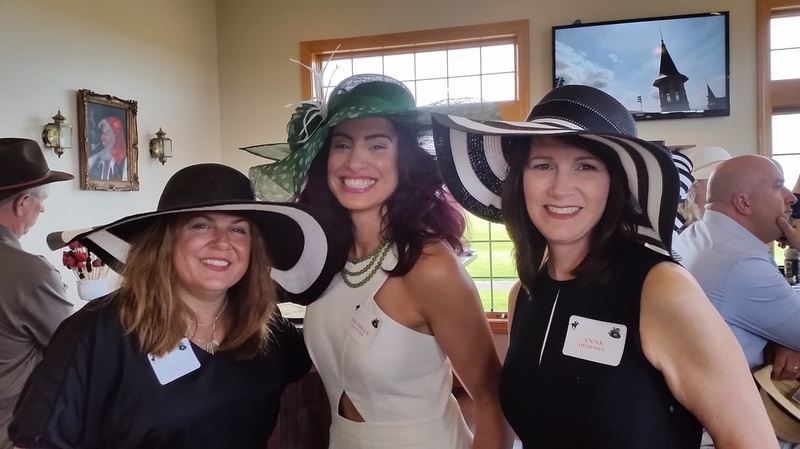 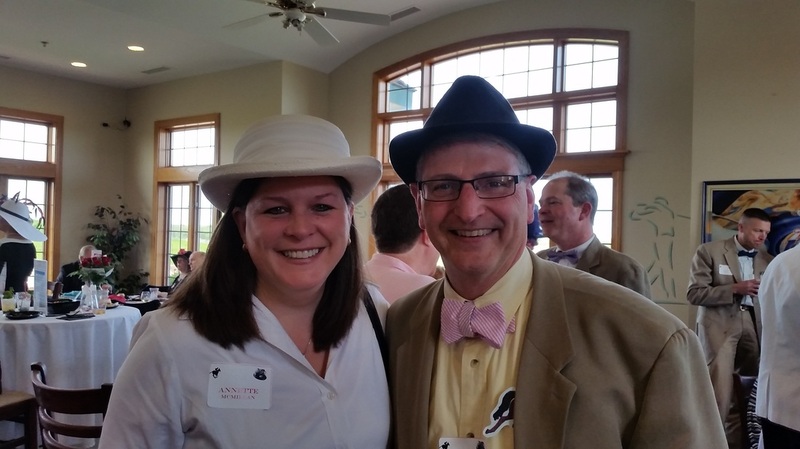 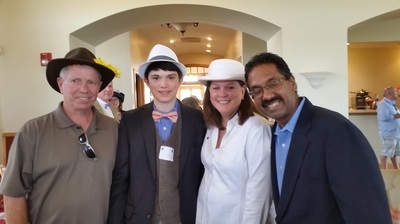 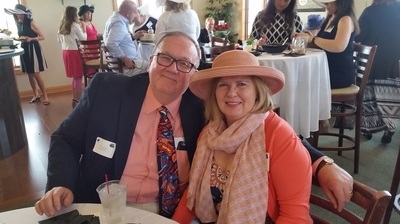 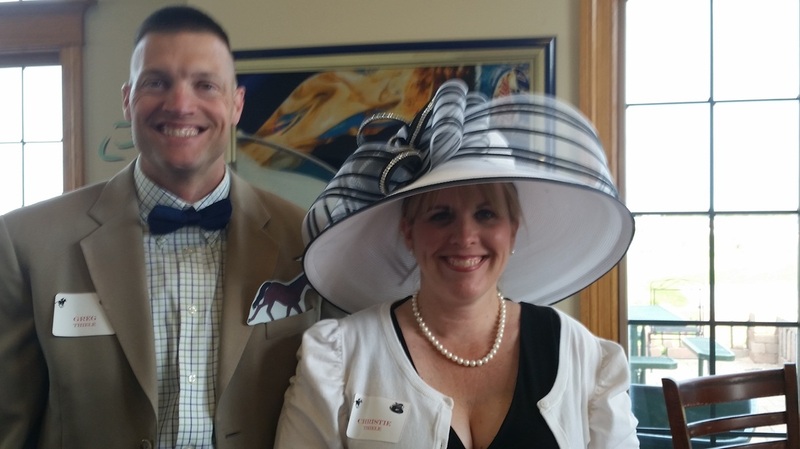 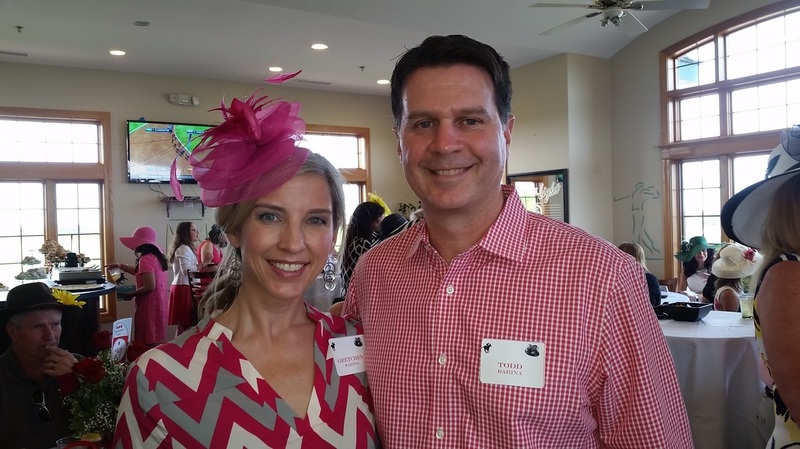 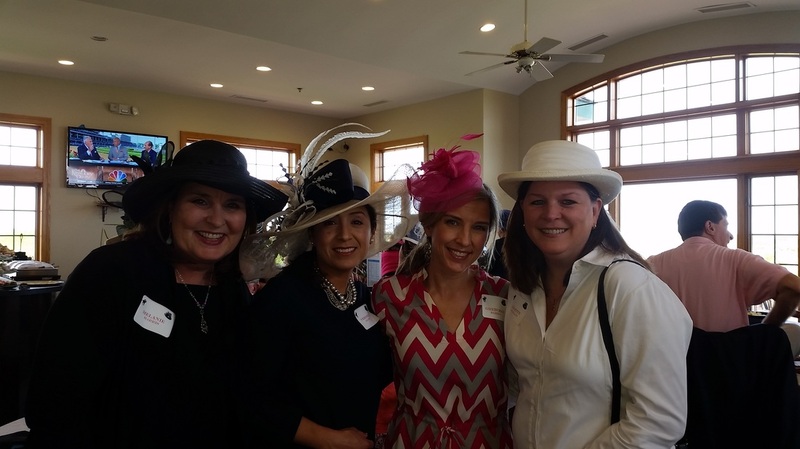 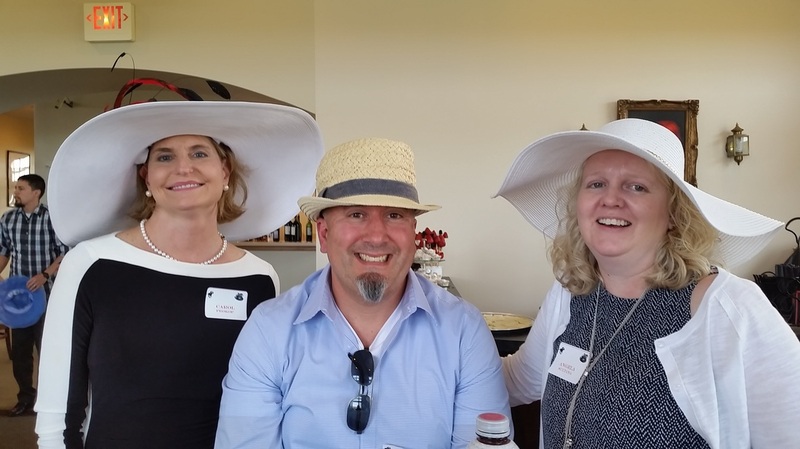 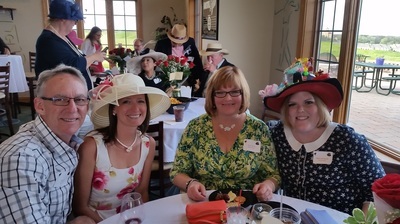 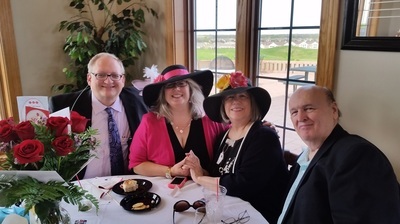 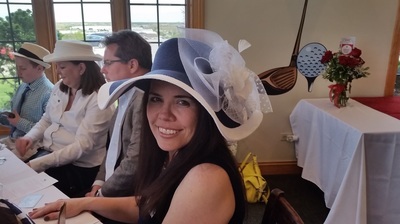 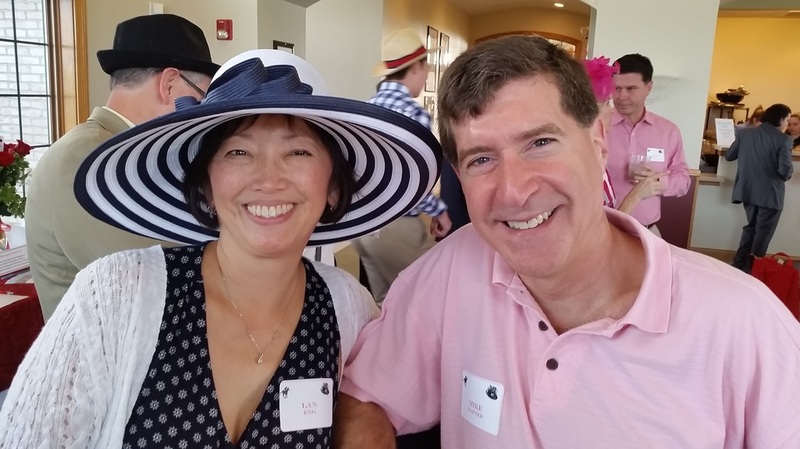 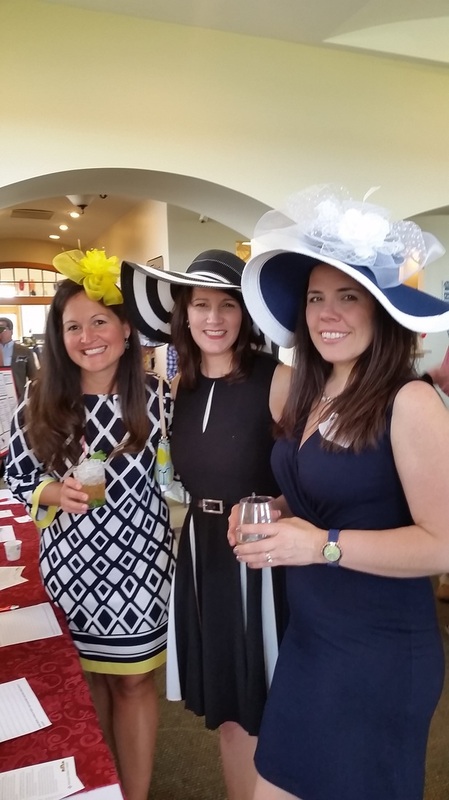 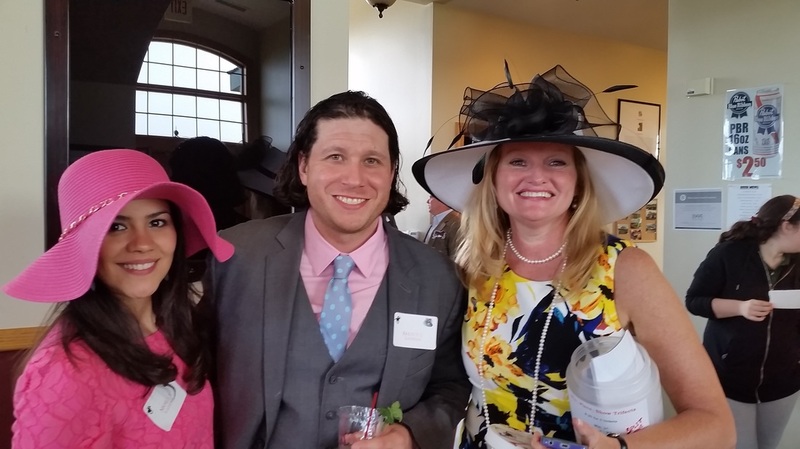 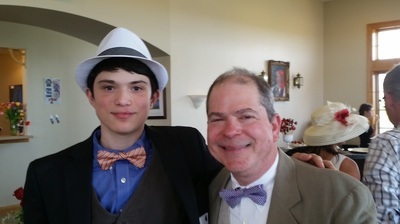 Fabulous hats, lovely ladies and dapper gents were all present at the PRCW's Derby Day charitable event benefiting the Midwest Children's Brain Tumor Center. 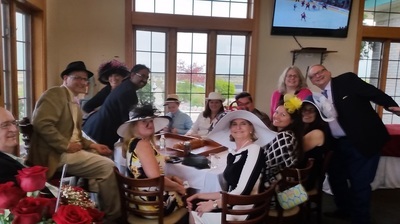 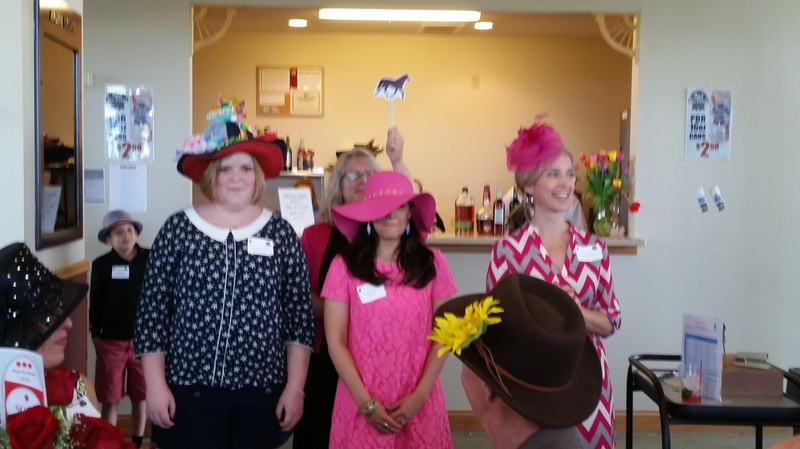 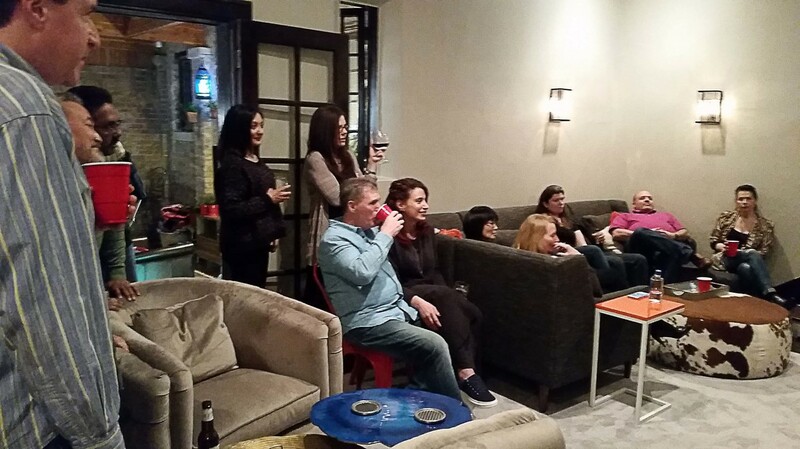 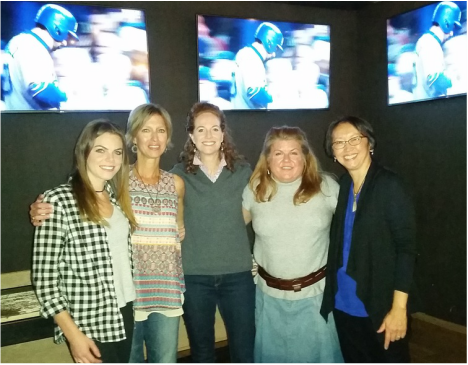 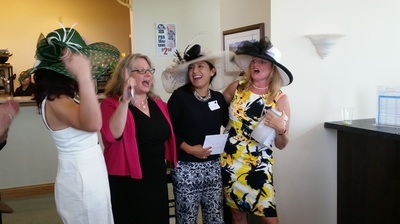 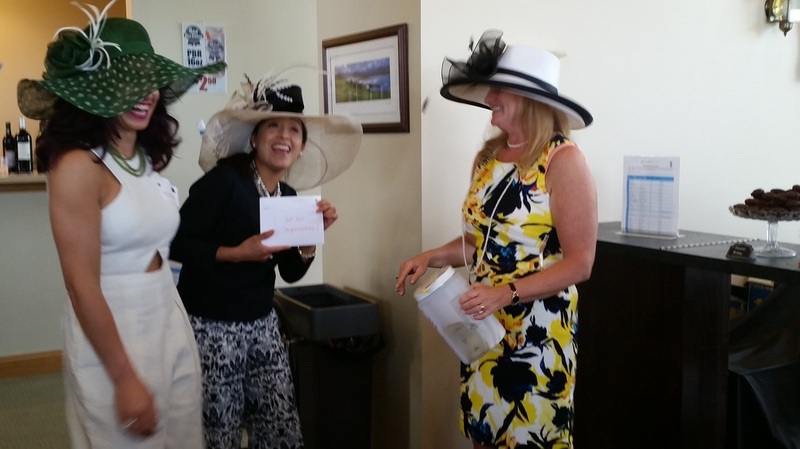 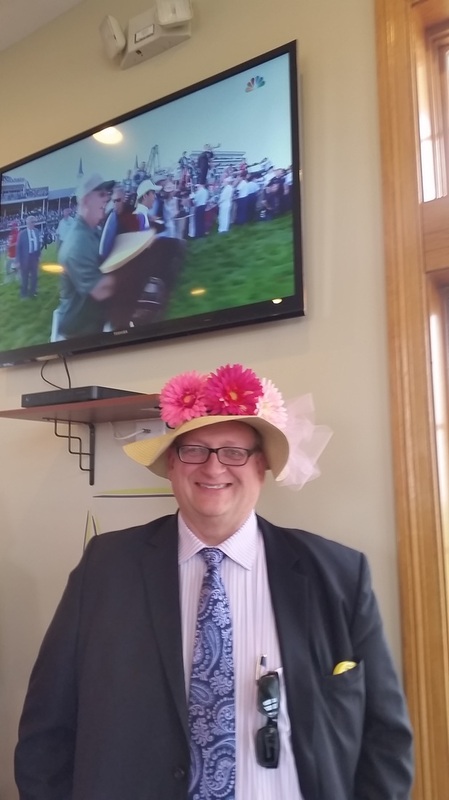 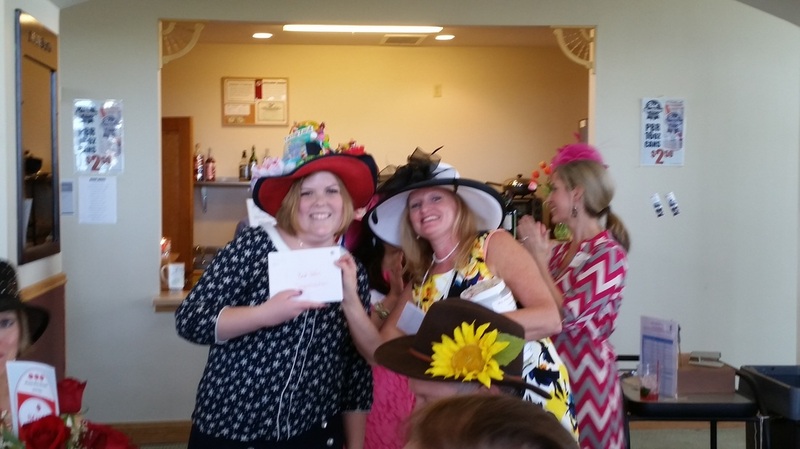 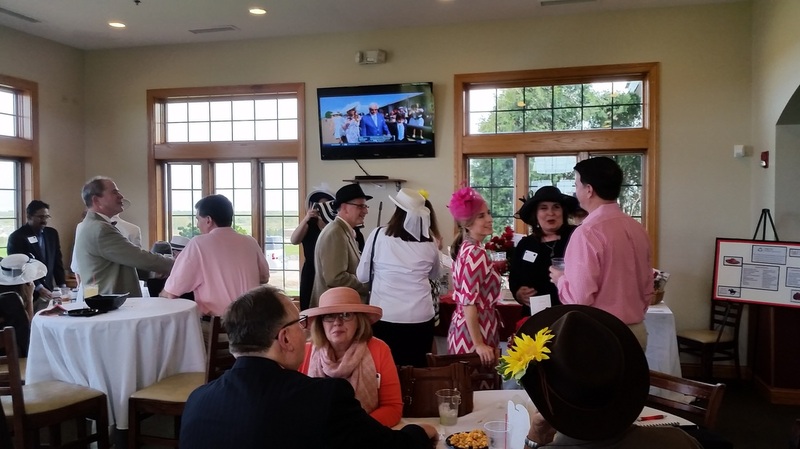 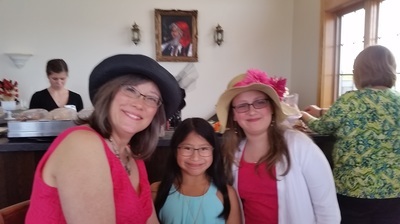 PRCW members, families and friends had a wonderful time socializing, playing games, and watching Nyquist win the Kentucky Derby. A big thank you to all who attended and to the businesses and individuals who donated! 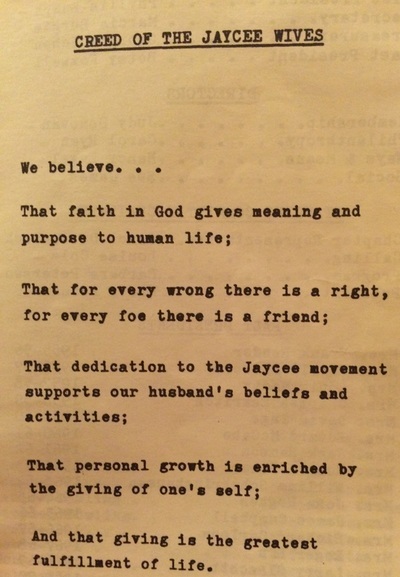 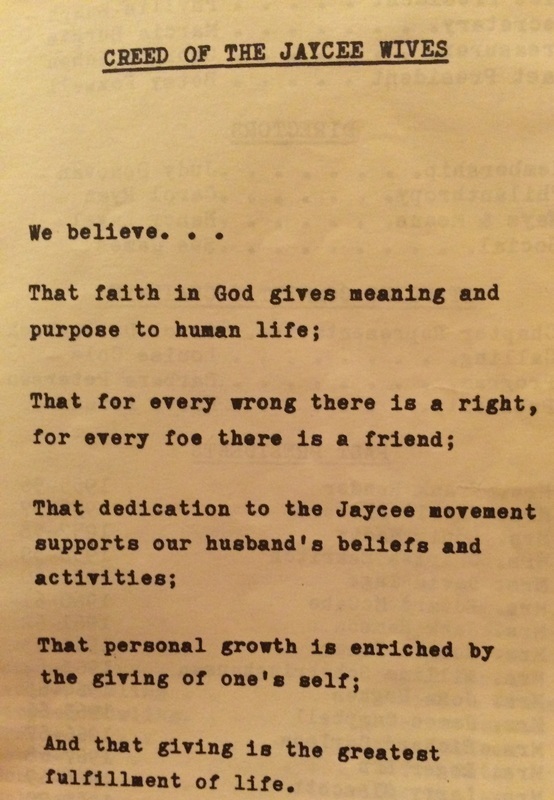 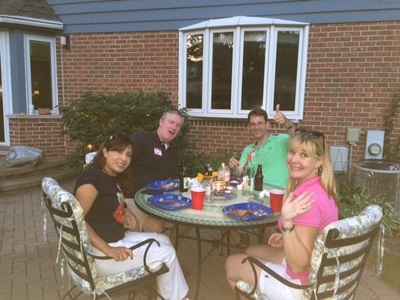 Thank you to Margaret & John B. for hosting. 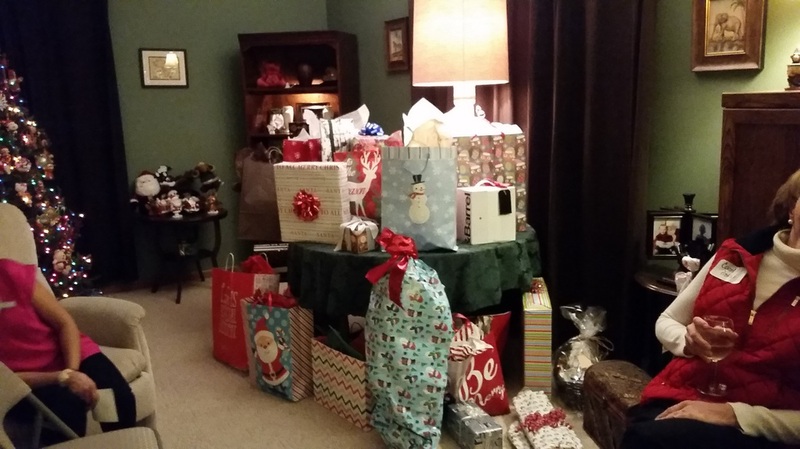 Photos to come. 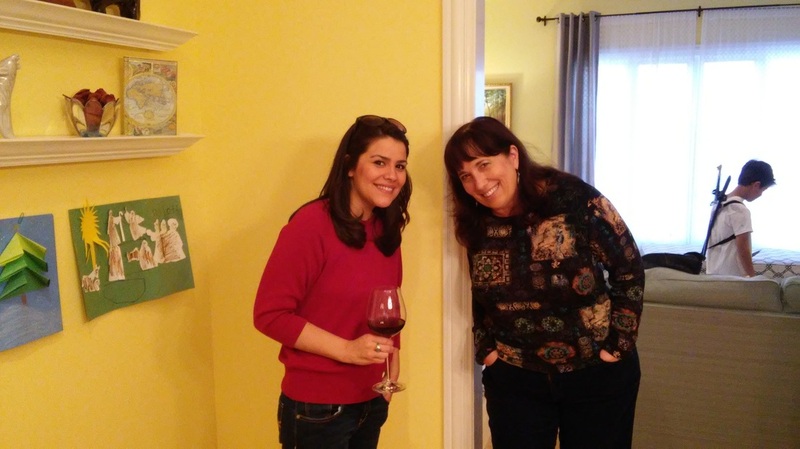 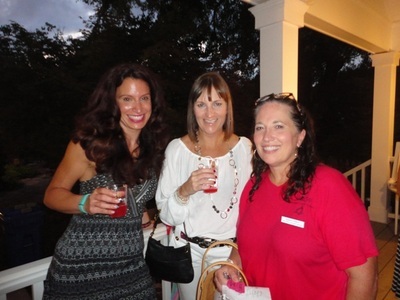 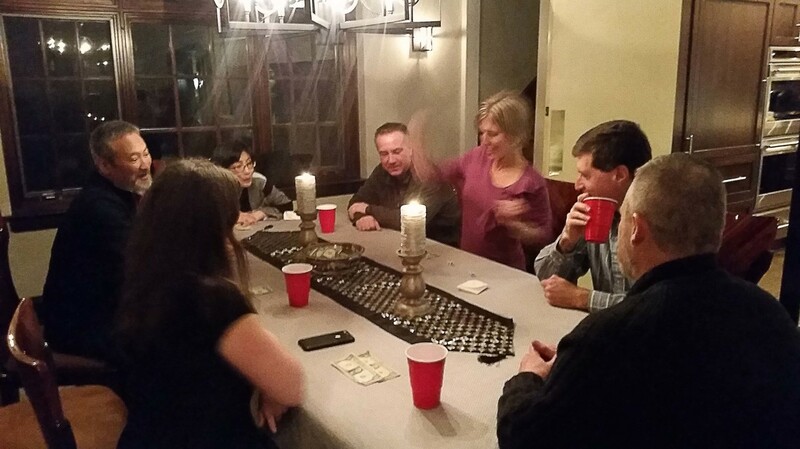 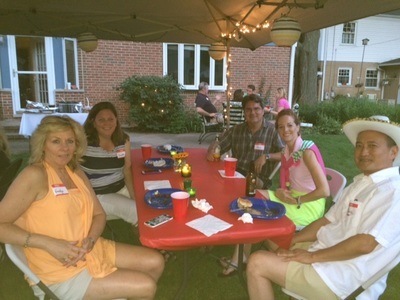 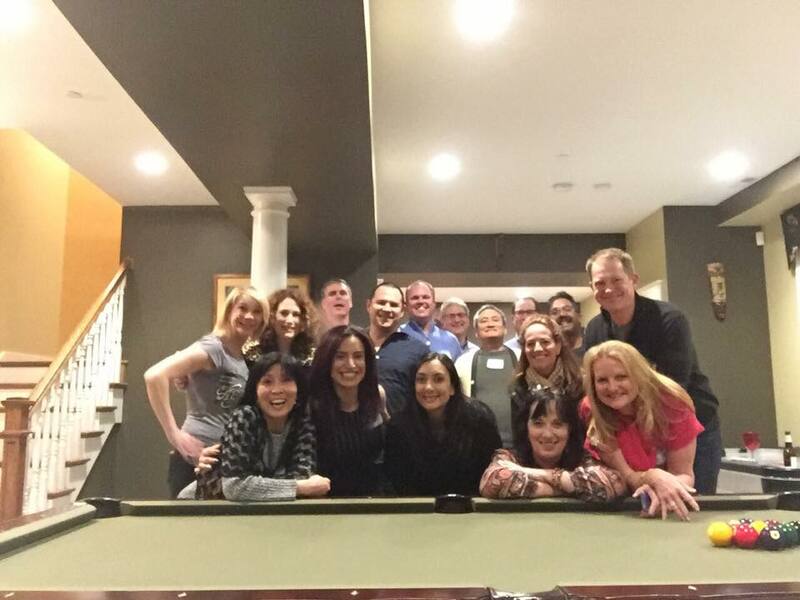 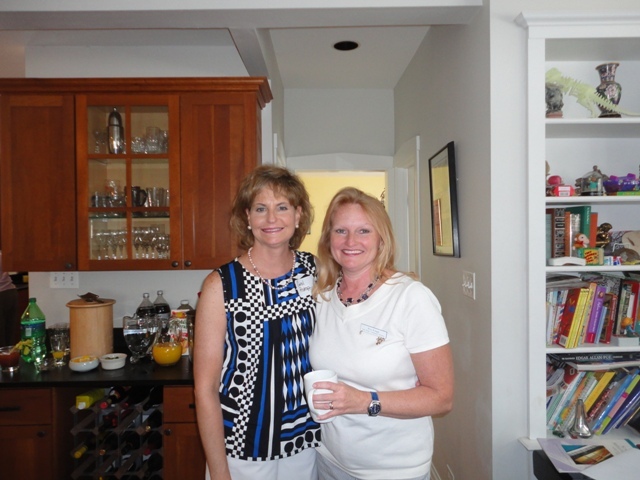 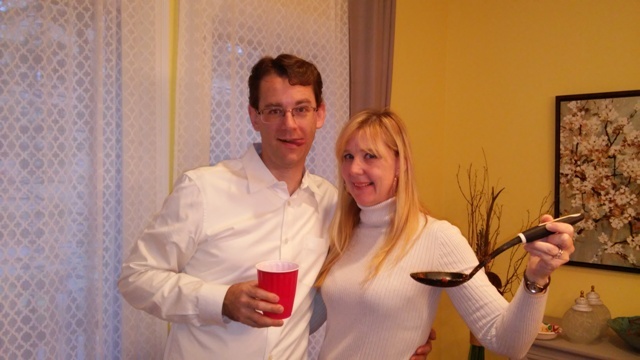 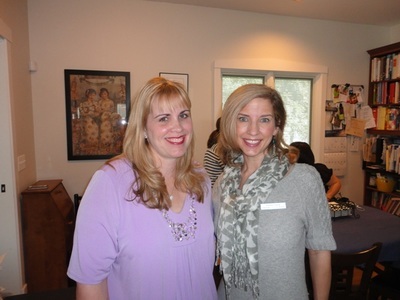 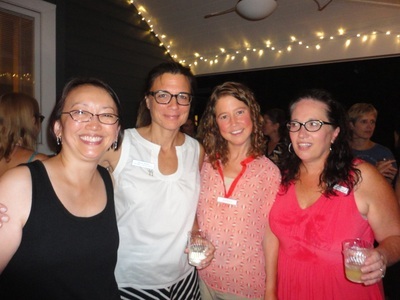 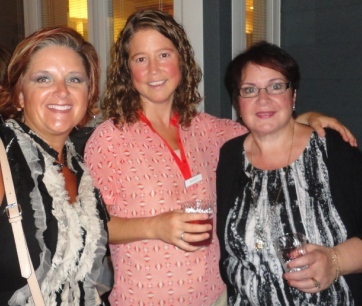 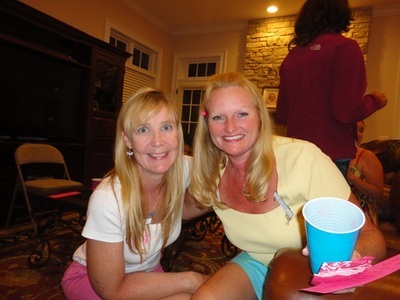 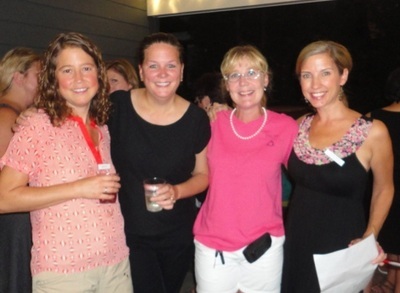 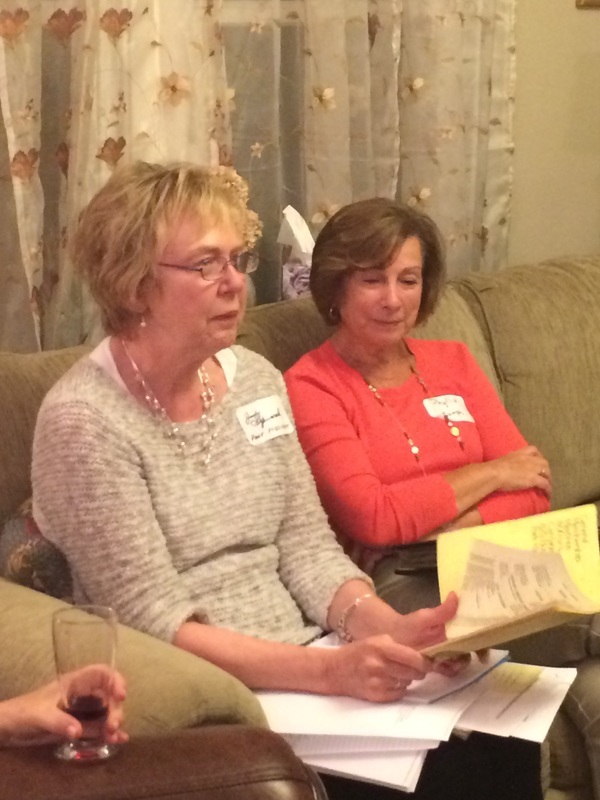 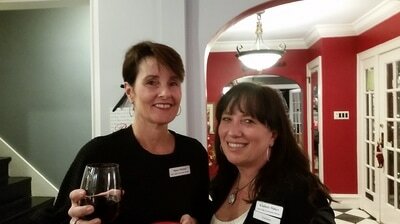 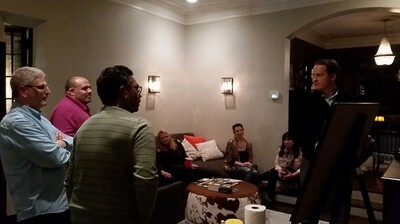 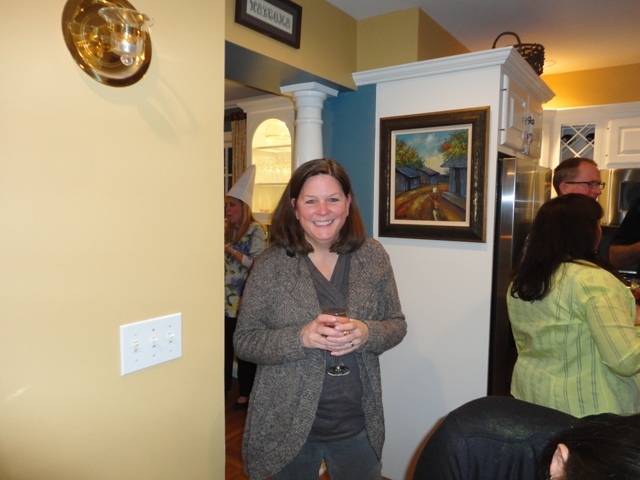 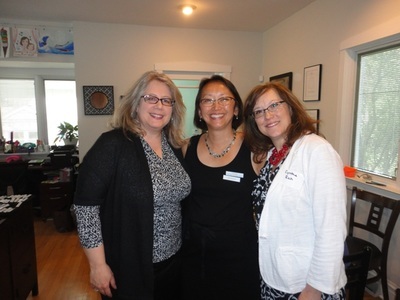 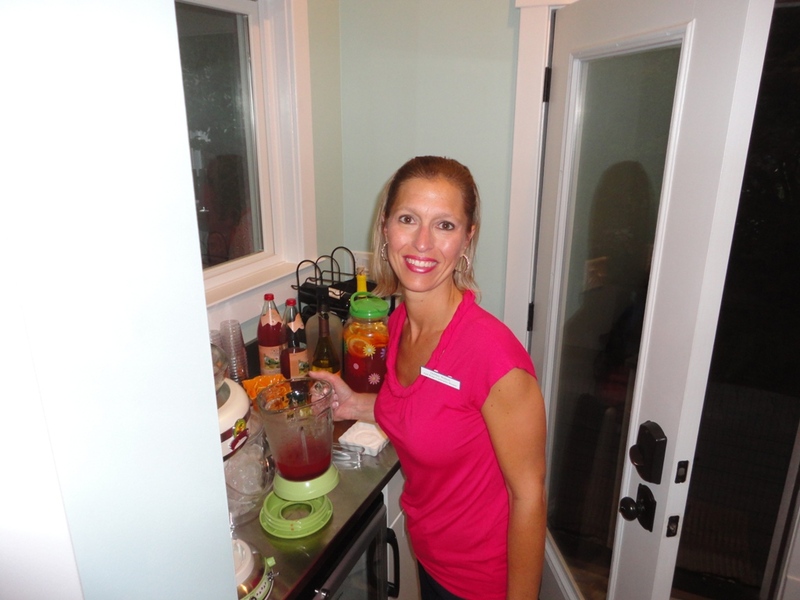 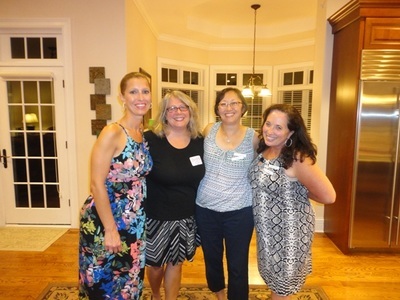 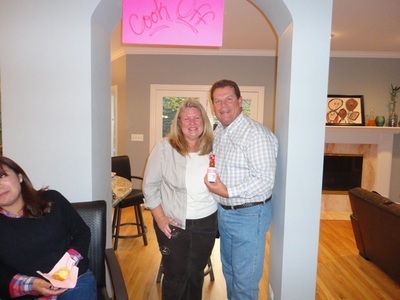 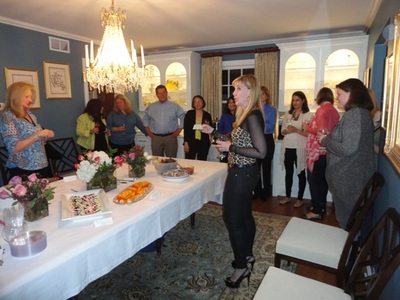 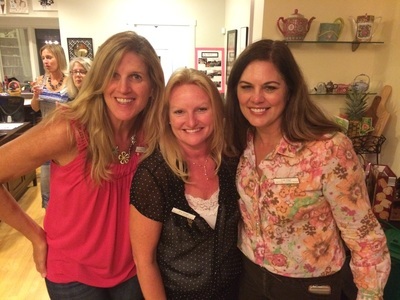 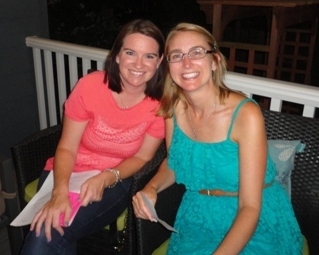 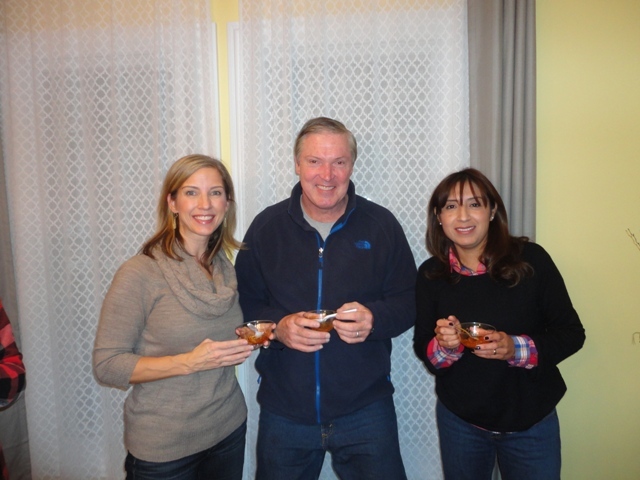 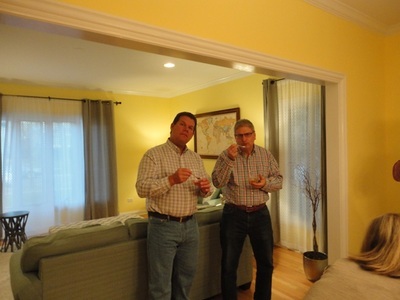 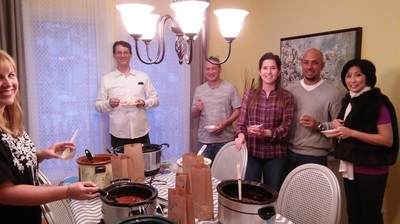 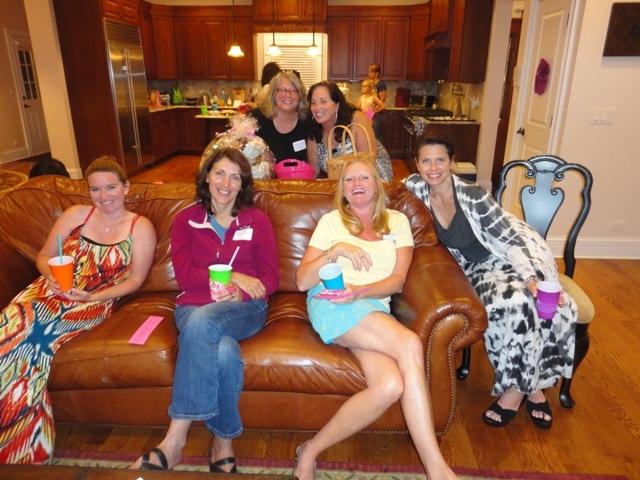 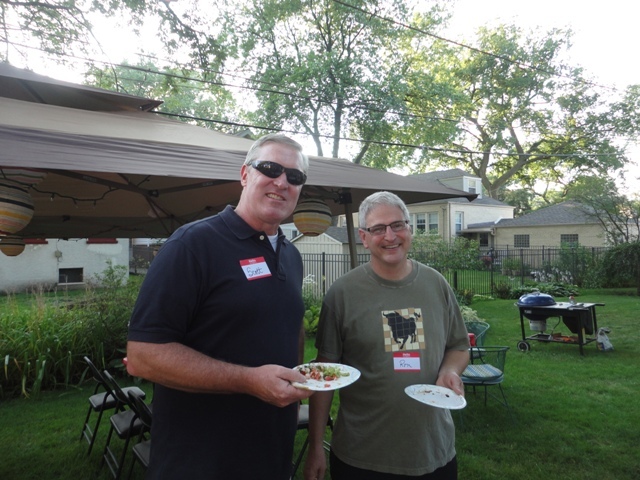 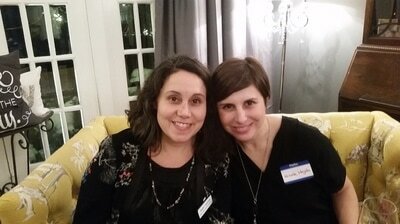 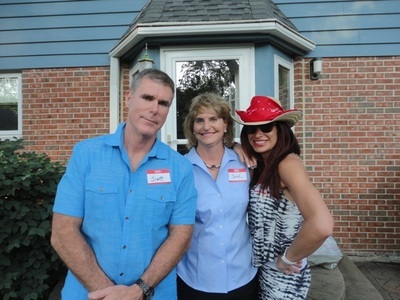 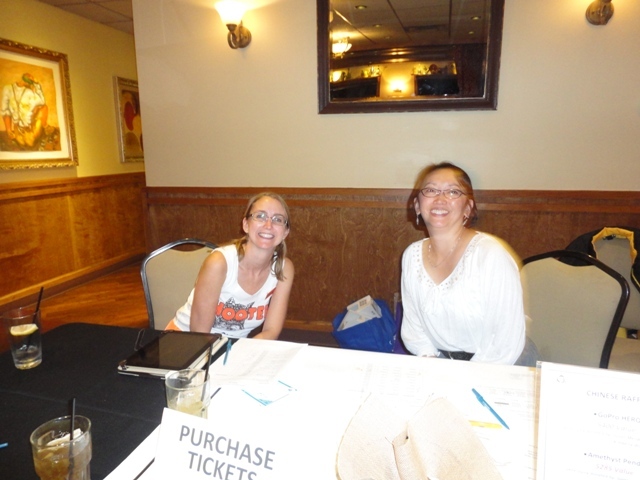 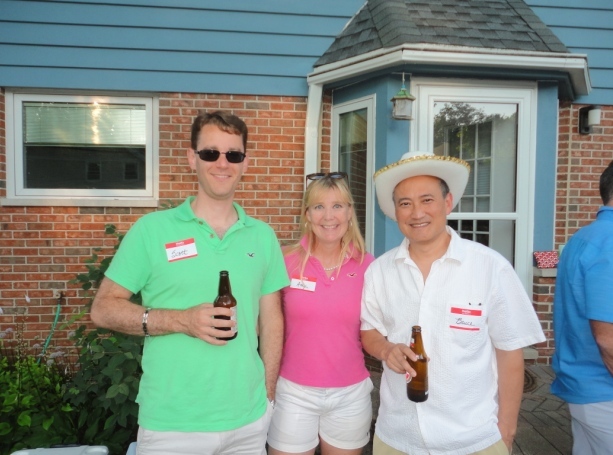 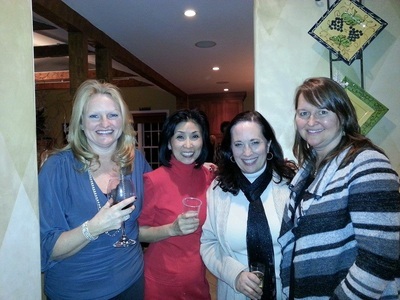 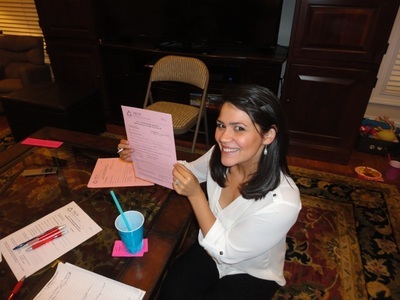 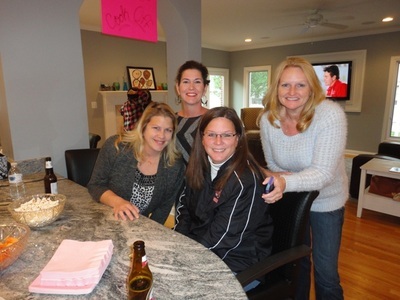 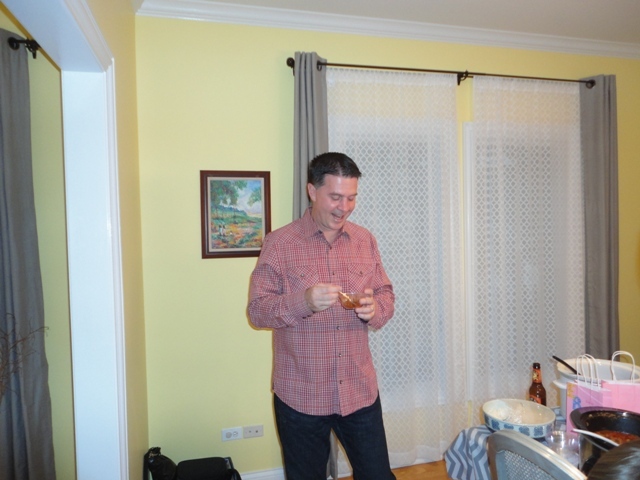 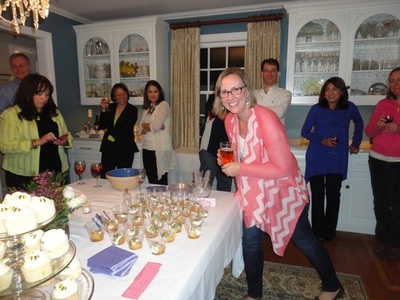 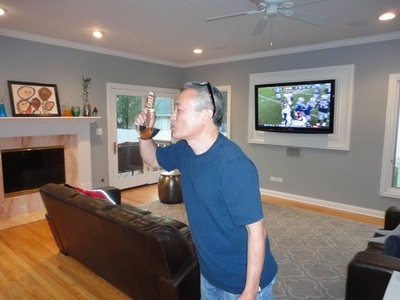 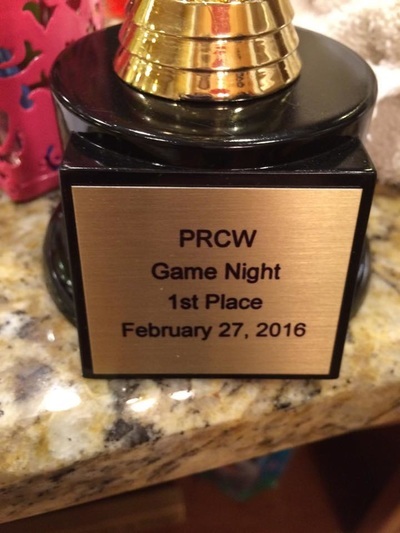 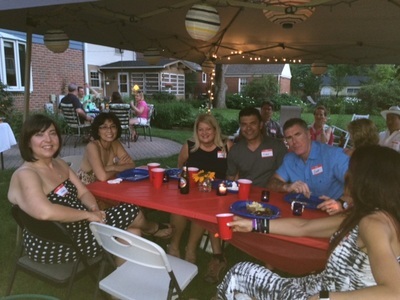 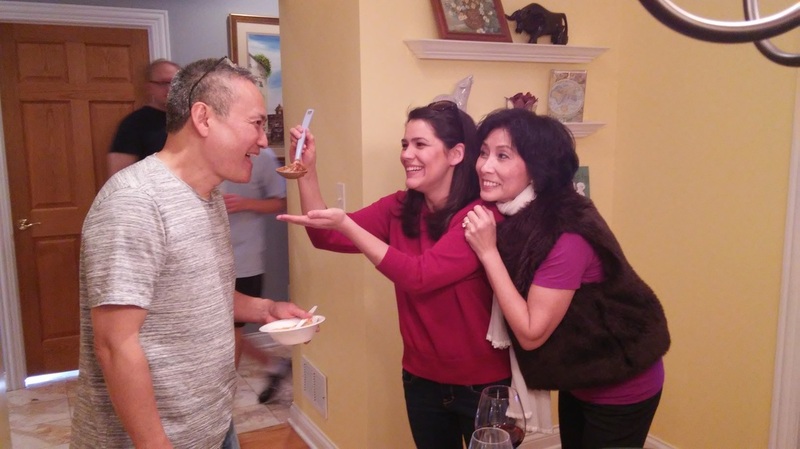 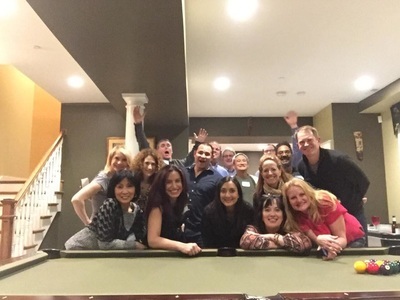 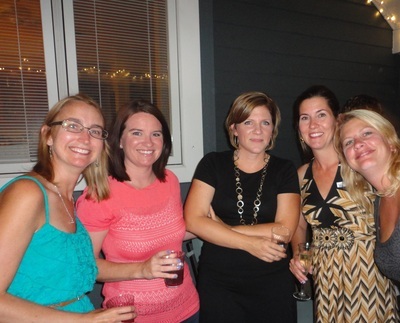 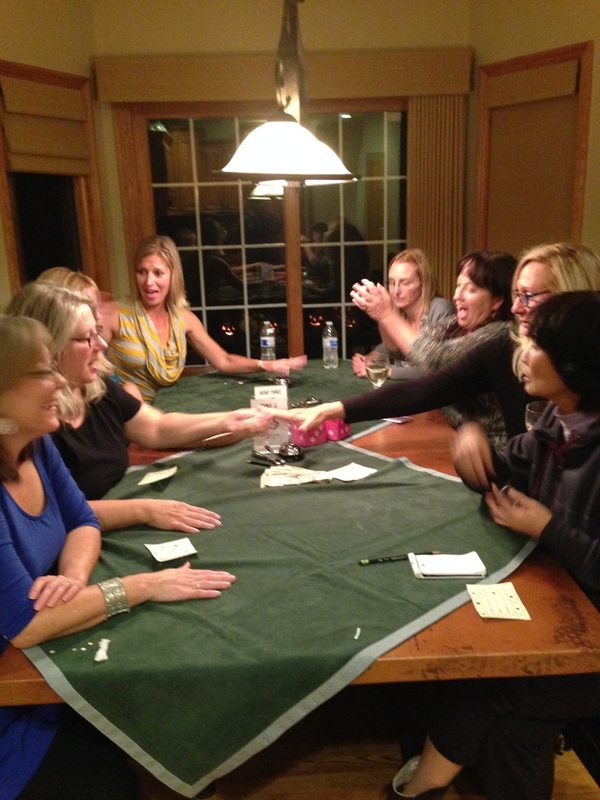 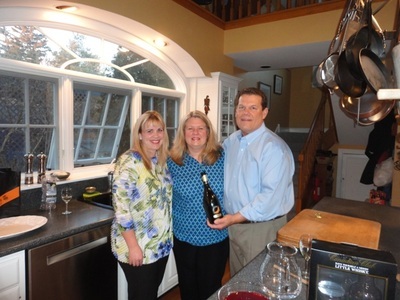 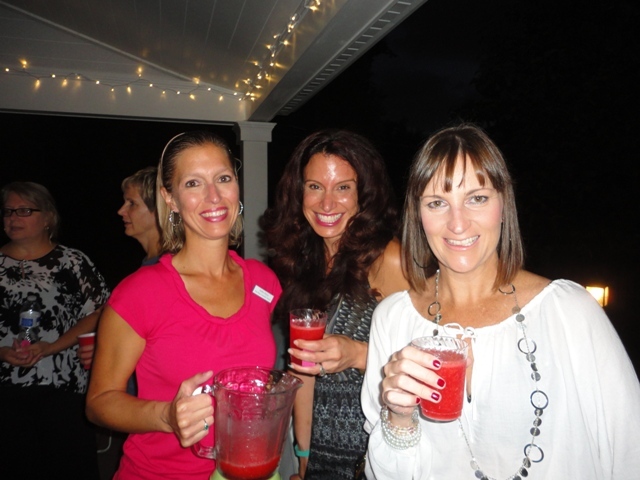 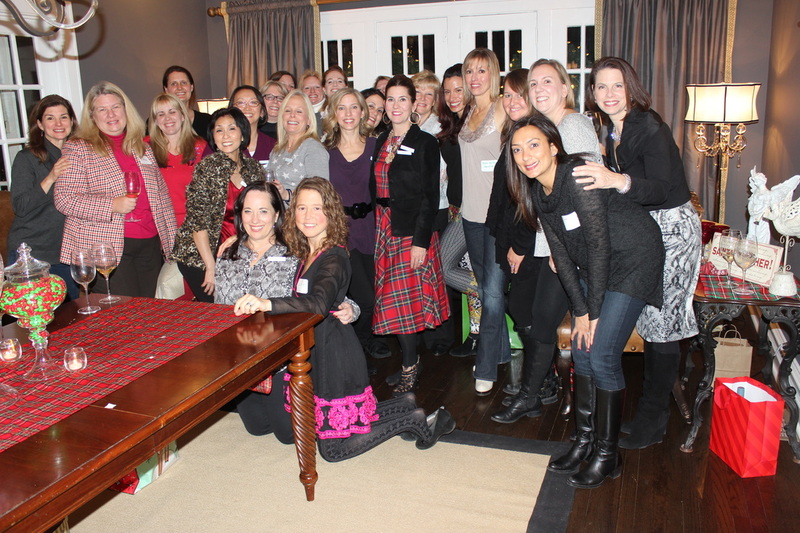 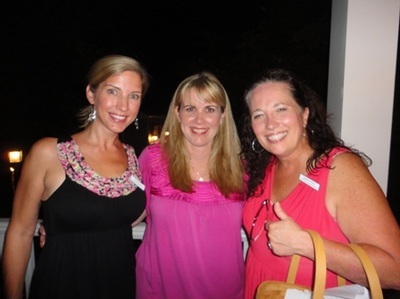 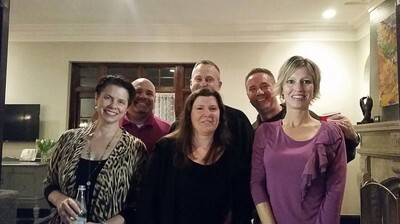 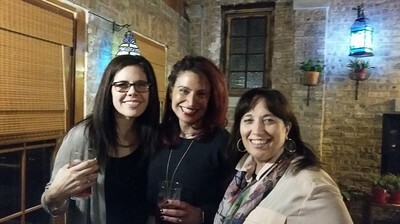 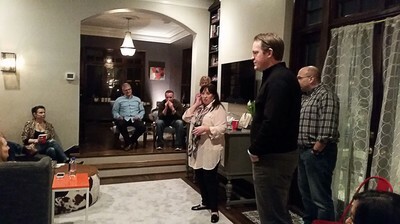 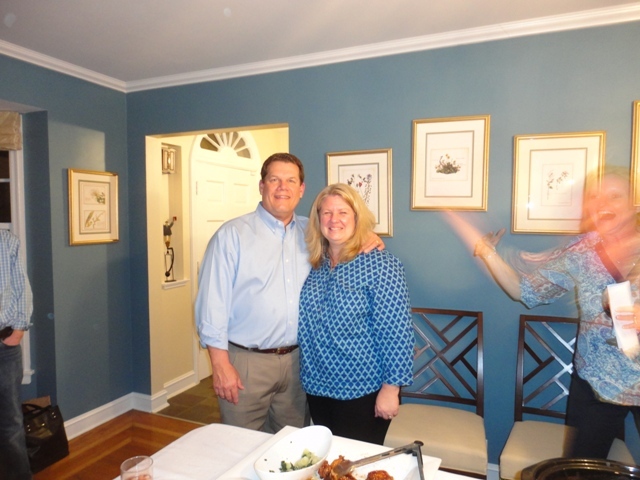 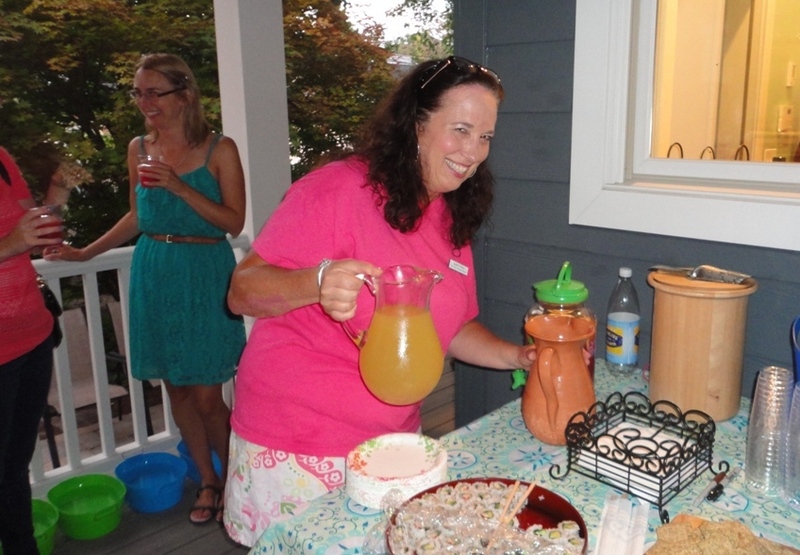 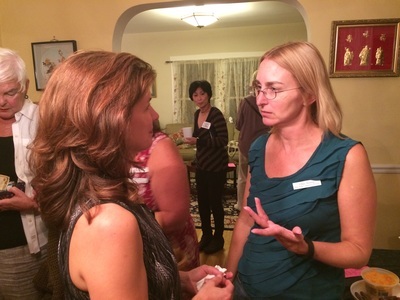 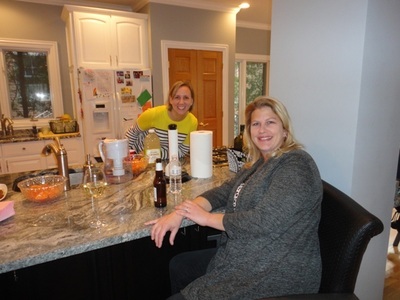 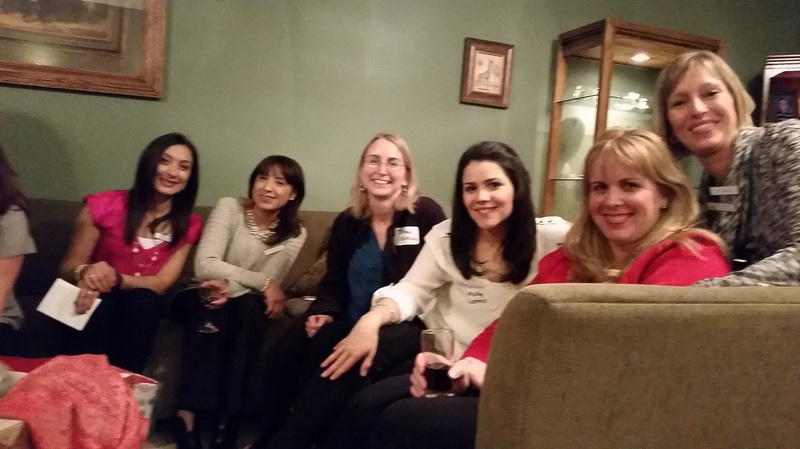 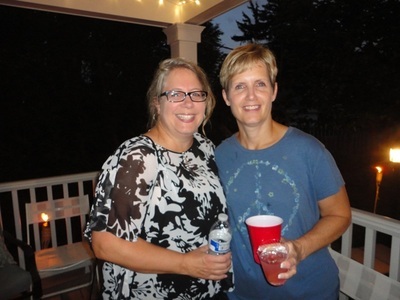 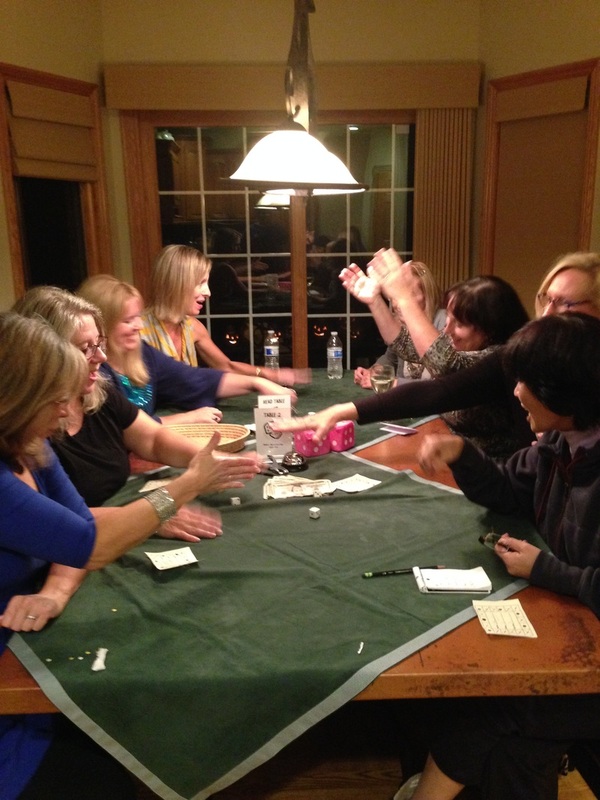 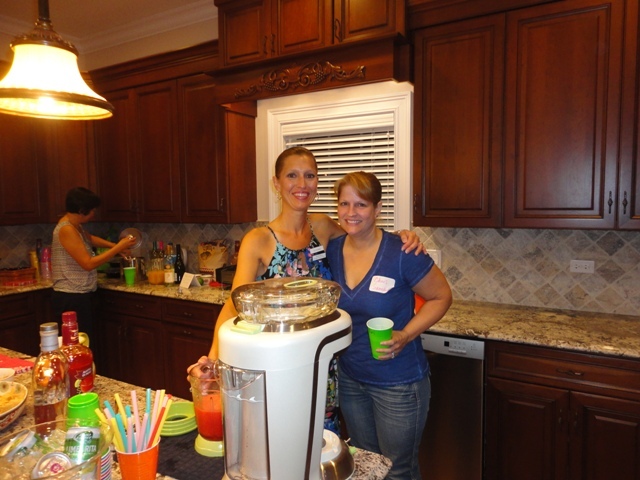 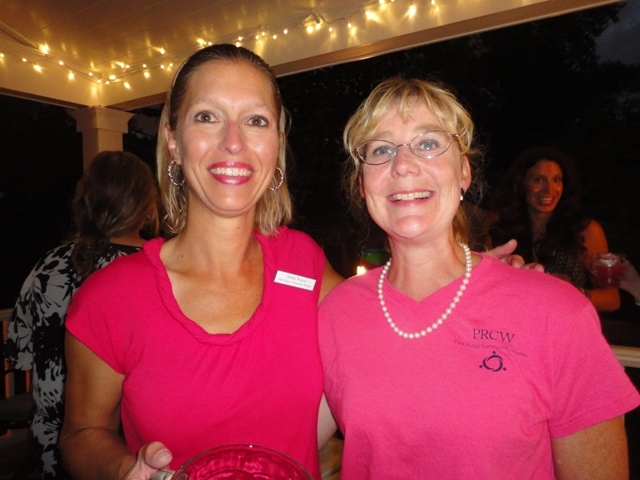 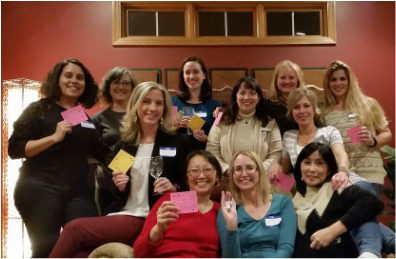 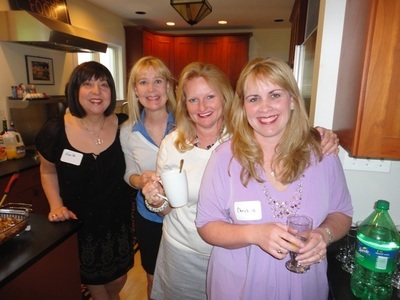 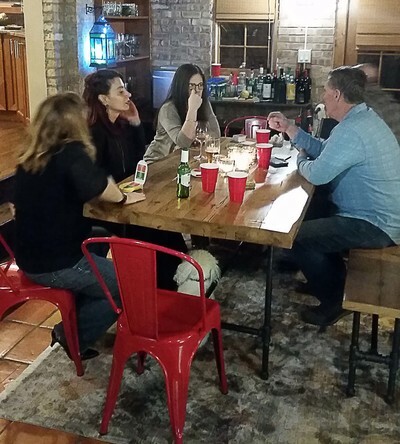 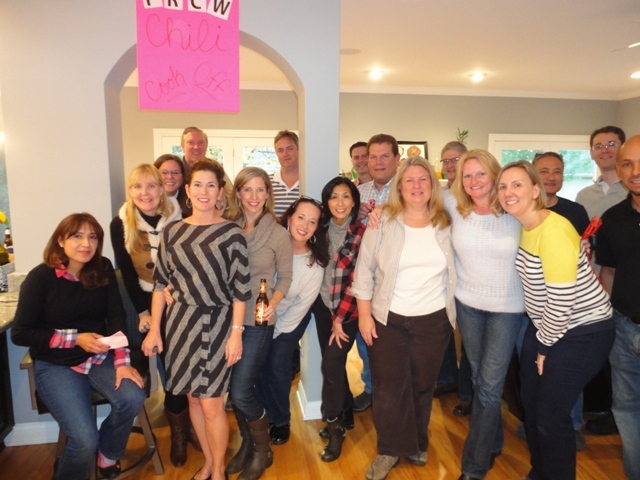 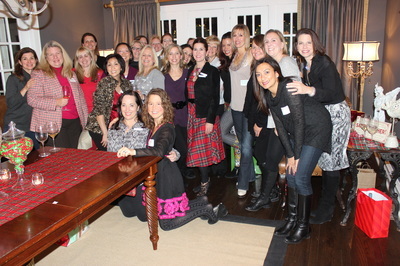 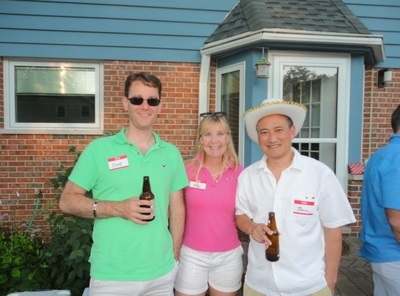 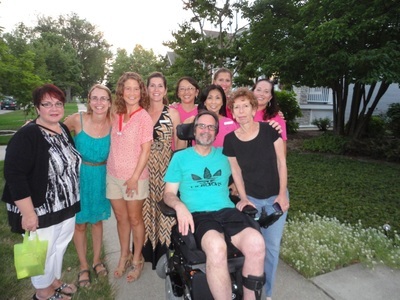 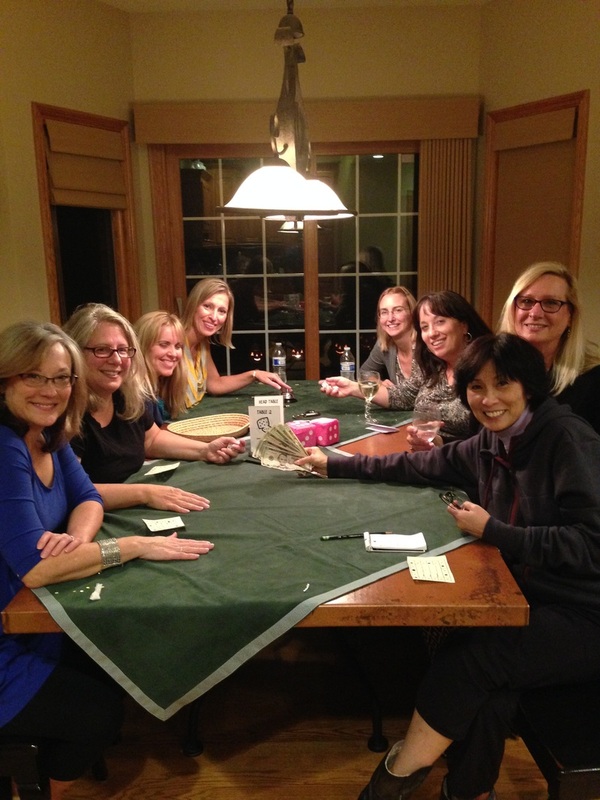 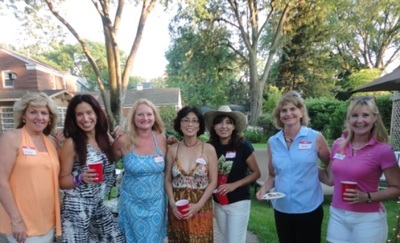 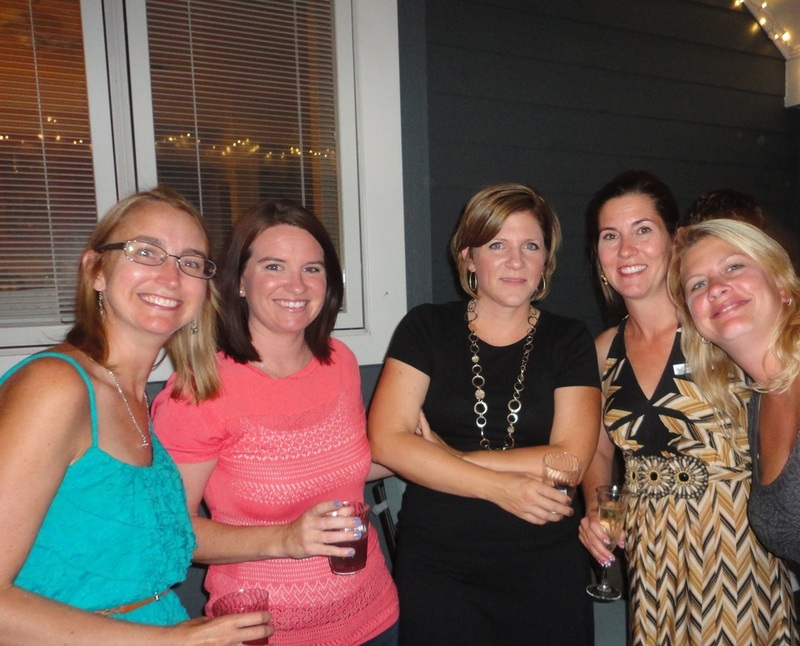 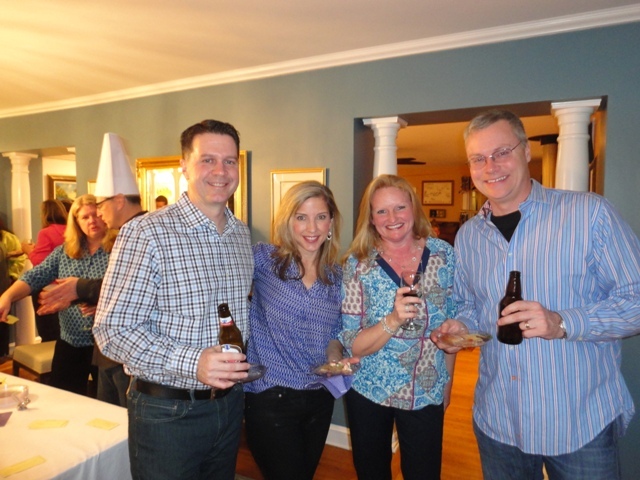 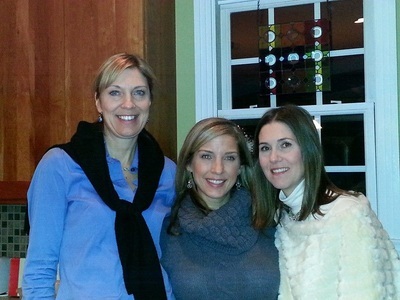 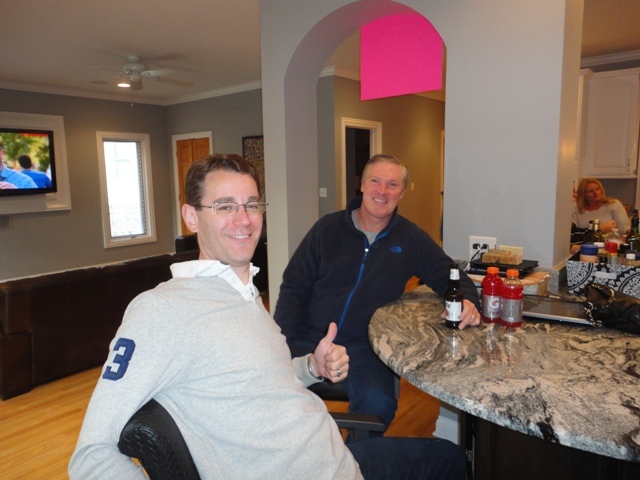 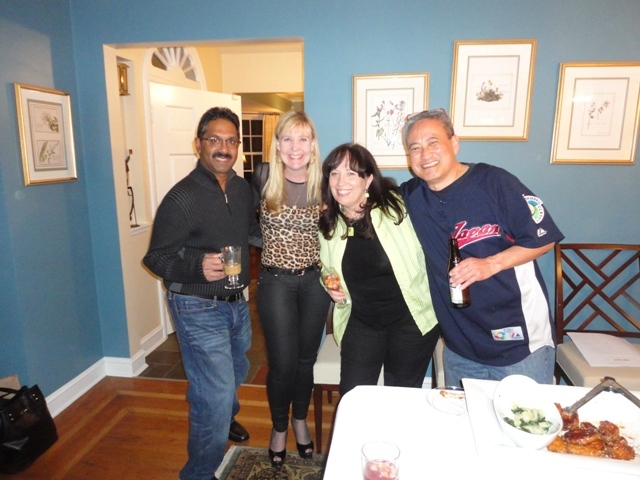 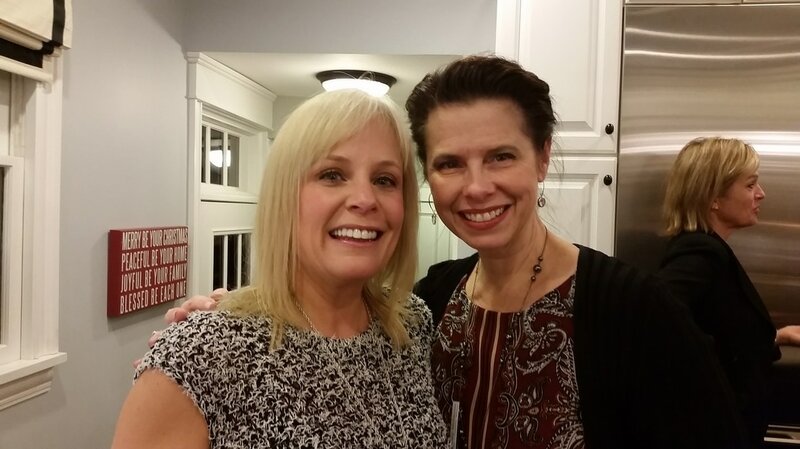 Thank you to Michelle & Scott R. for hosting one of PRCW's favorite events - Game Night! 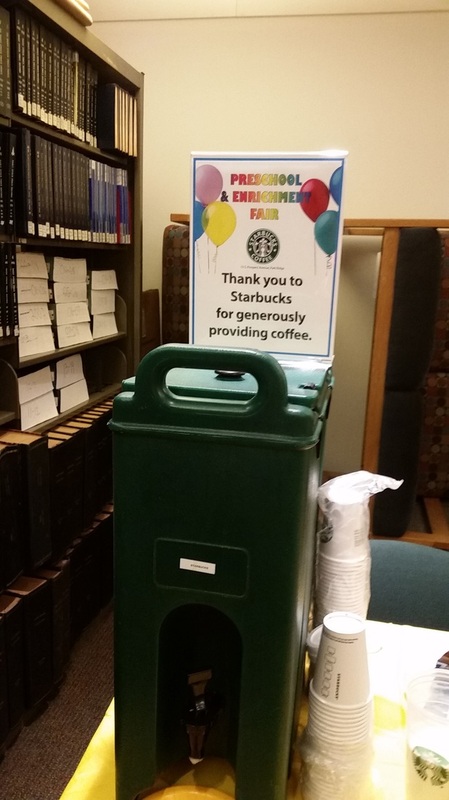 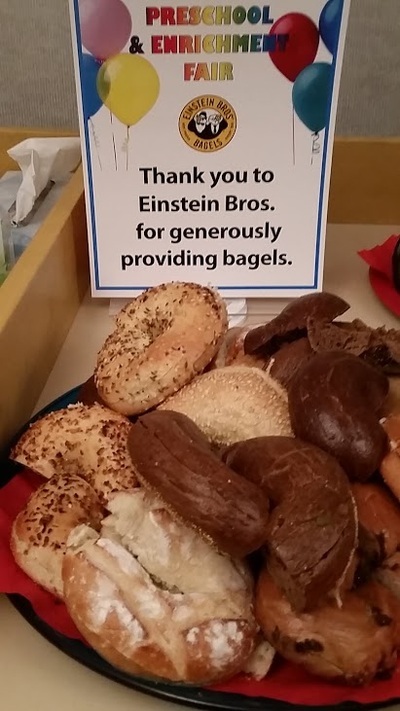 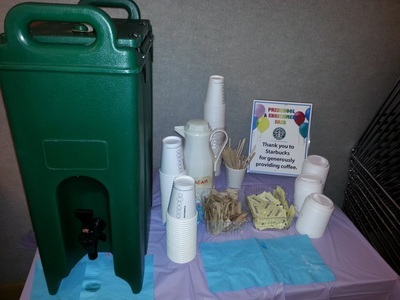 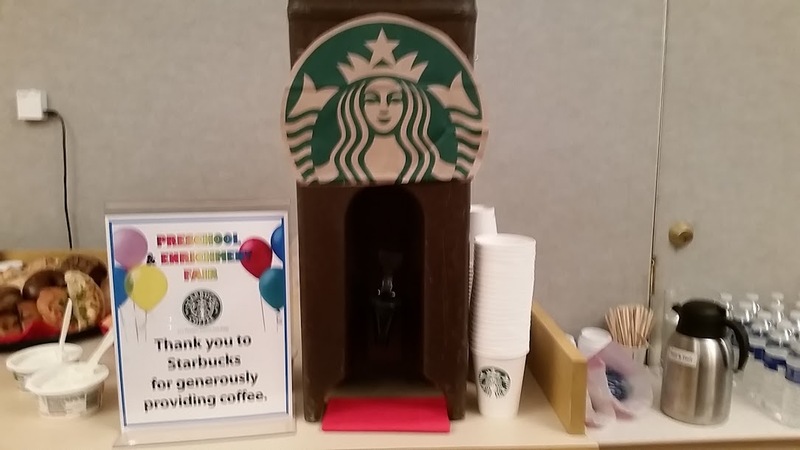 Thank you to Starbucks and Einstein Bagels for their generous donations! 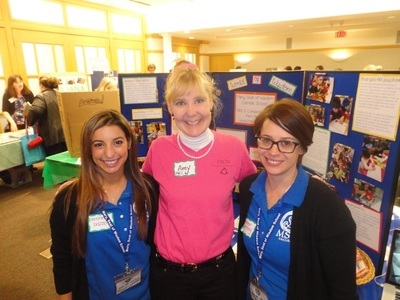 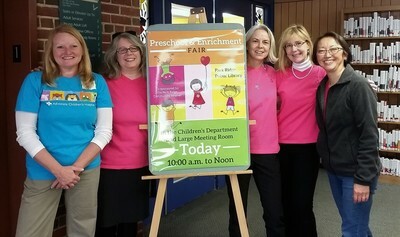 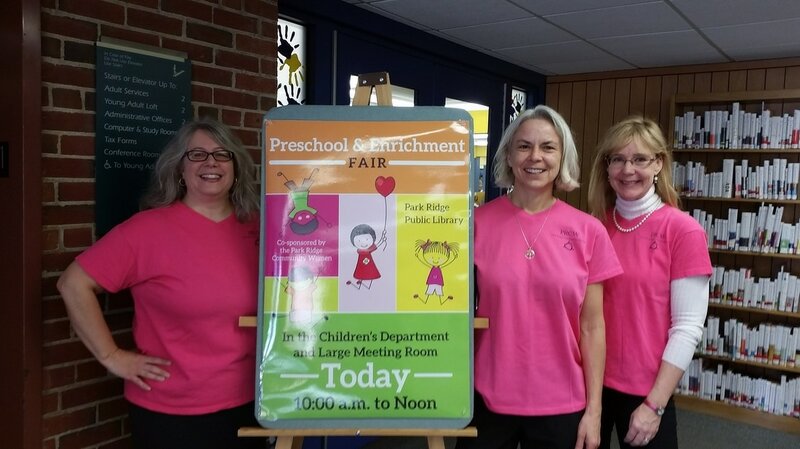 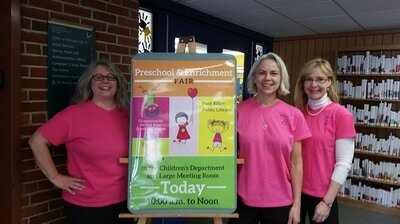 And thank you to our volunteers for working with the Park Ridge Public Library for its Preschool and Enrichment Fair. 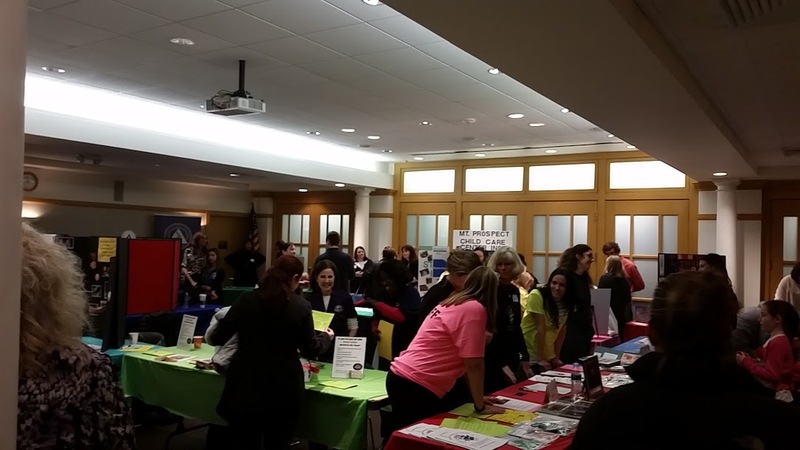 Over 200 participants attended to learn about the more than 25 area preschools, day care facilities, and enrichment programs (e.g., museums, dance studios). 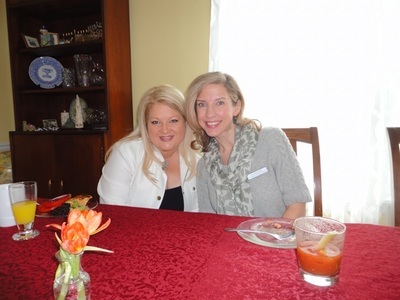 Thank you for hosting this wonderful event Barbra. 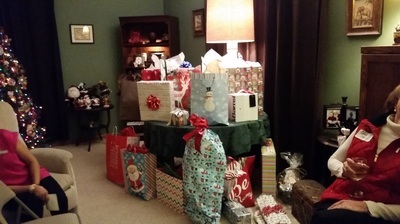 Happy Holidays to one and all! 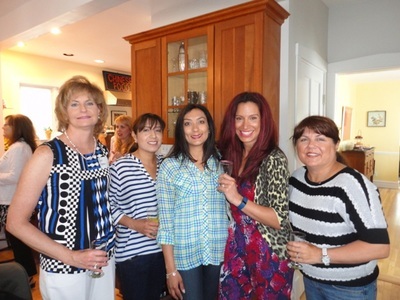 Thank you Marlene for hosting such a great event. 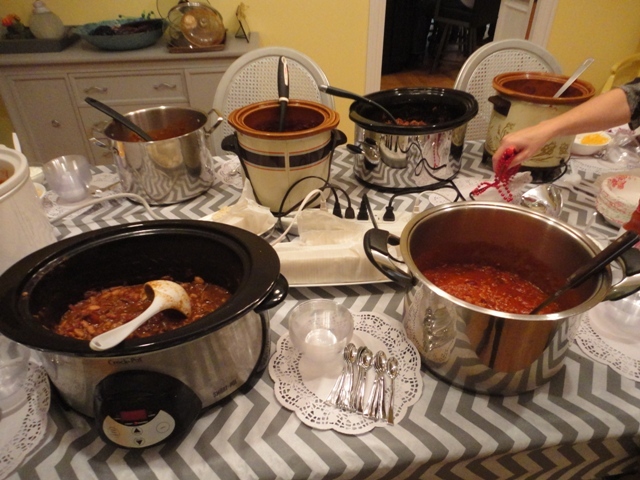 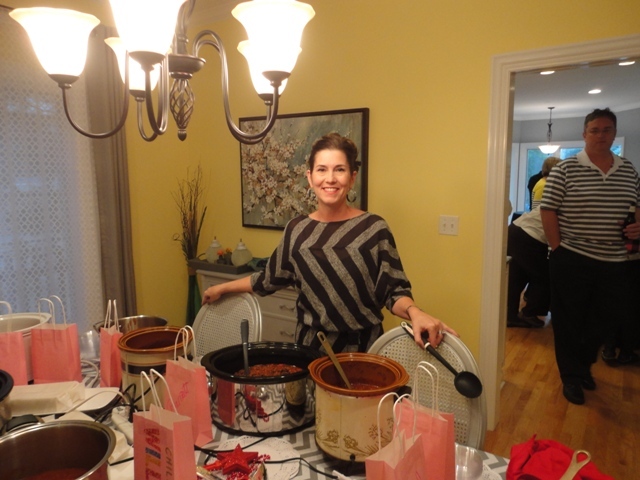 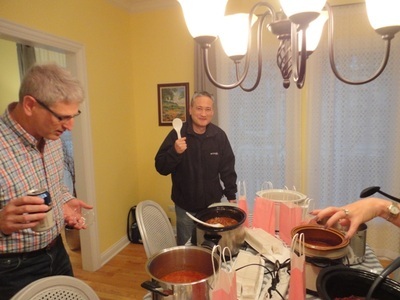 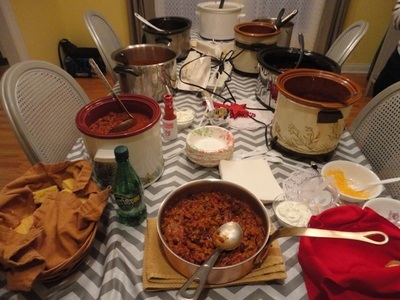 The chilies were hot, spicy and fun this year! Thank you to Molly for hosting this great event, and thank you to the volunteers who prepared all the lunches! 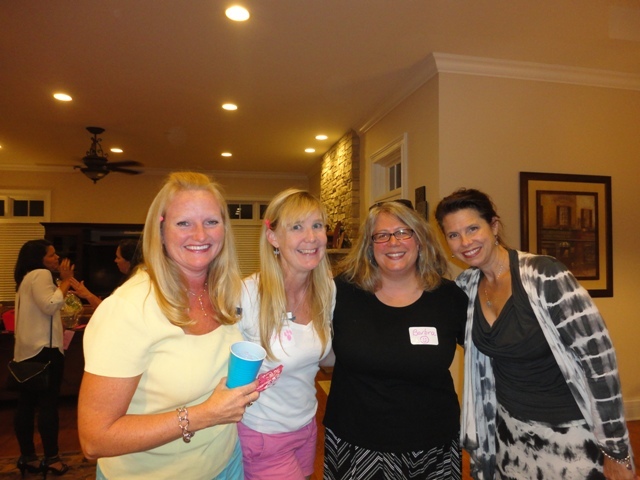 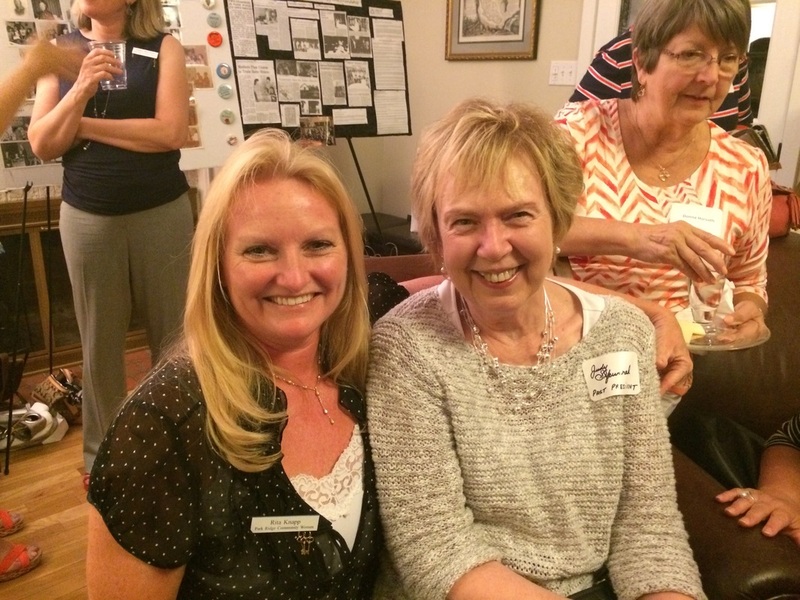 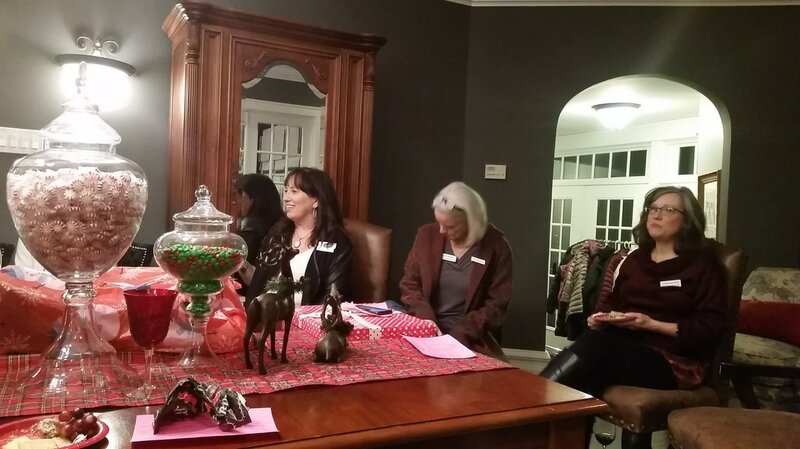 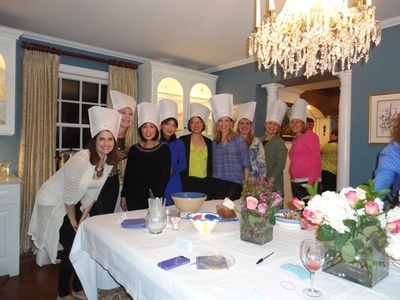 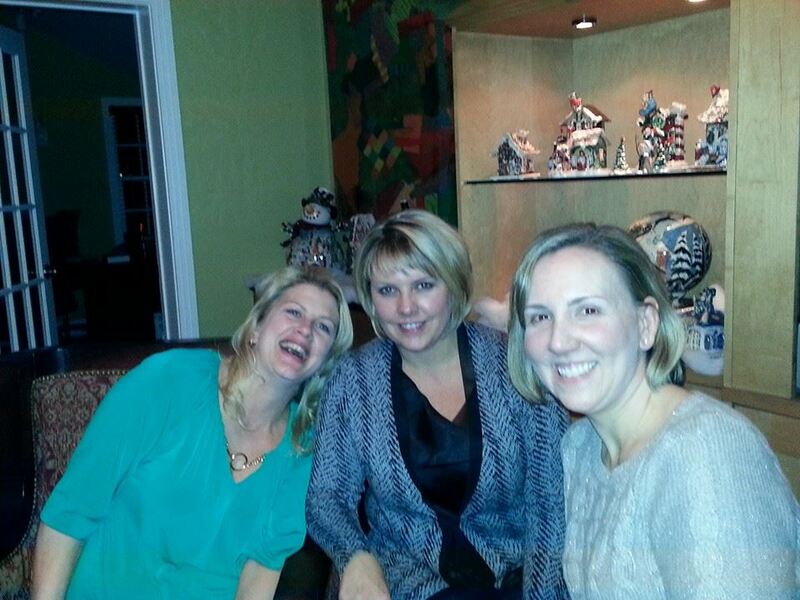 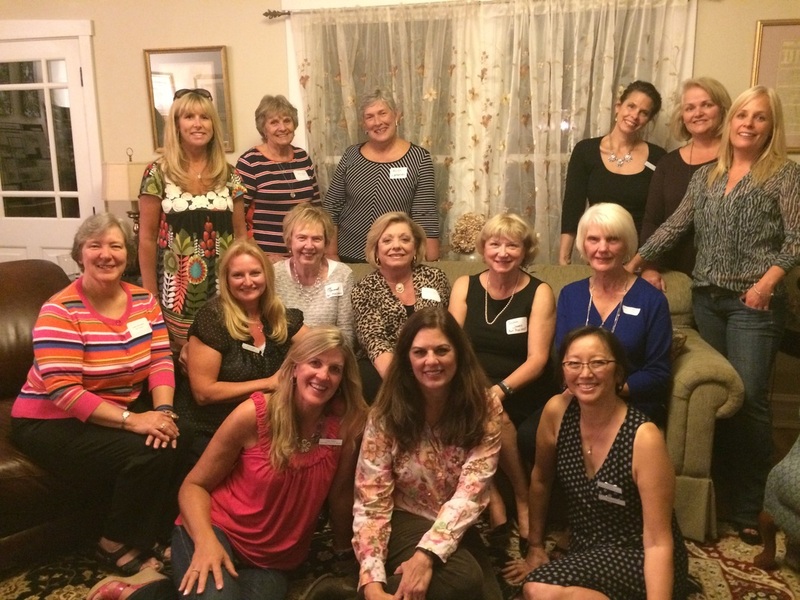 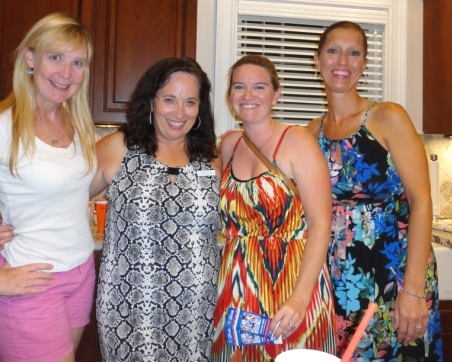 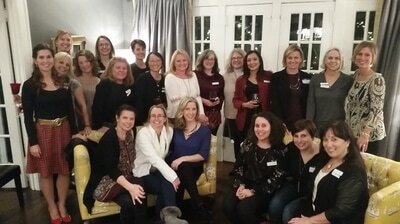 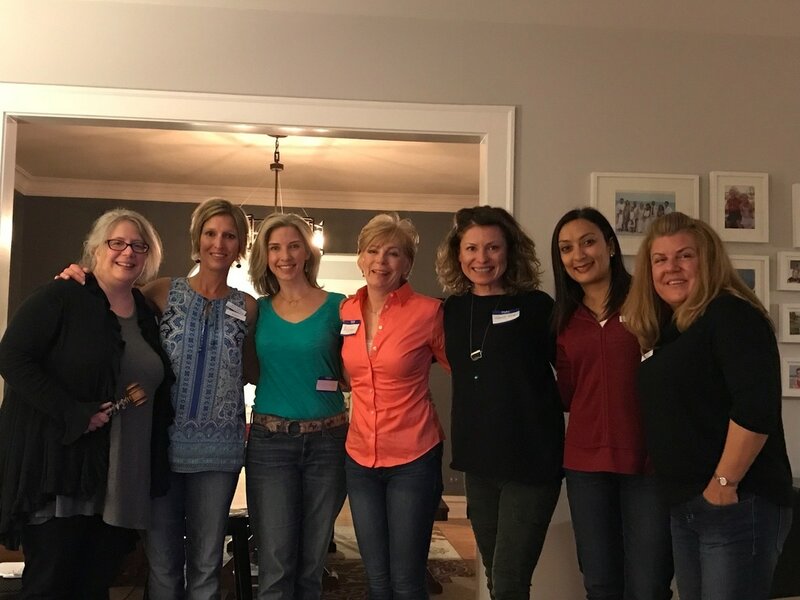 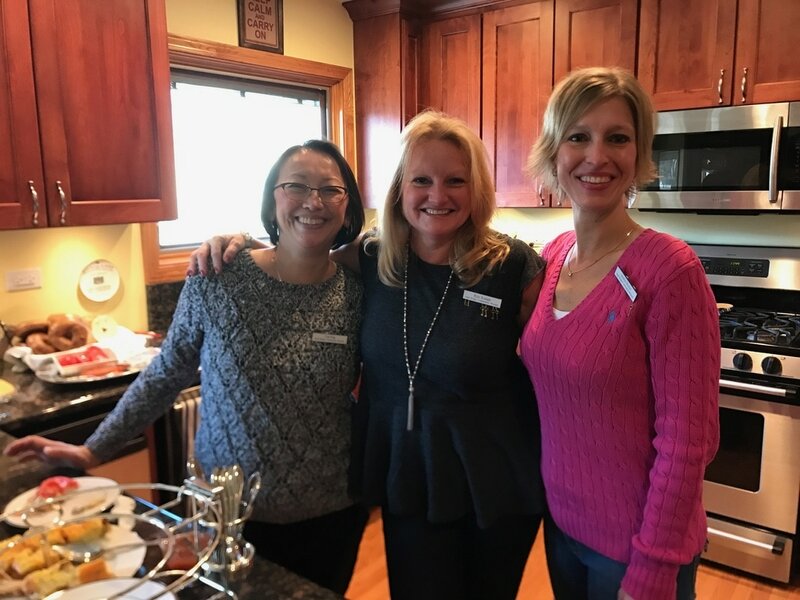 Thank you Kim for hosting a fun filled night of Bunco! 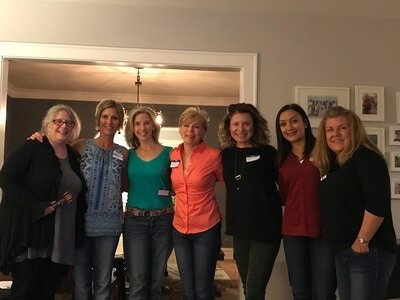 Thank you Debbie for hosting this fun filled event and meeting. The margaritas and snacks were delicious and the company was delightful! 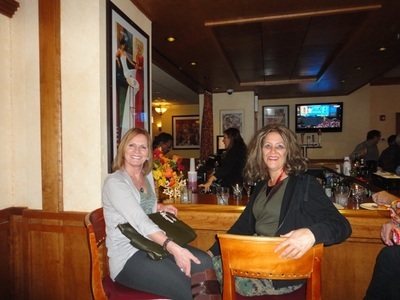 Thank you Rita for being the host for this social affair. 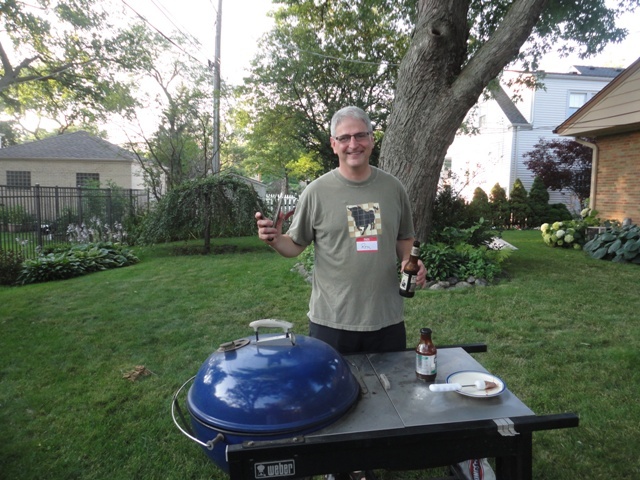 It was a great summer night filled with fun conversations and fabulous BBQ fare! 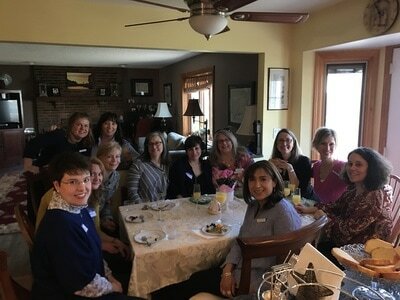 Thank you to Lan for hosting the New Member Brunch. 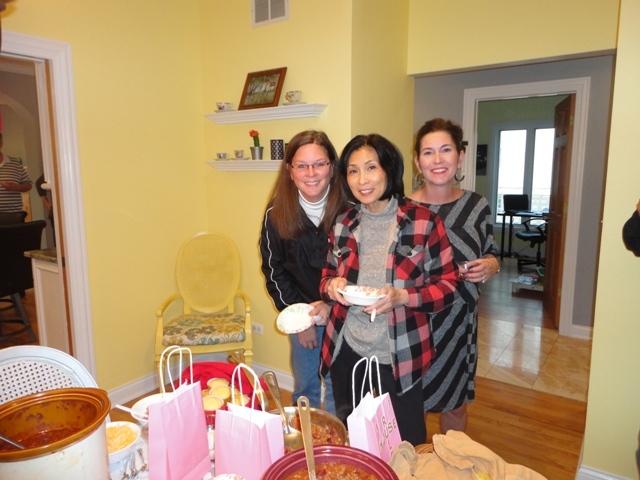 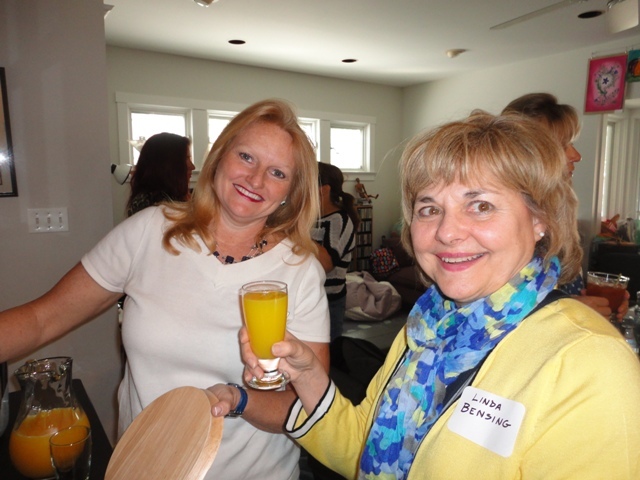 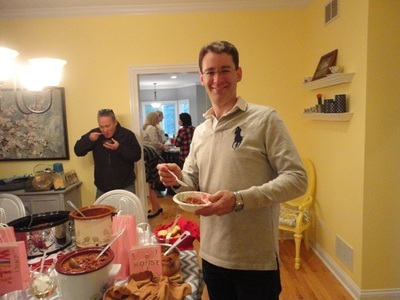 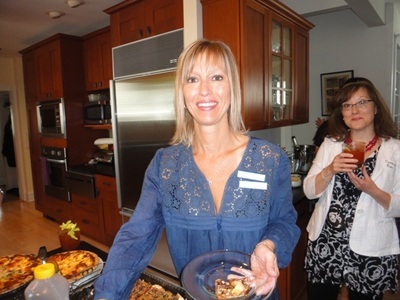 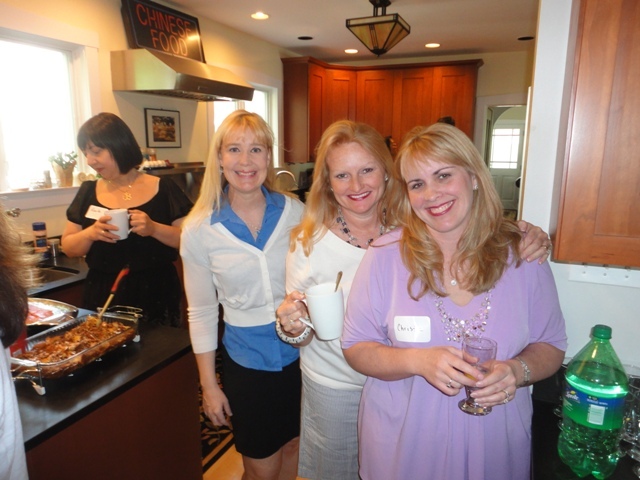 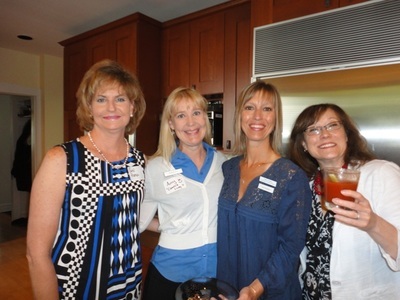 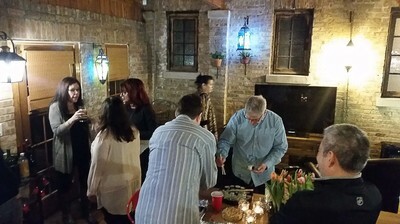 It was a great event with new friends and wonderful food! Thank you Kimberly for hosting the board meeting. 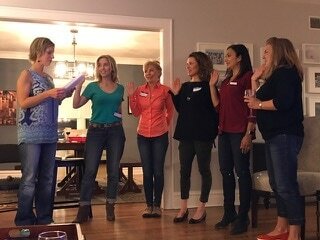 Here is the new board for this upcoming year! 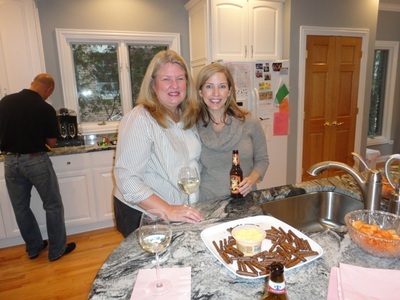 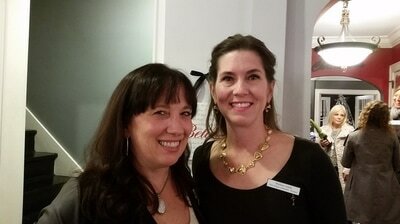 Thanks Heather for hosting this fantastic event! 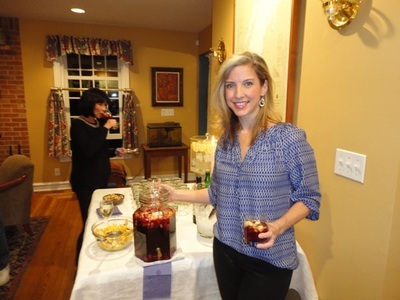 The gourmet food was out of this world, the signature drinks went down smoothly, and the company as always was terrific! It was another successful Preschool & Enrichment Fair with over 200 attendees and over 20 preschools and enrichment programs exhibiting. Thank you to Starbucks on Prospect and Einstein Bagels for their donations. 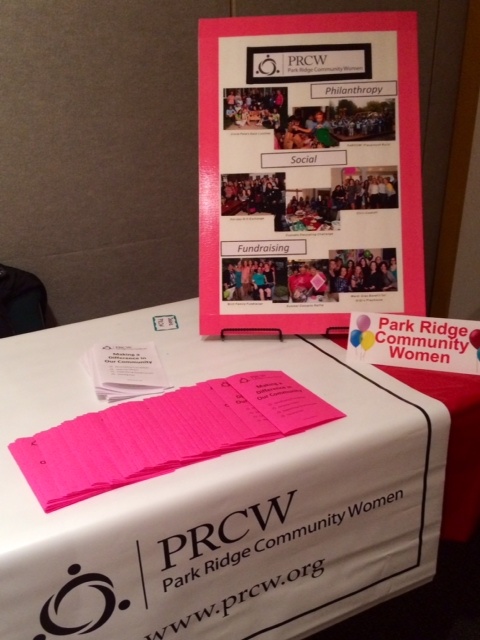 PRCW is proud to be a cosponsor with the Park Ridge Public Library of this annual community event. 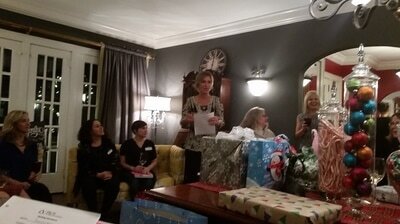 So great to see new faces and familiar ones at this year's holiday gift exchange. 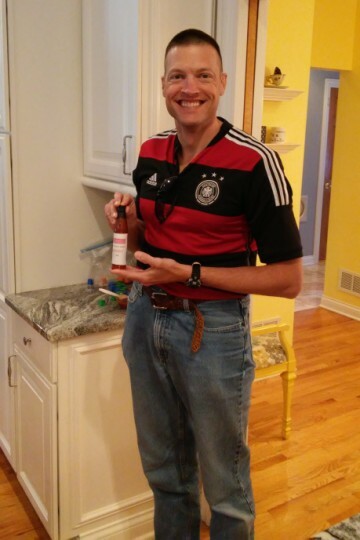 Many thanks to Susan M. and her family for being such gracious hosts! 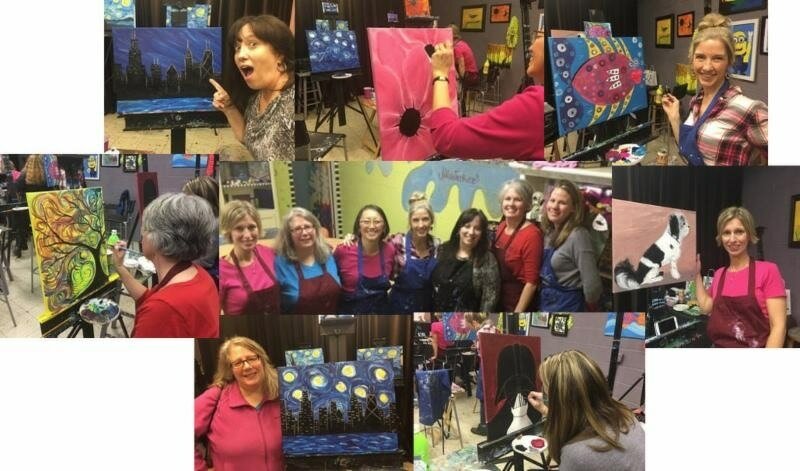 Thank you to Debbie W. for hosting and to all who participated. Job well done! 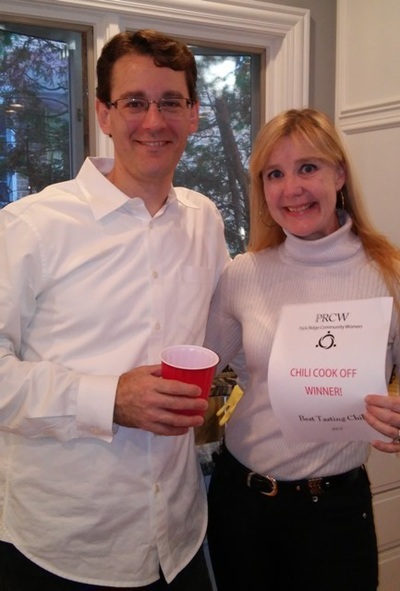 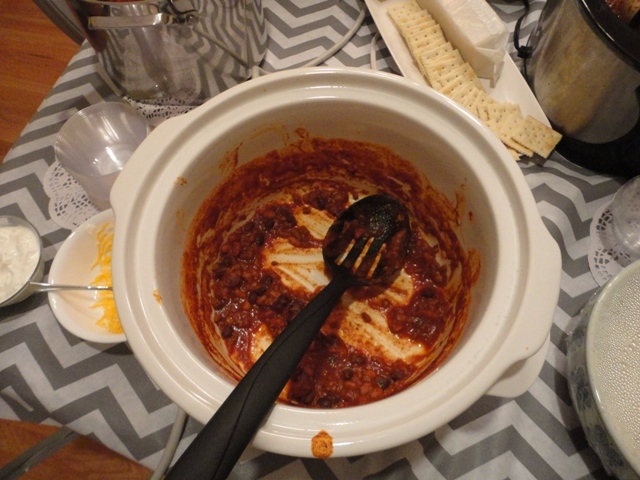 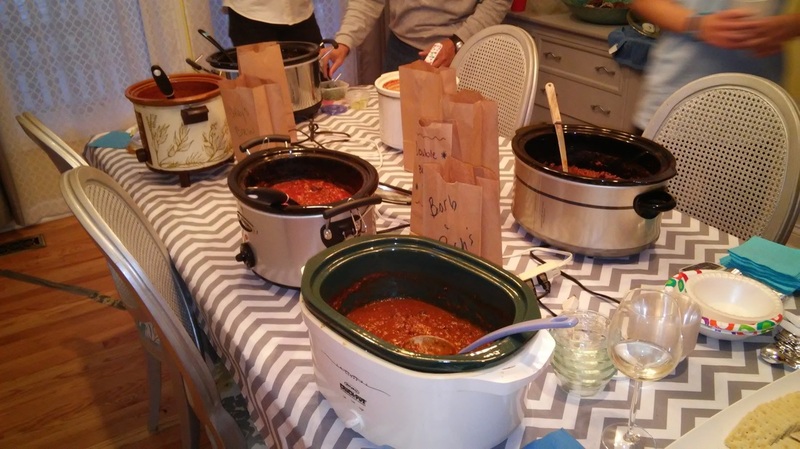 We had a great time at the chili cook off! 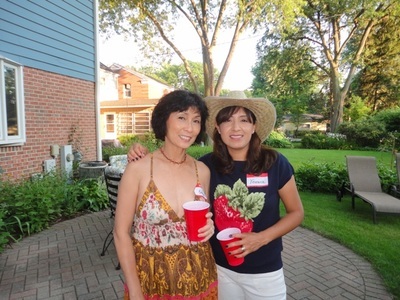 Thank you Marlene for hosting this "hot" and "spicy" event. 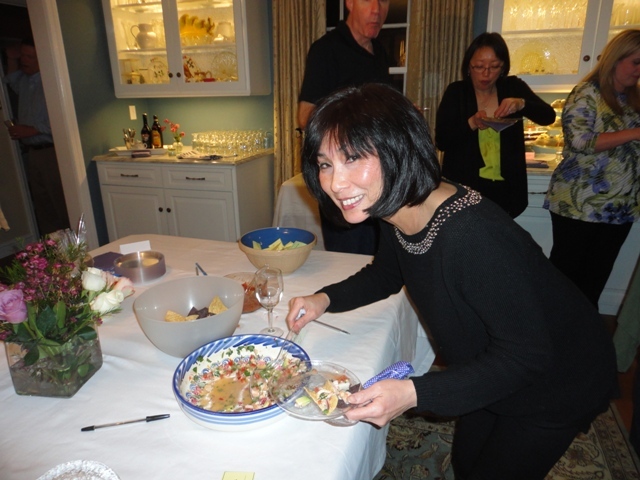 There were many delicious recipes to taste. 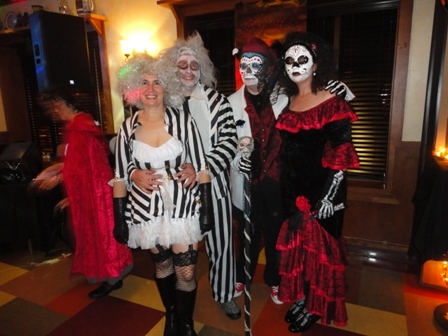 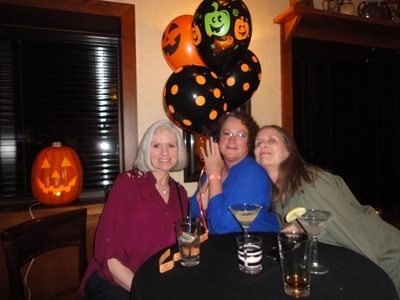 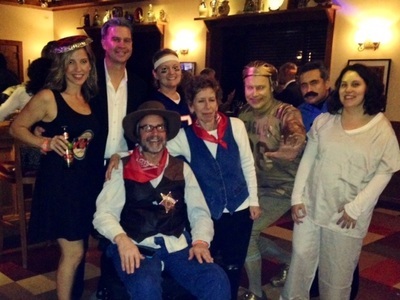 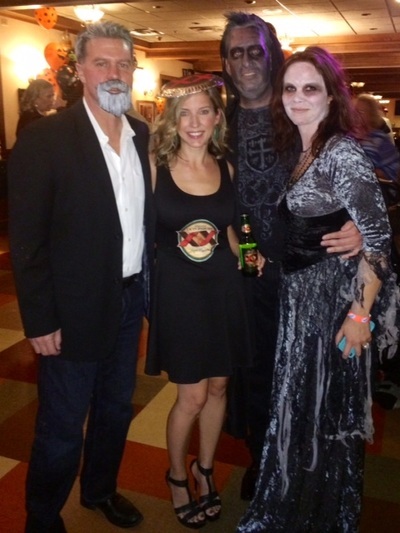 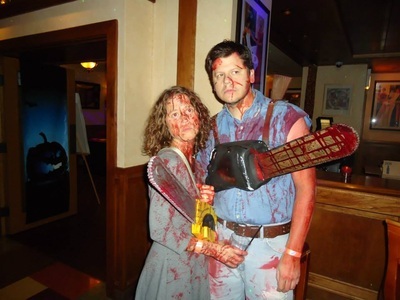 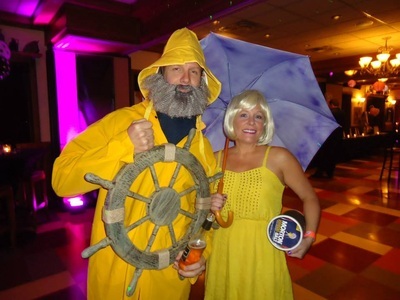 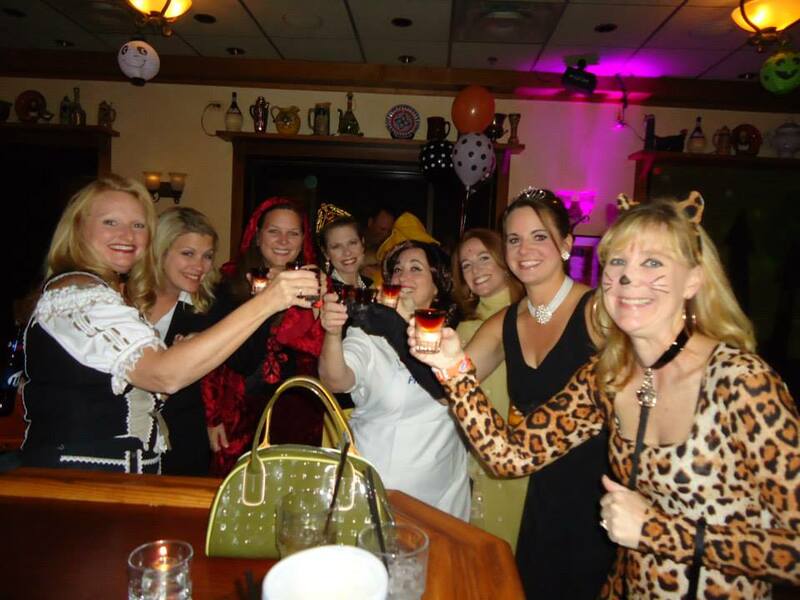 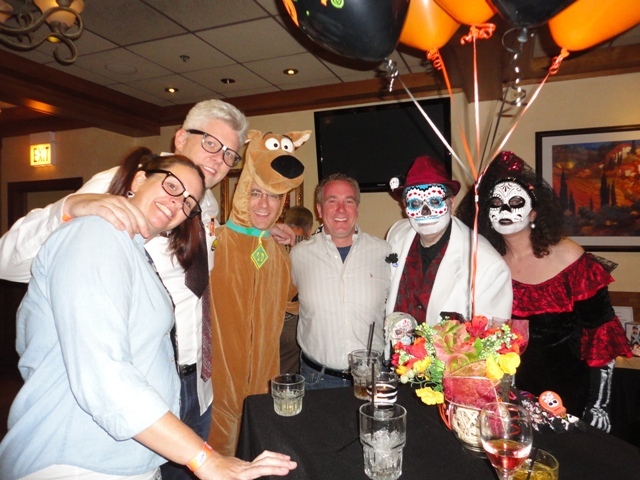 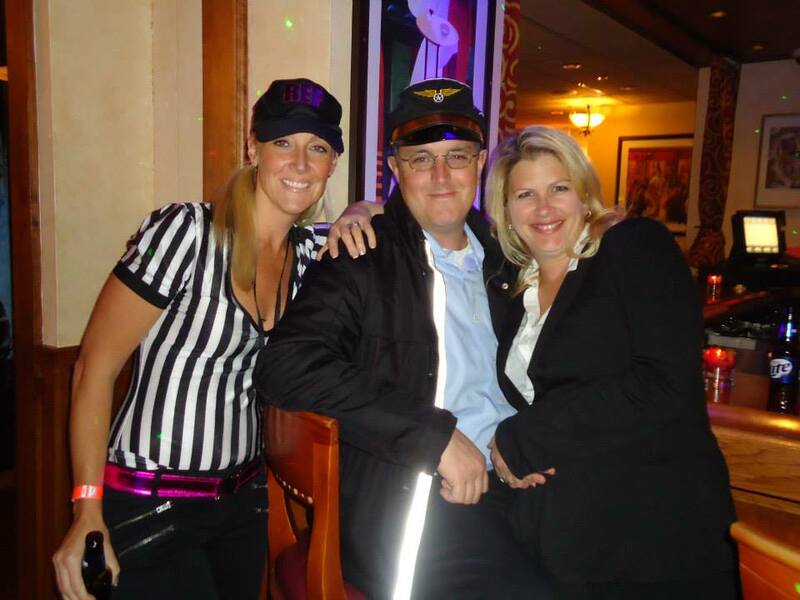 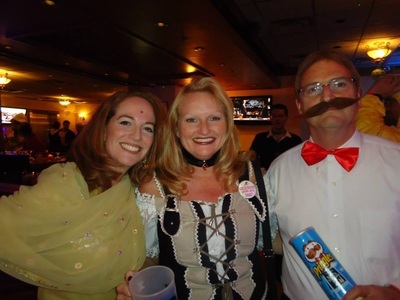 PRCW, Michael and Randee Britt, and friends had a great Nightmare on Olmsted in October. 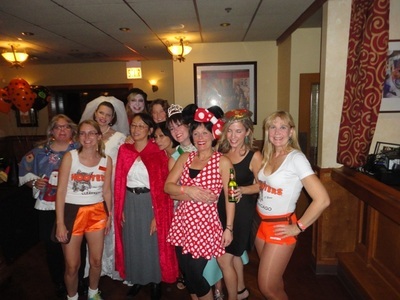 Many supporters showed up in costume, including Hooters waitresses, drugstore items, cowboys, Miss America, Beetle Juice, Minnie Mouse, Scooby Doo and even Marilyn Monroe! 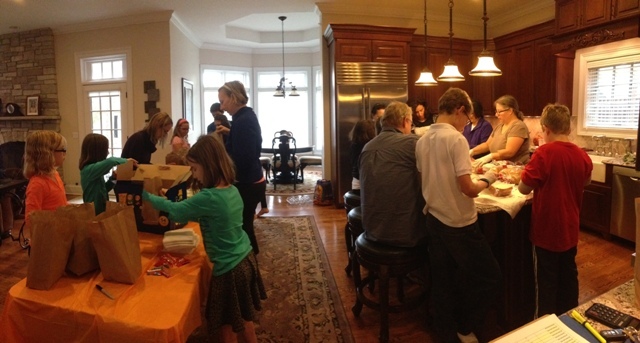 More importantly, though, we raised over $14,000 for the Britt Family. 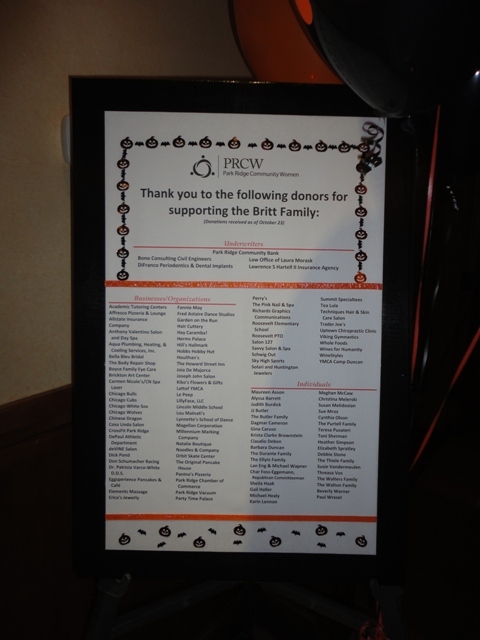 PRCW and the Britt Family extend their heartfelt thanks to the many generous donors, attendees, and everyone who participated to make this evening a success. 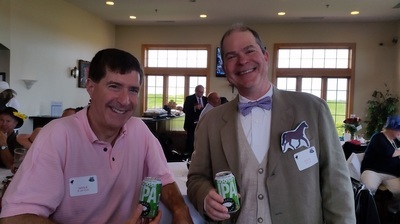 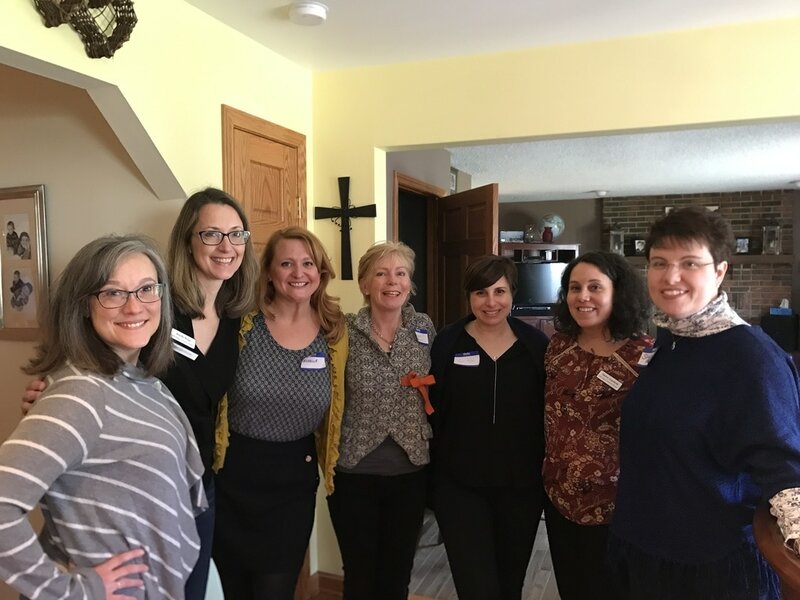 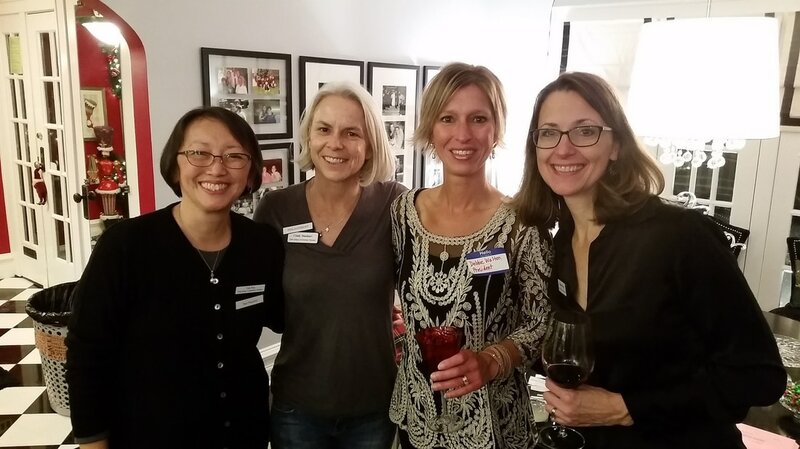 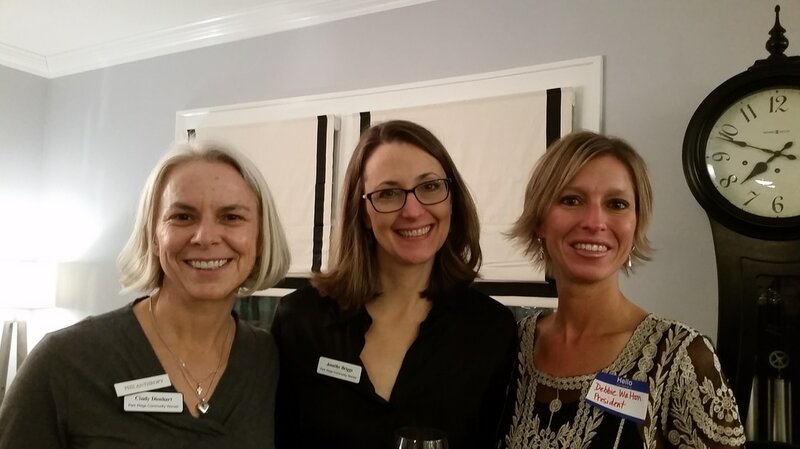 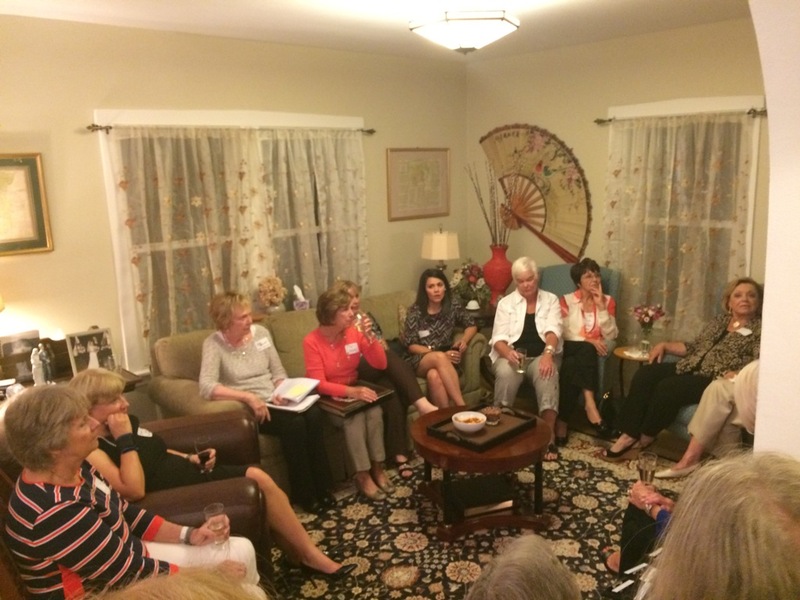 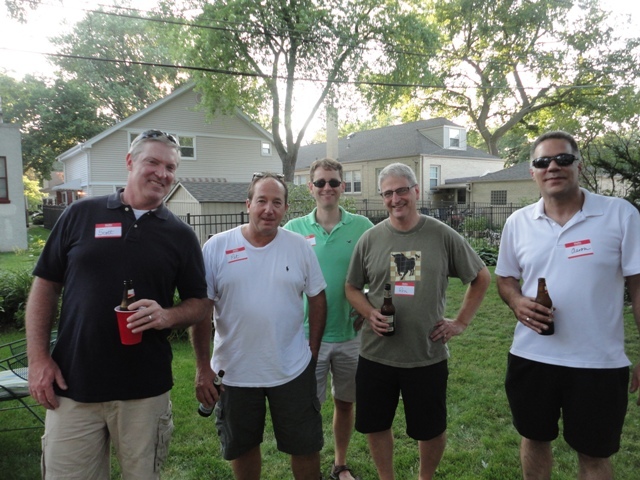 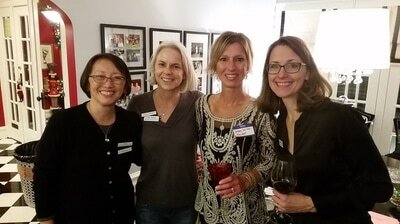 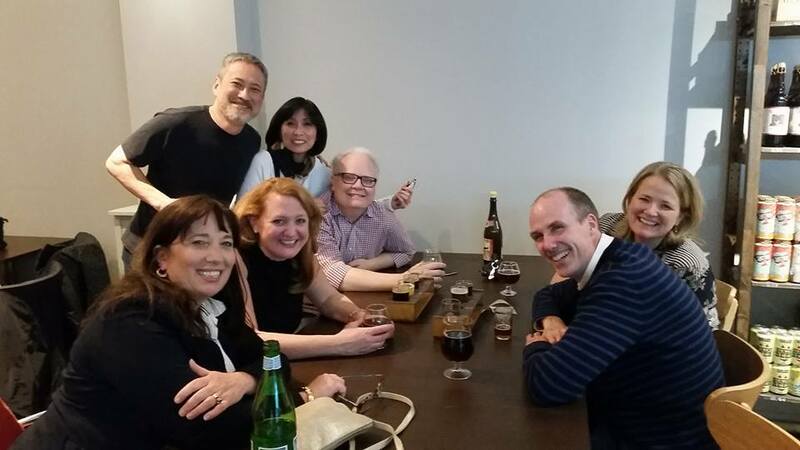 We had a great time reconnecting with past members and gaining new members. 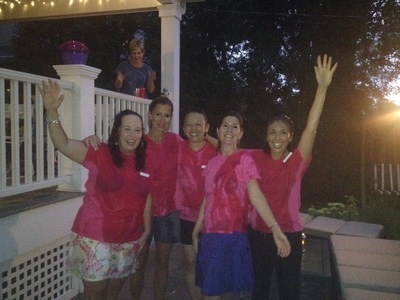 Let's give a big hand to our brave volunteers who dared to get dunked in our ALS Ice Bucket Challenge! ﻿Thank you to our generous donors! 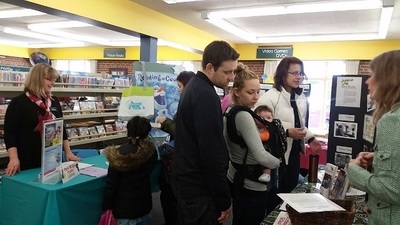 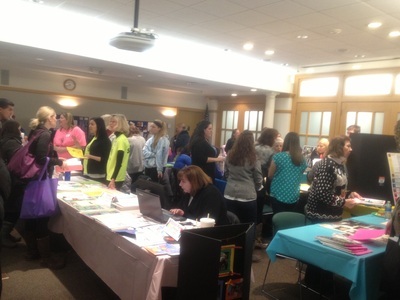 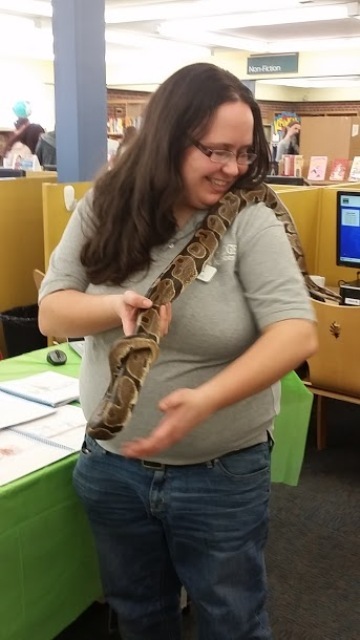 Over 200 parents, children and exhibitors attended the 2014 Preschool and Enrichment Fair, co-hosted by Park Ridge Public Library and PRCW. 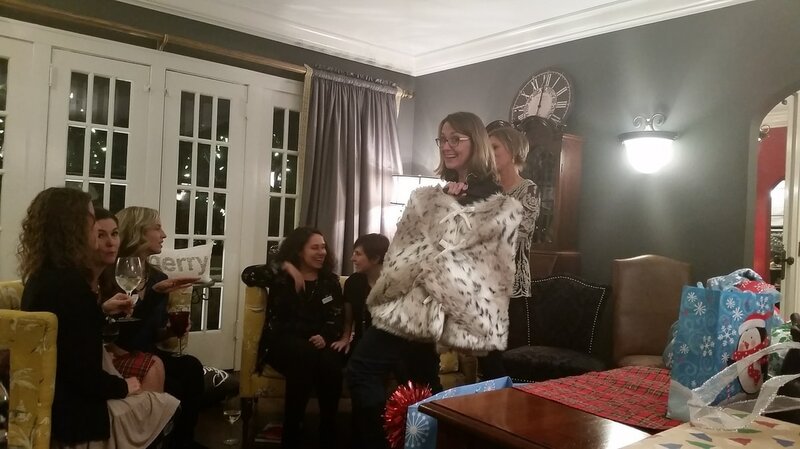 Great gifts abound at our annual holiday gift exchange. 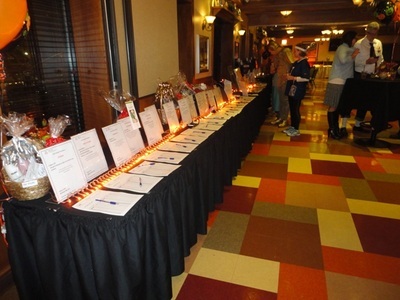 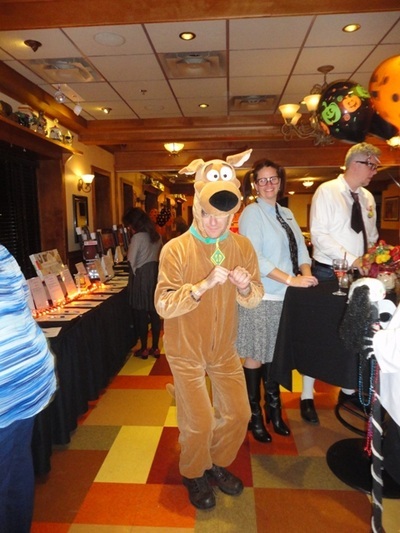 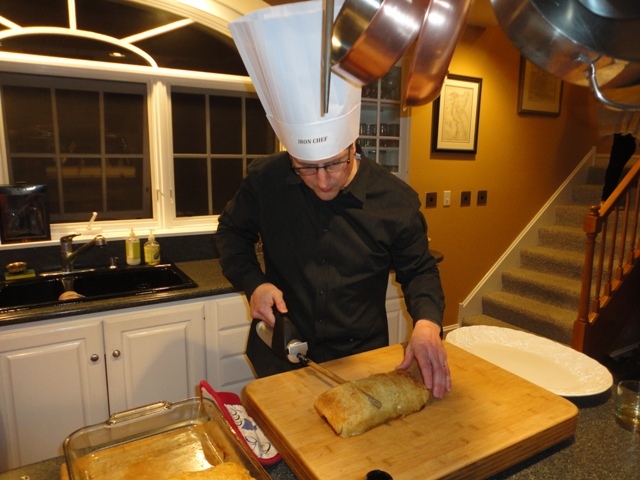 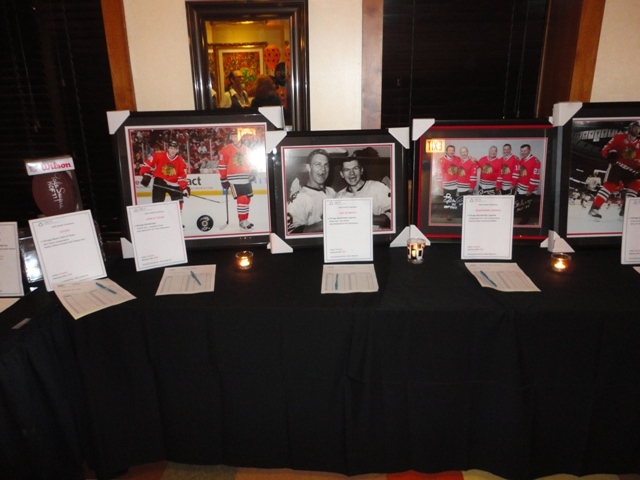 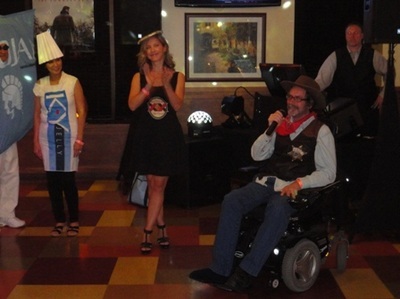 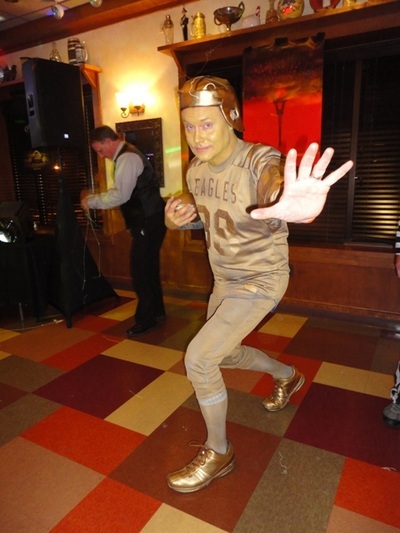 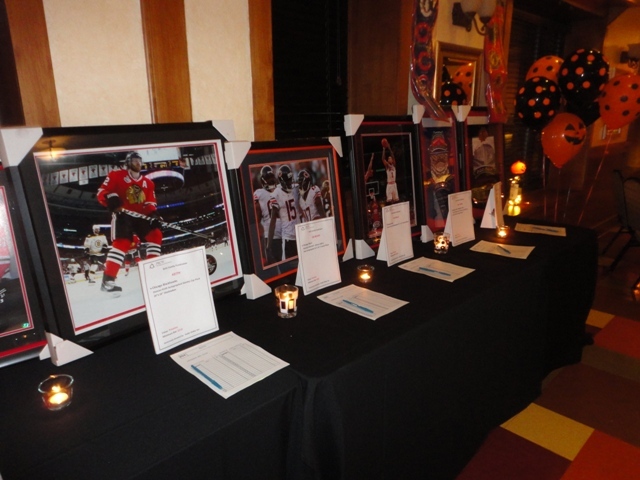 Almost $5,000 was raised toward brain aneurysm research at Northwestern Memorial Hospital.